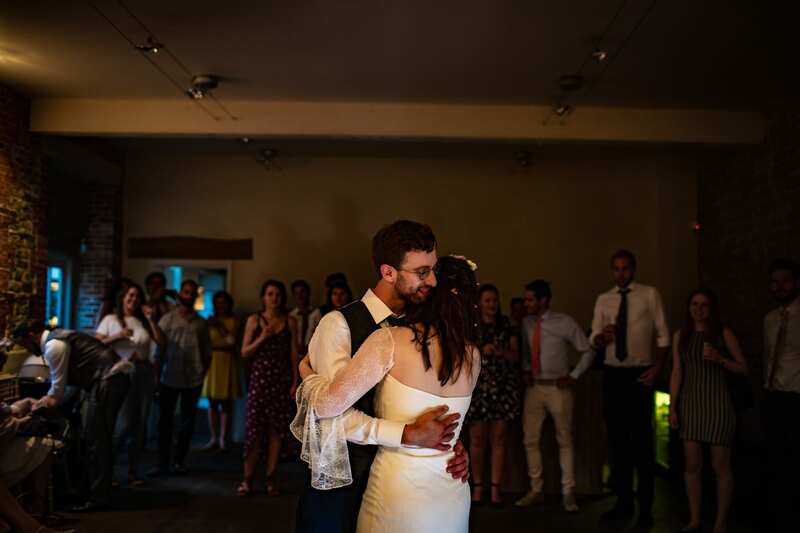 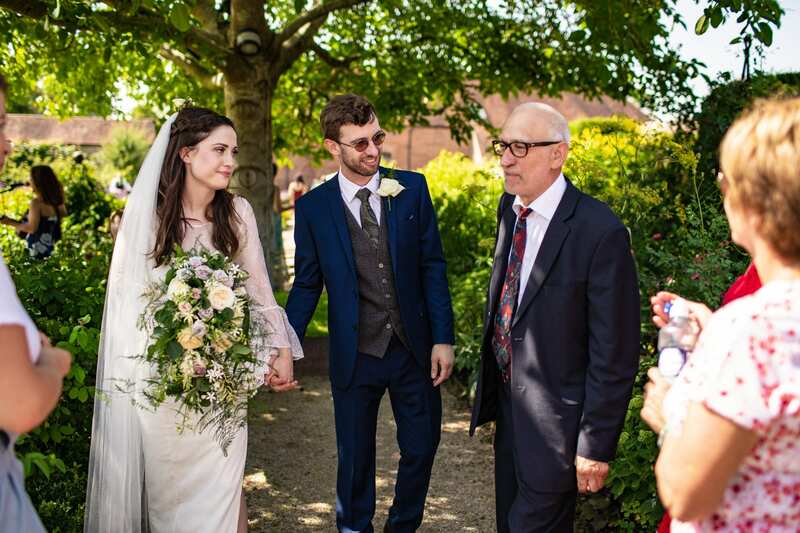 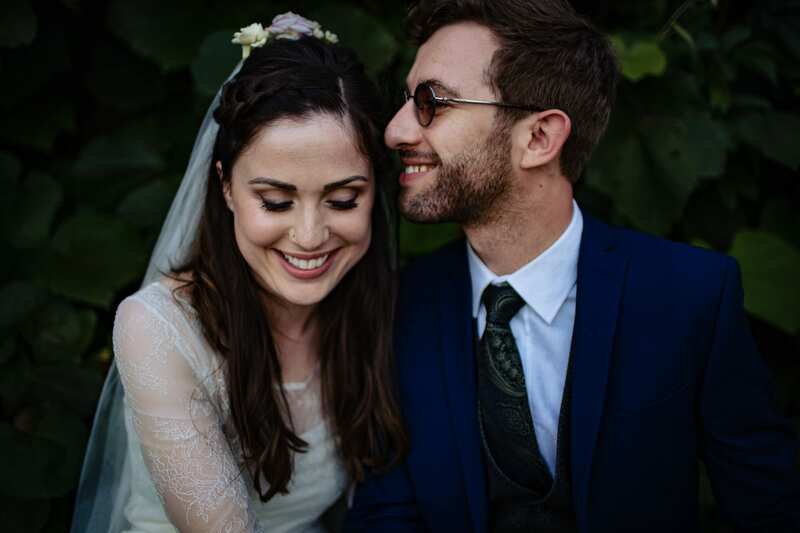 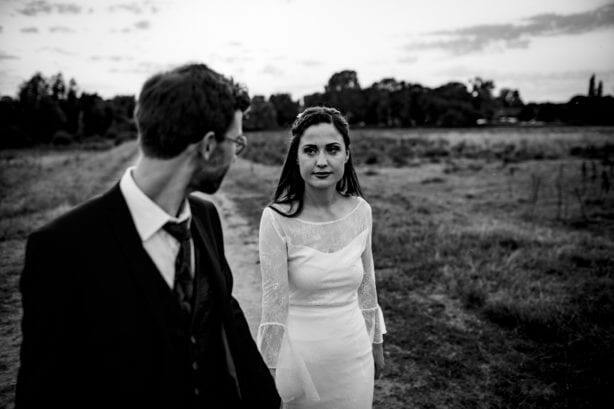 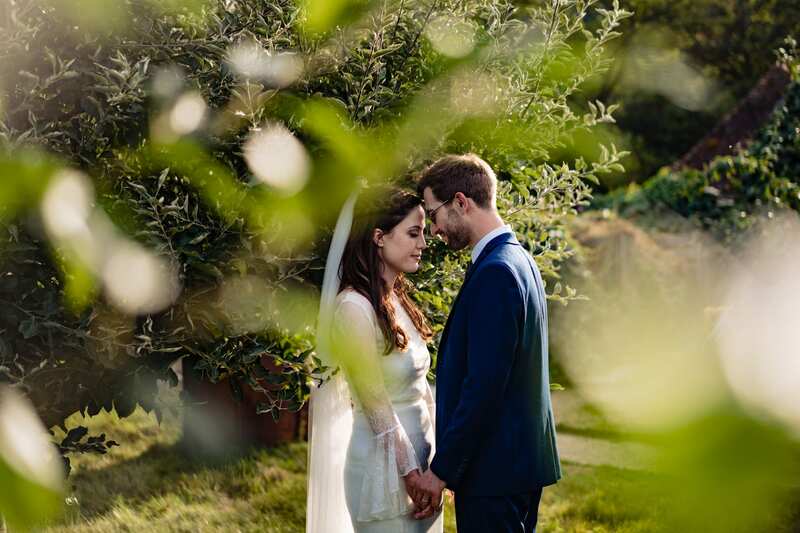 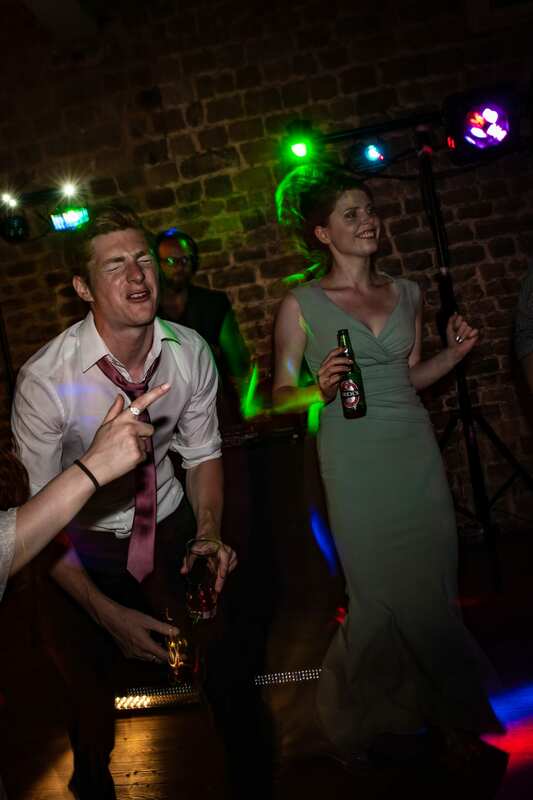 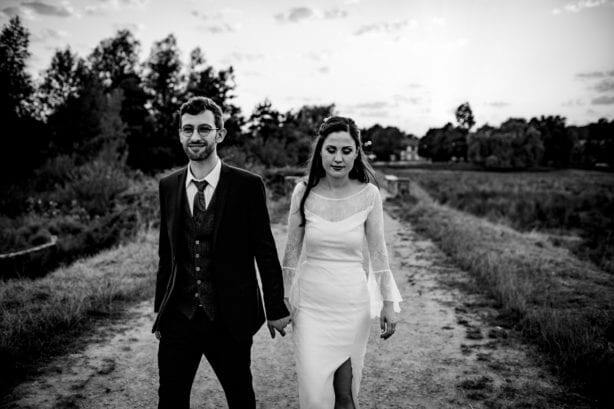 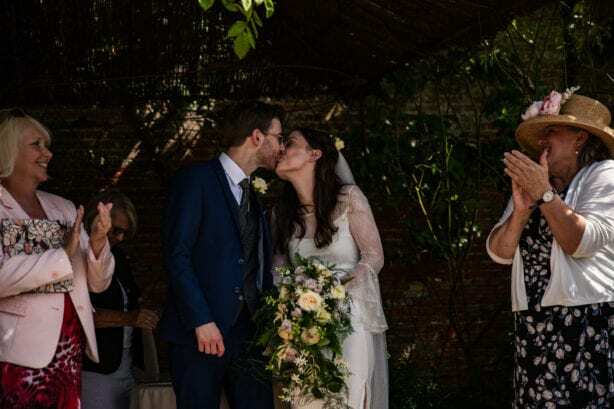 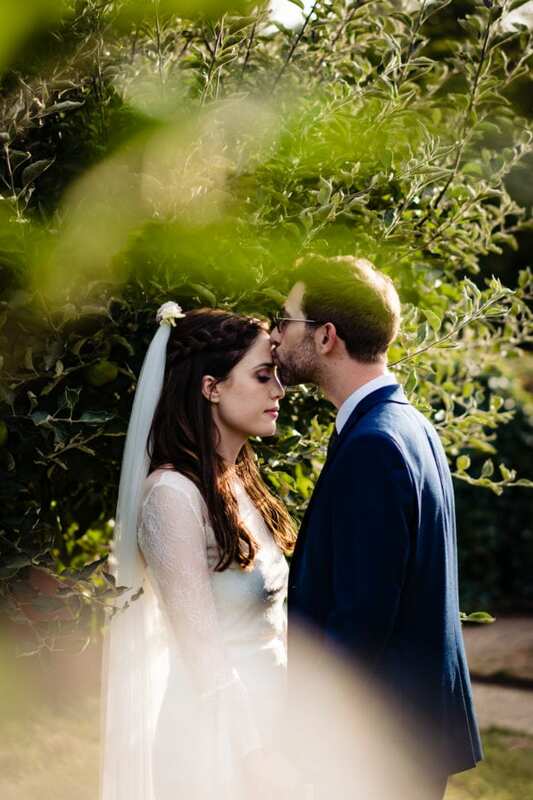 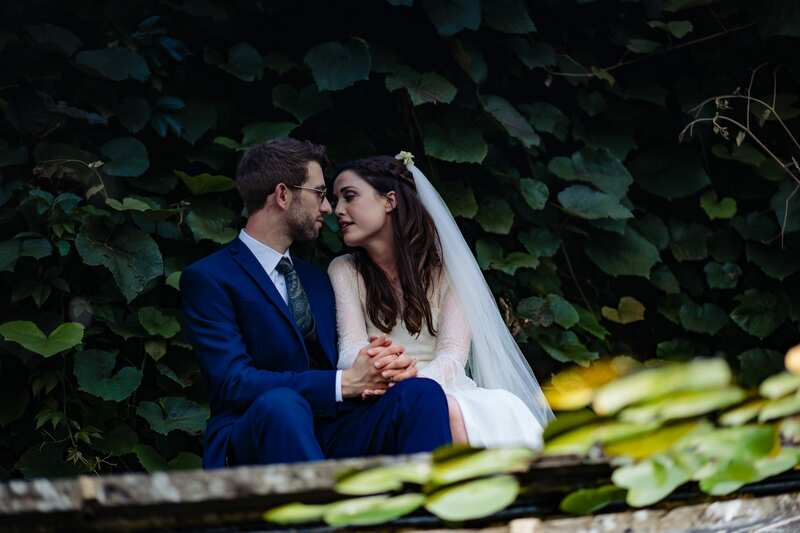 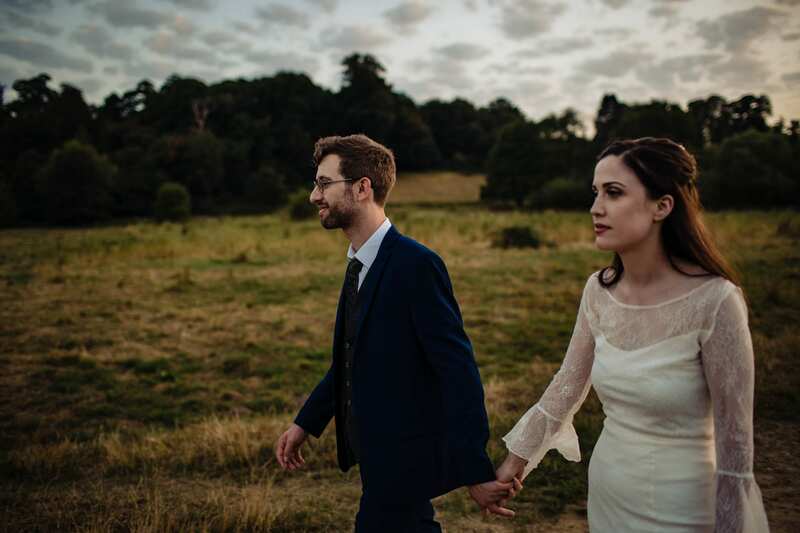 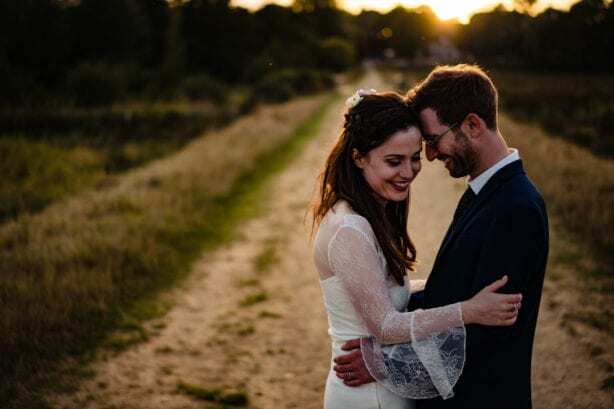 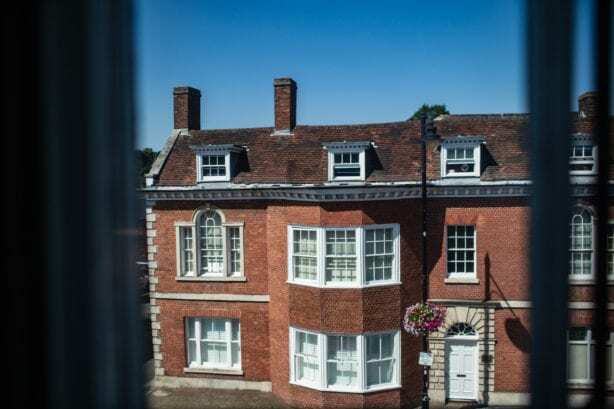 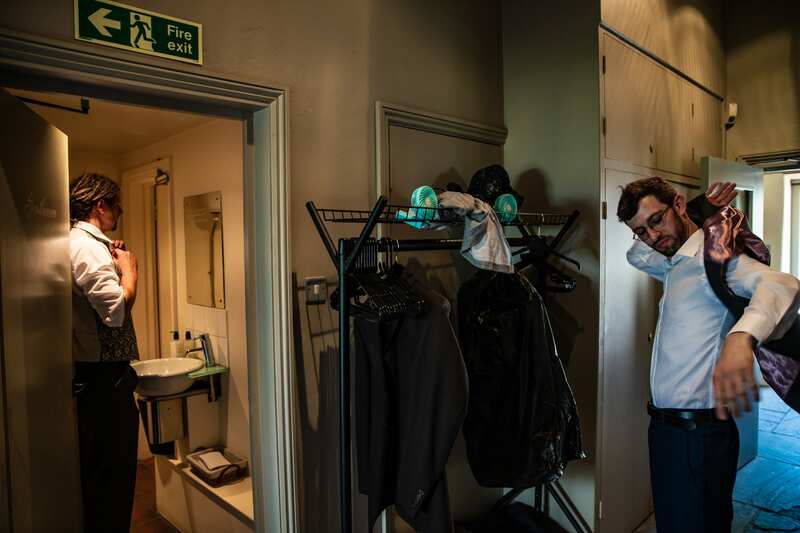 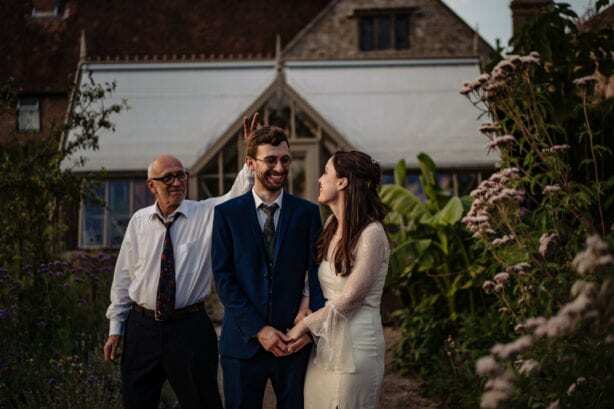 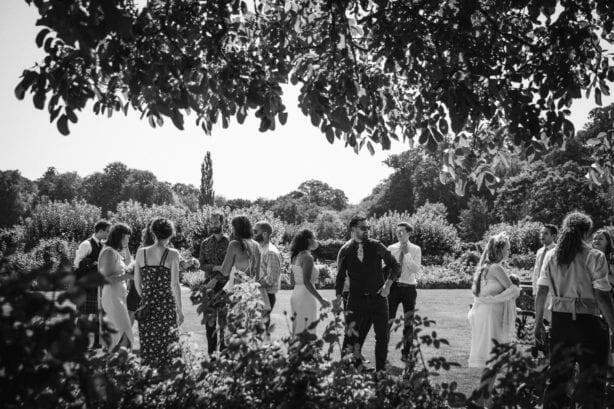 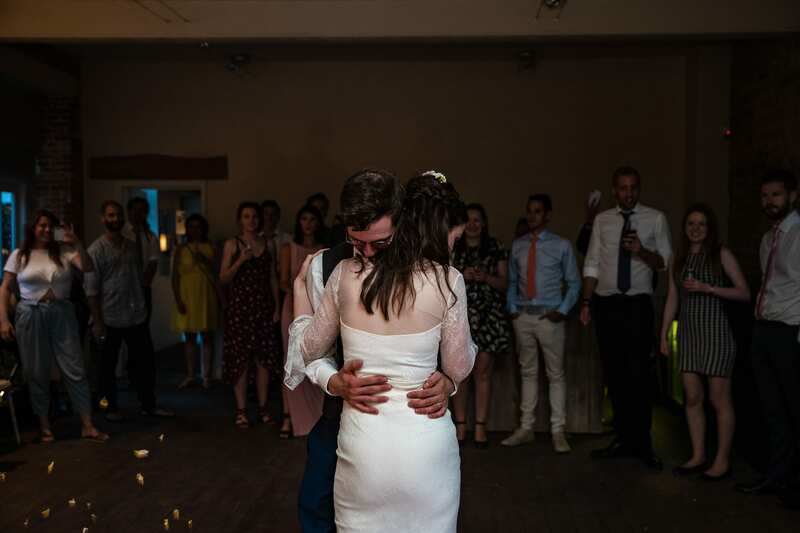 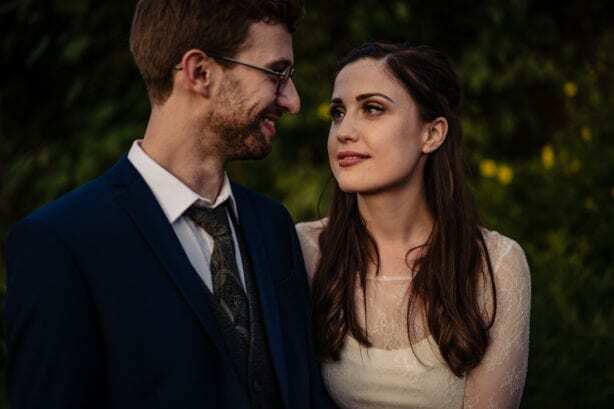 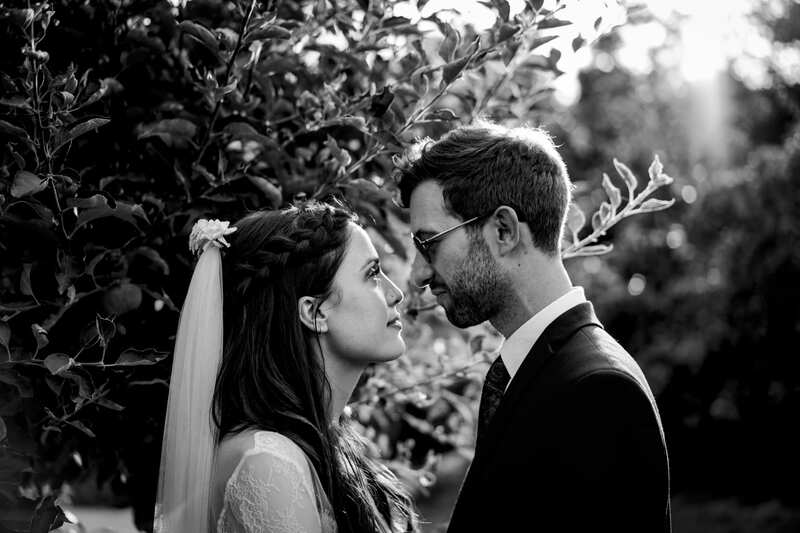 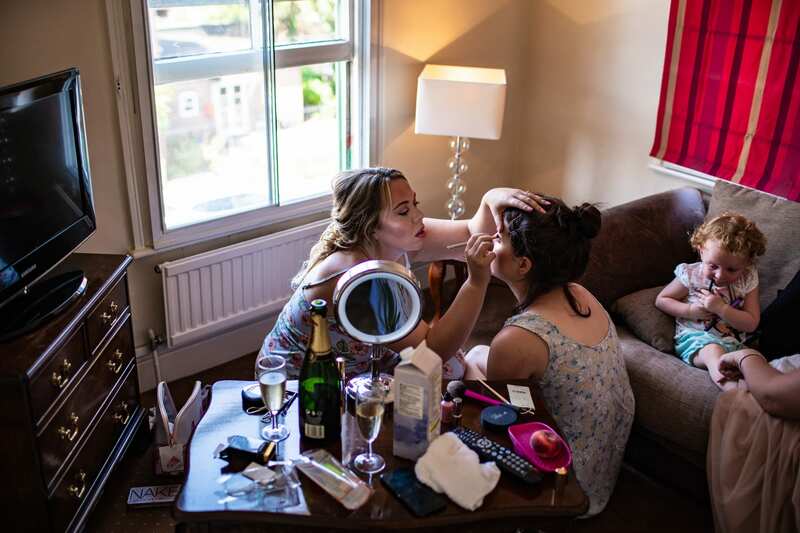 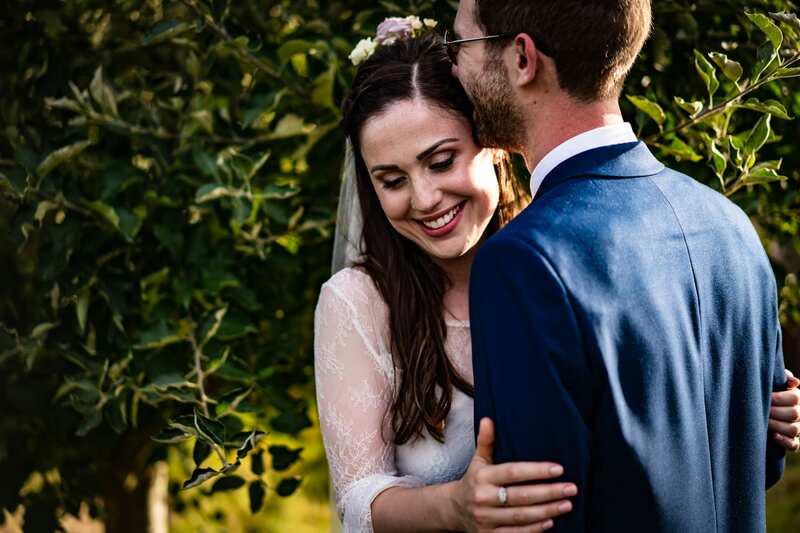 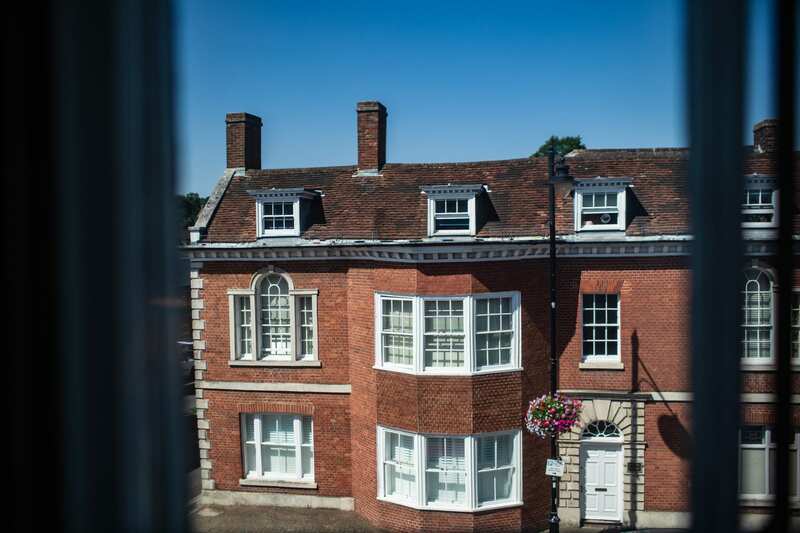 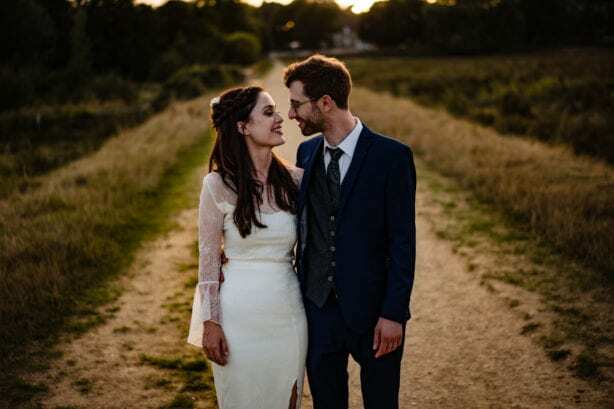 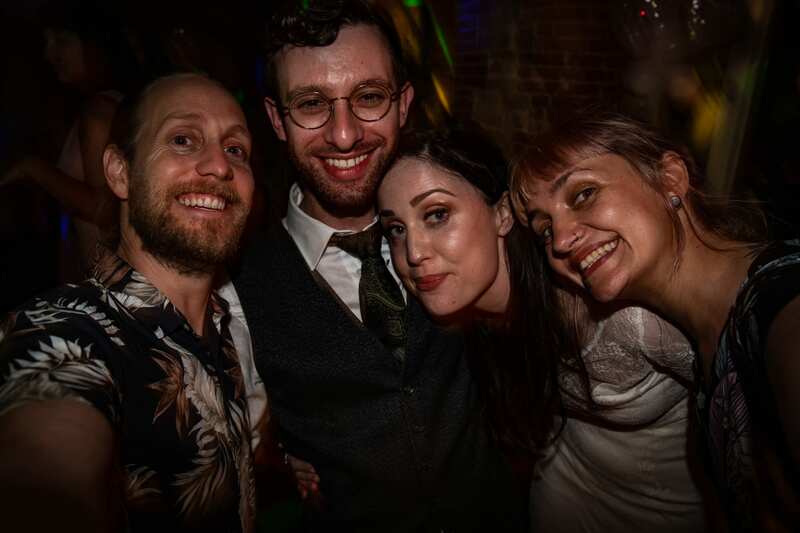 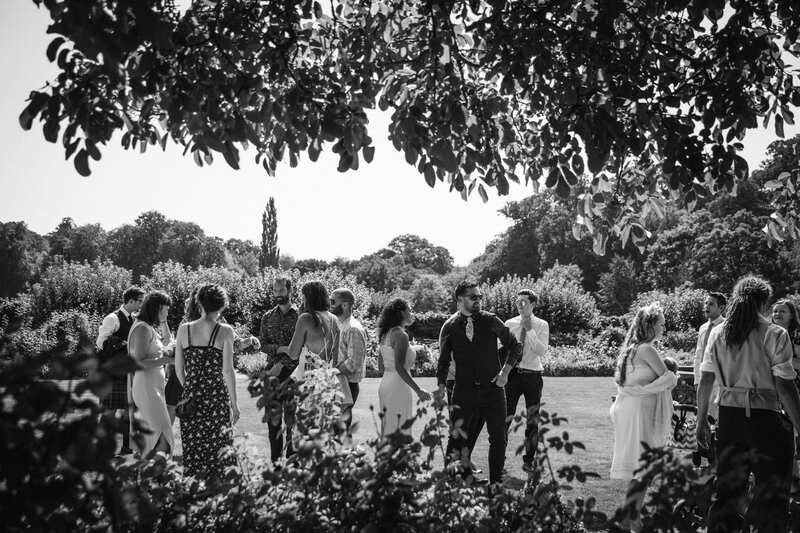 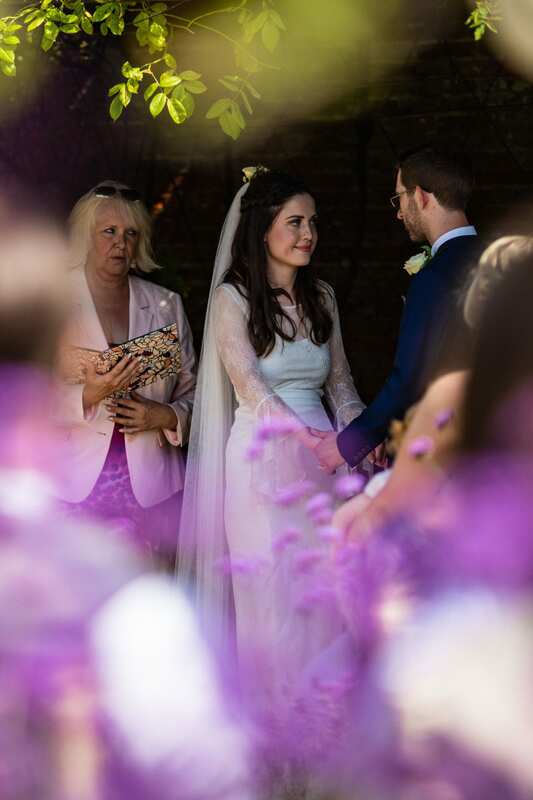 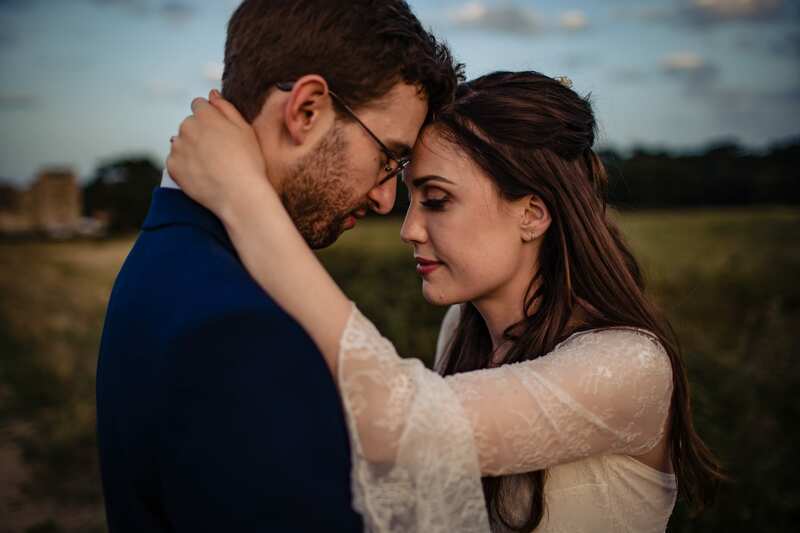 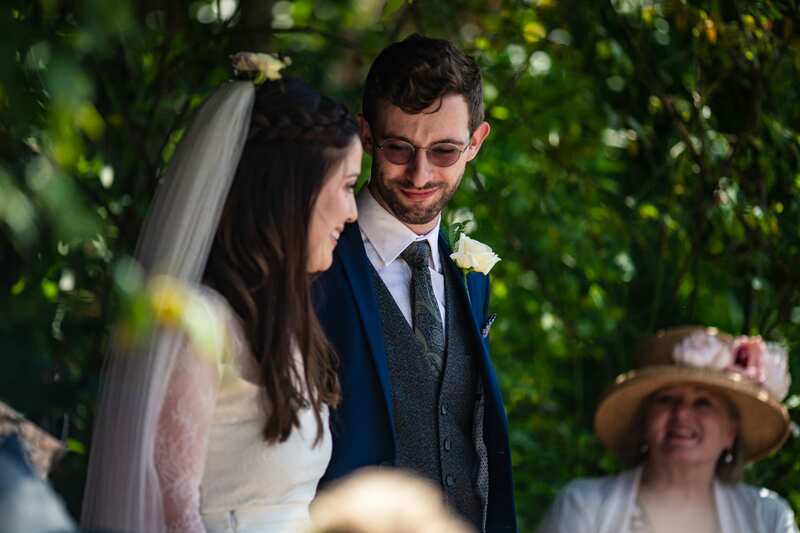 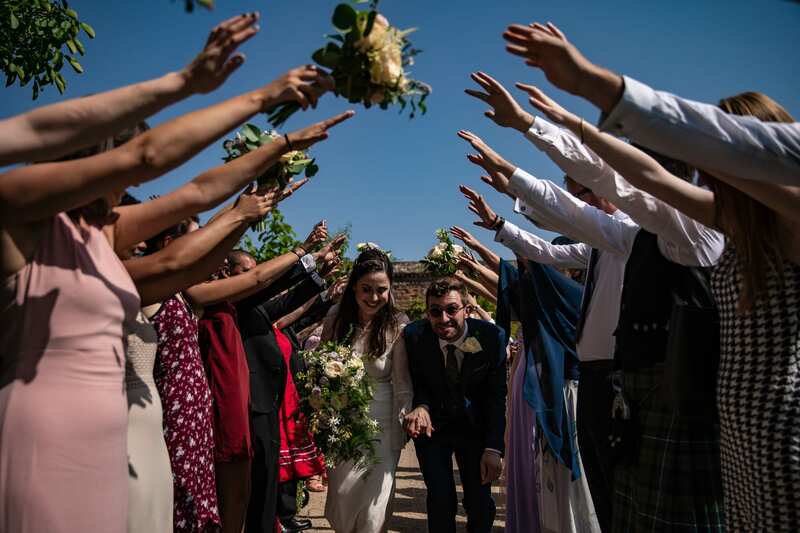 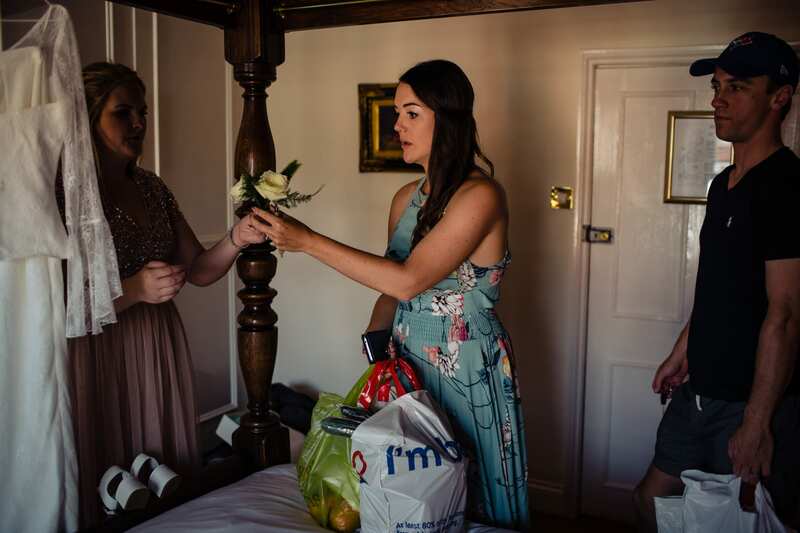 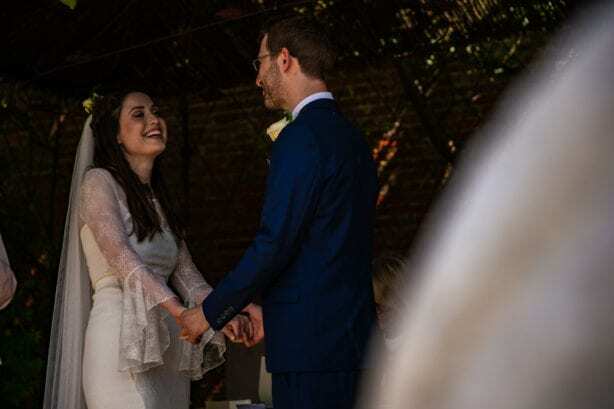 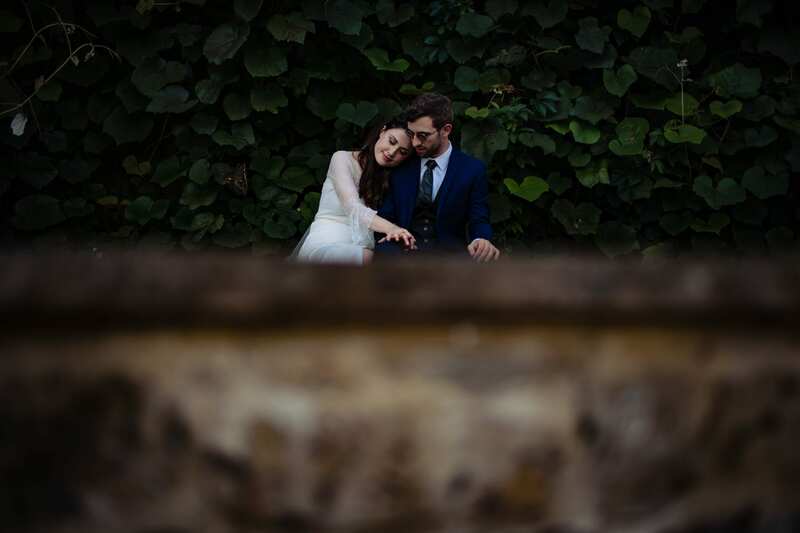 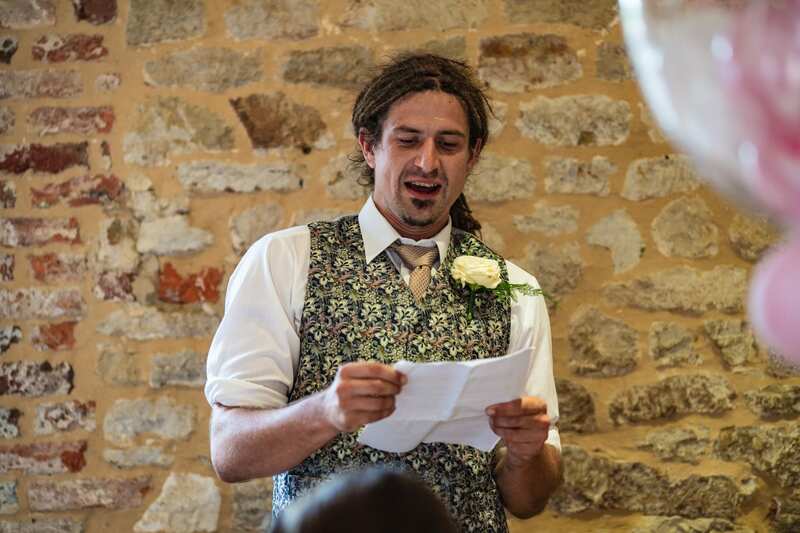 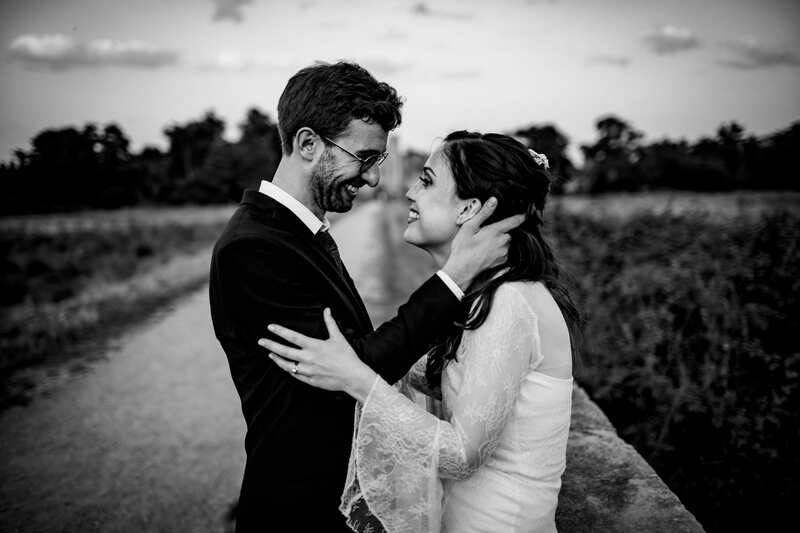 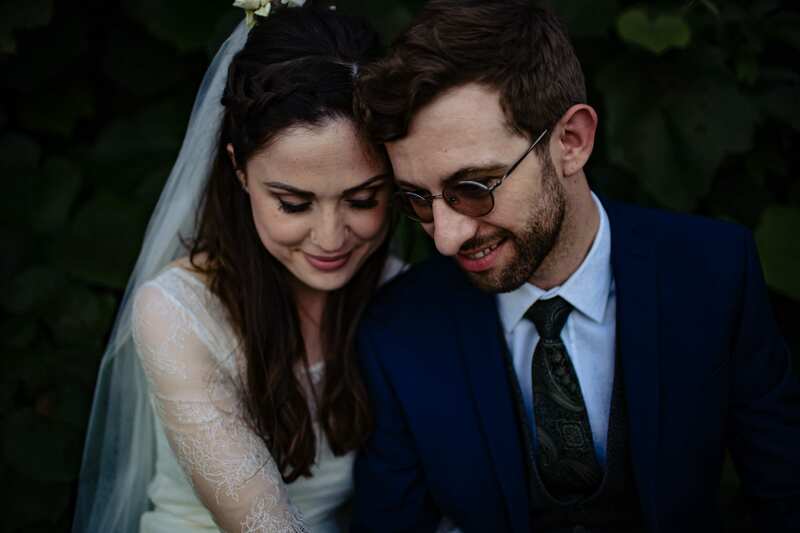 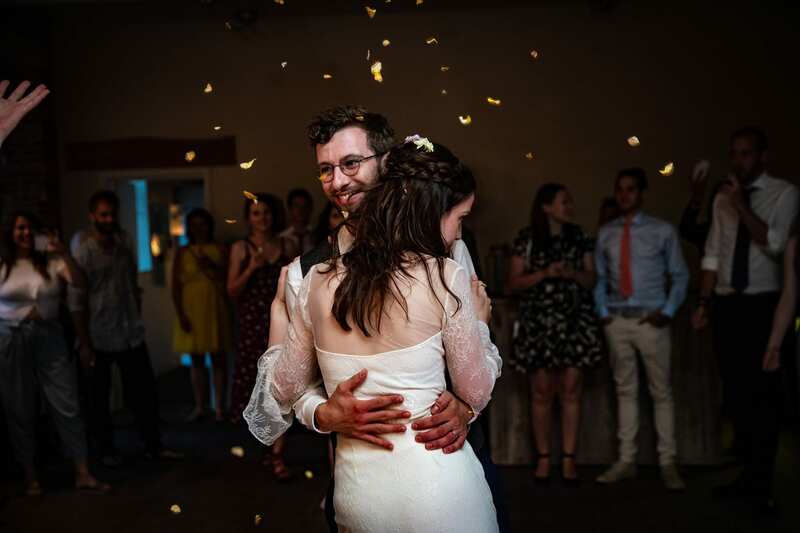 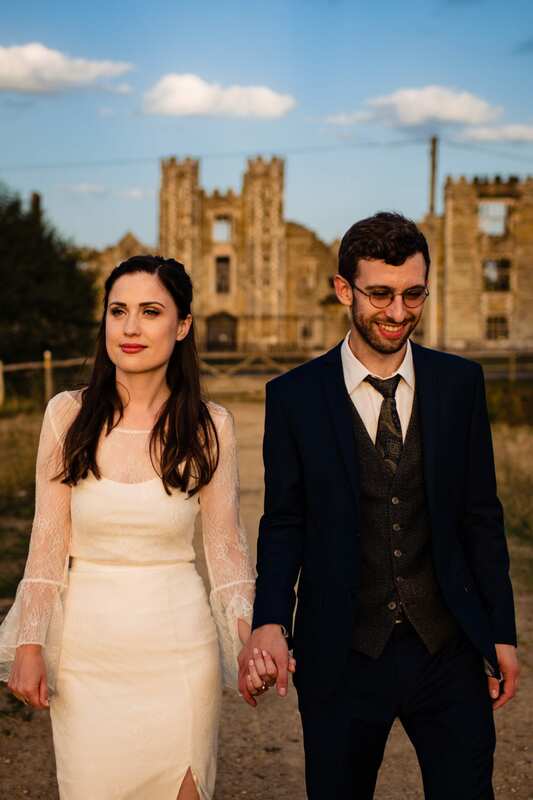 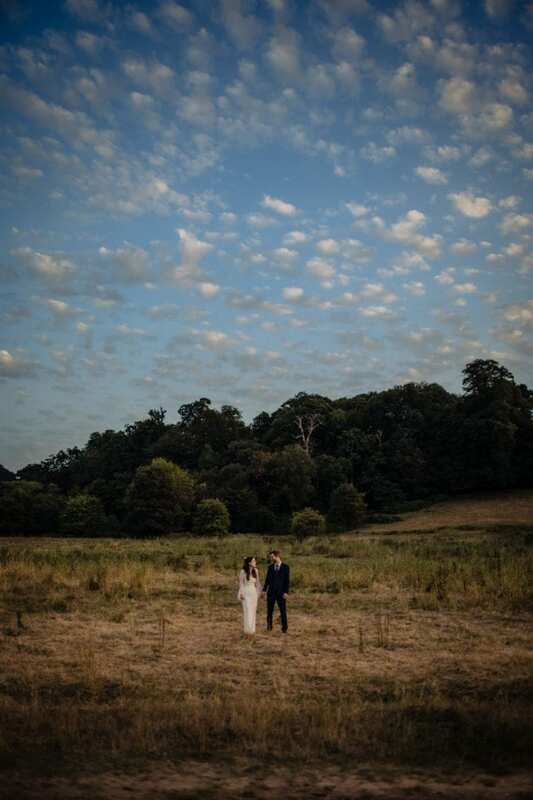 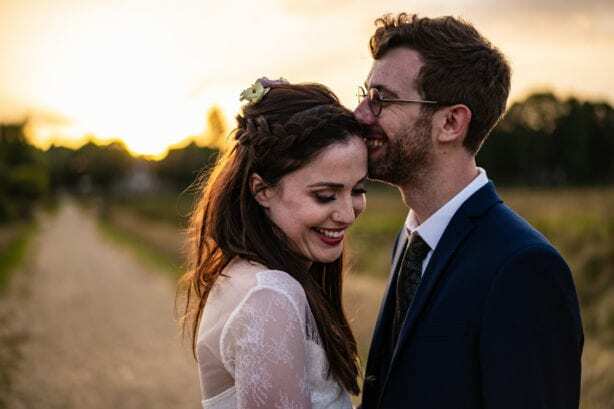 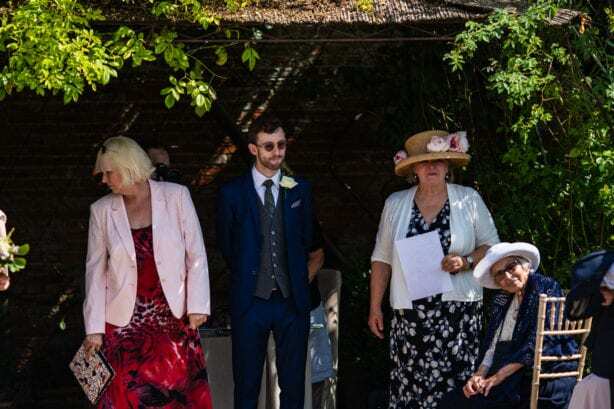 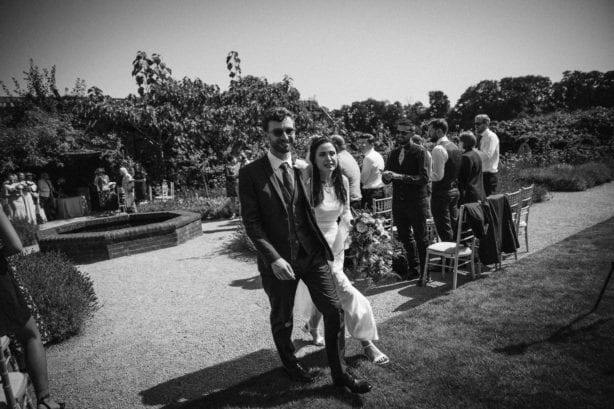 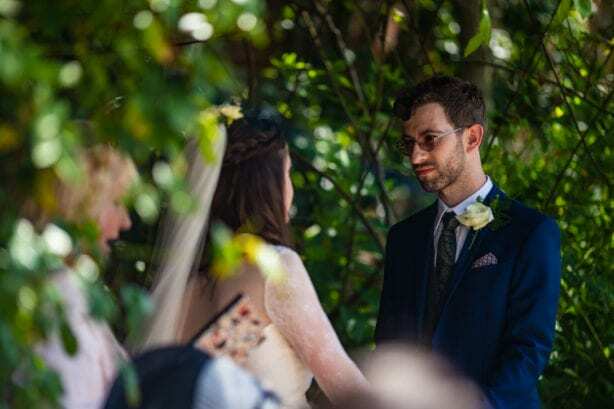 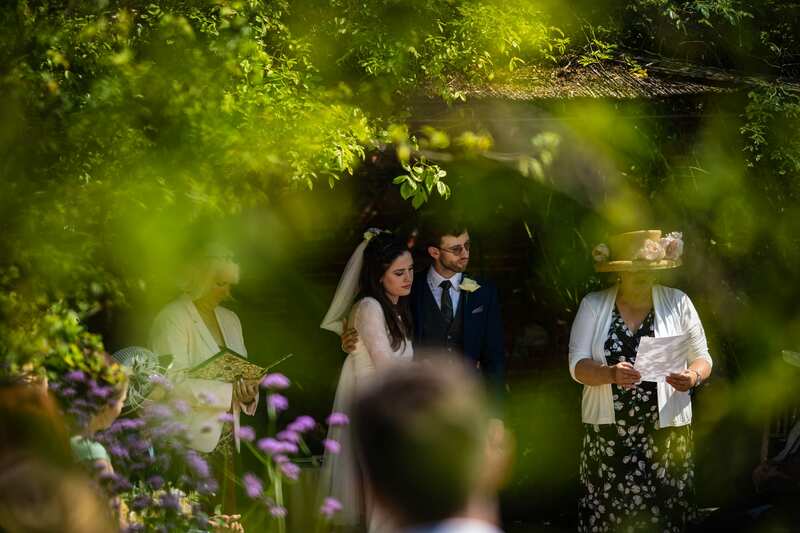 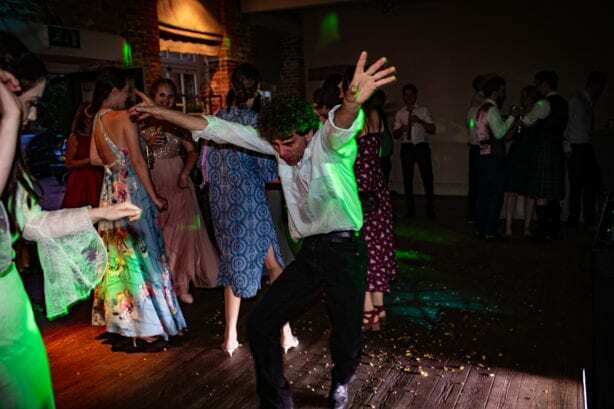 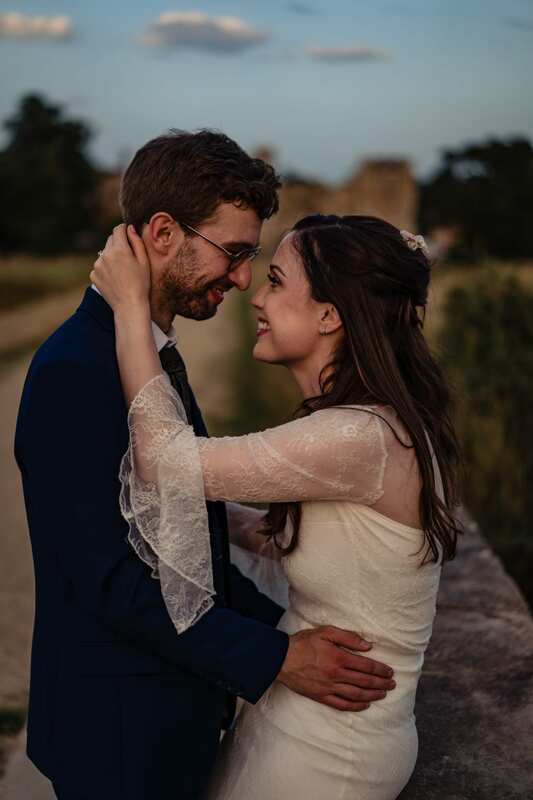 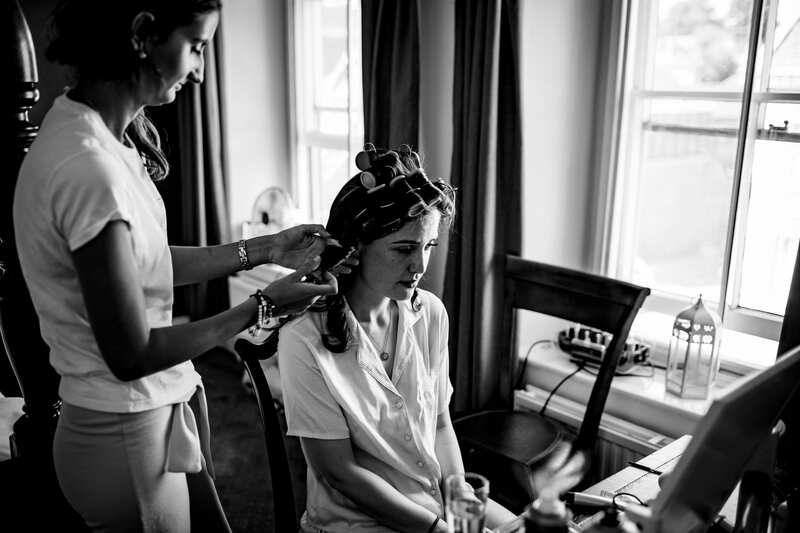 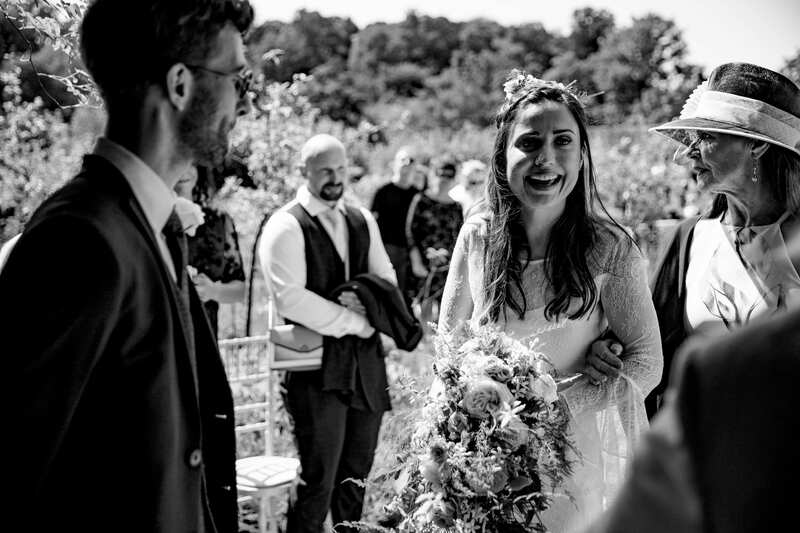 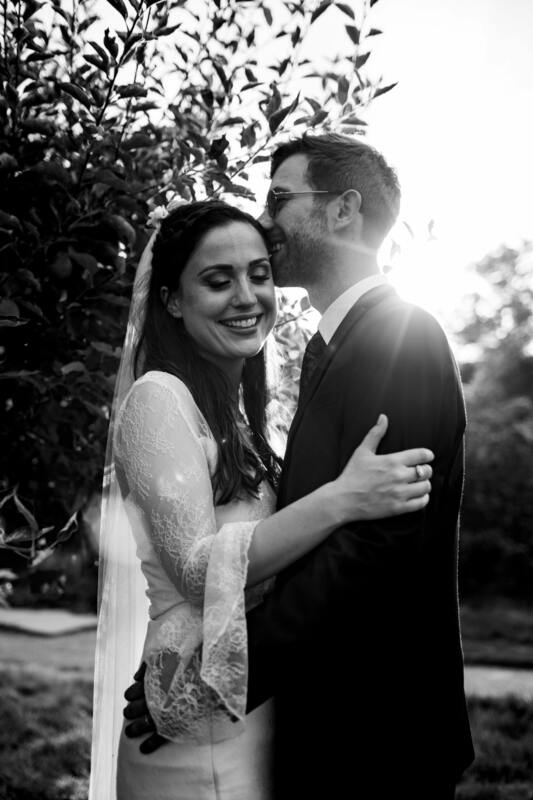 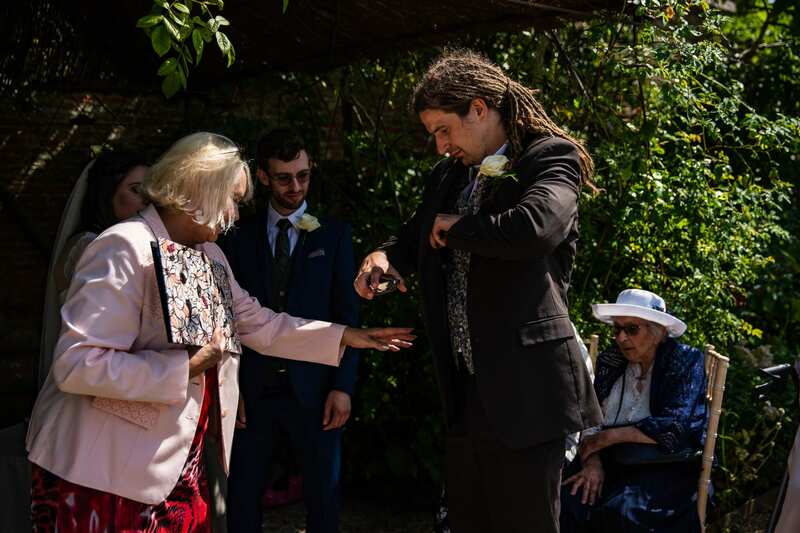 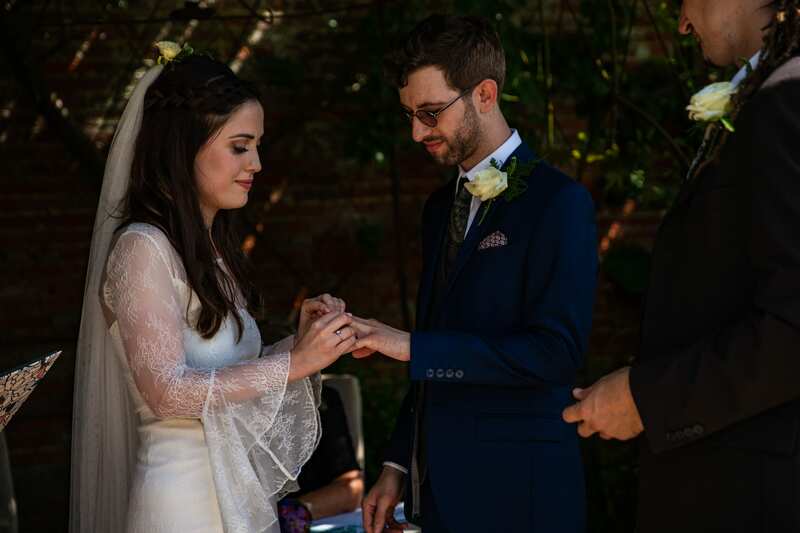 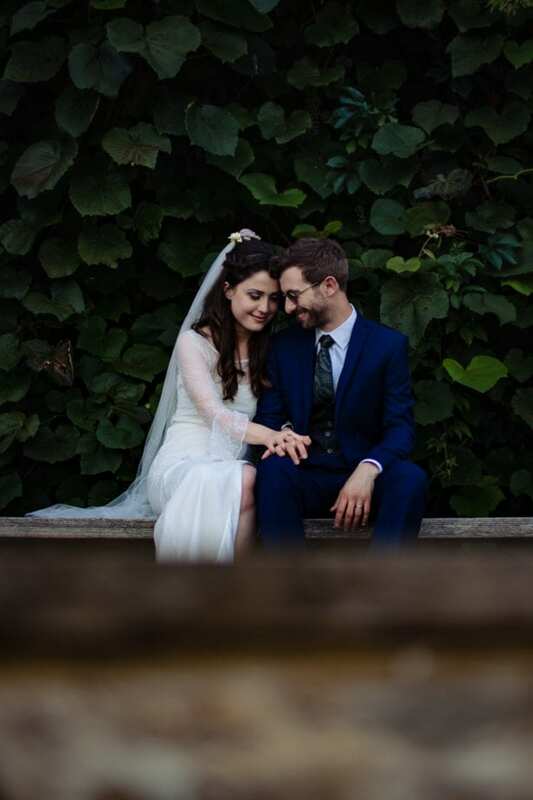 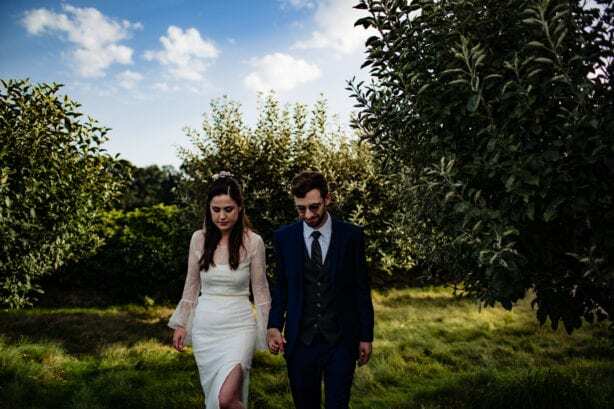 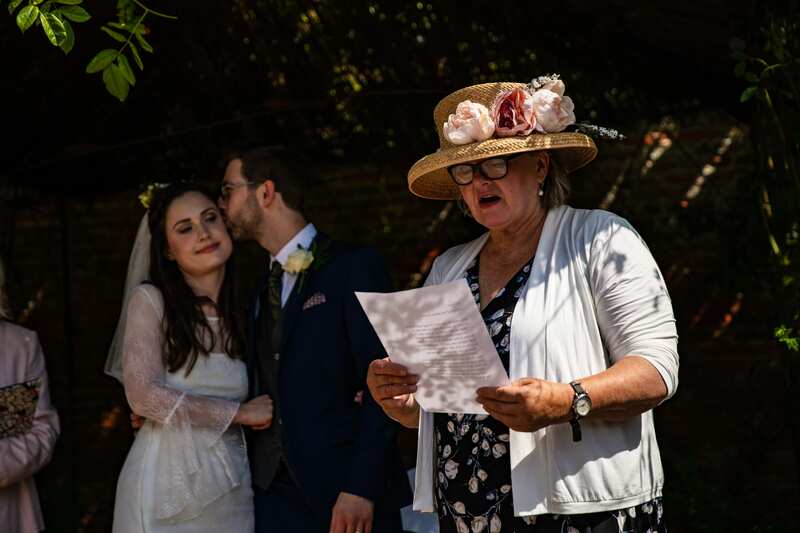 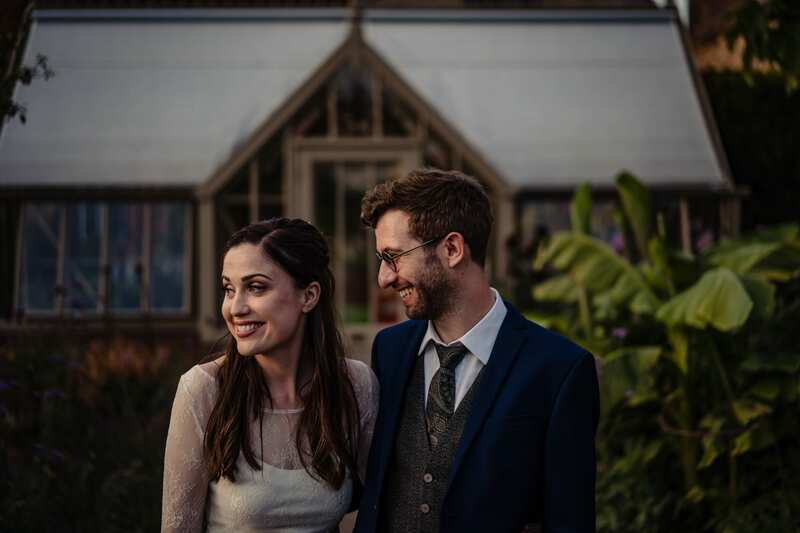 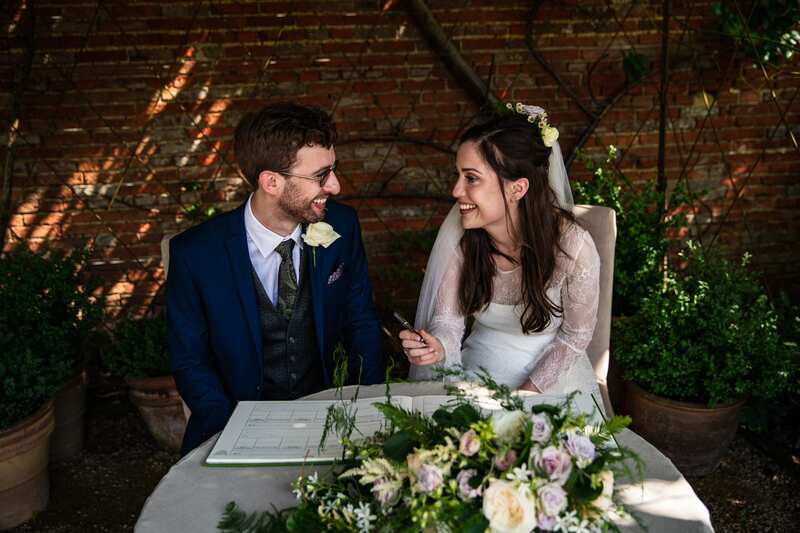 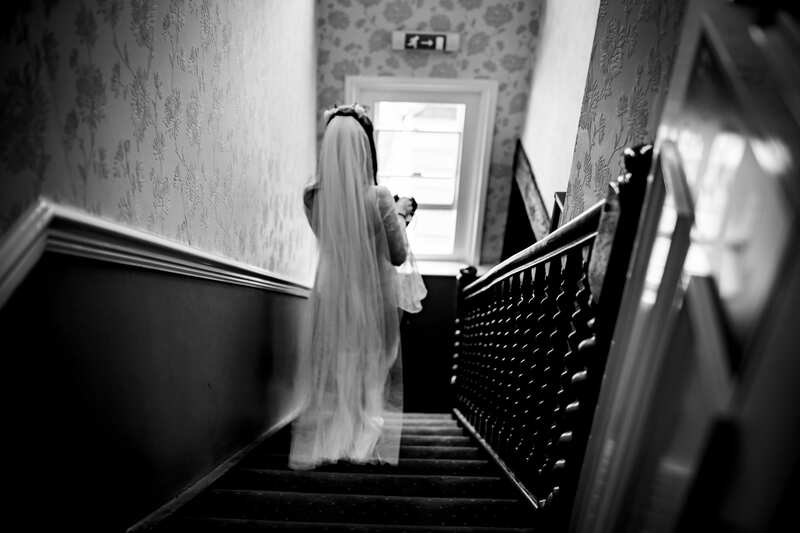 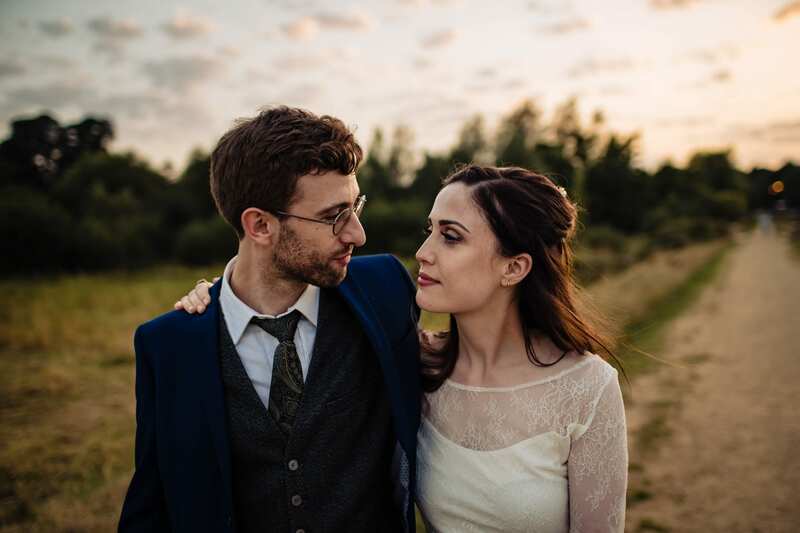 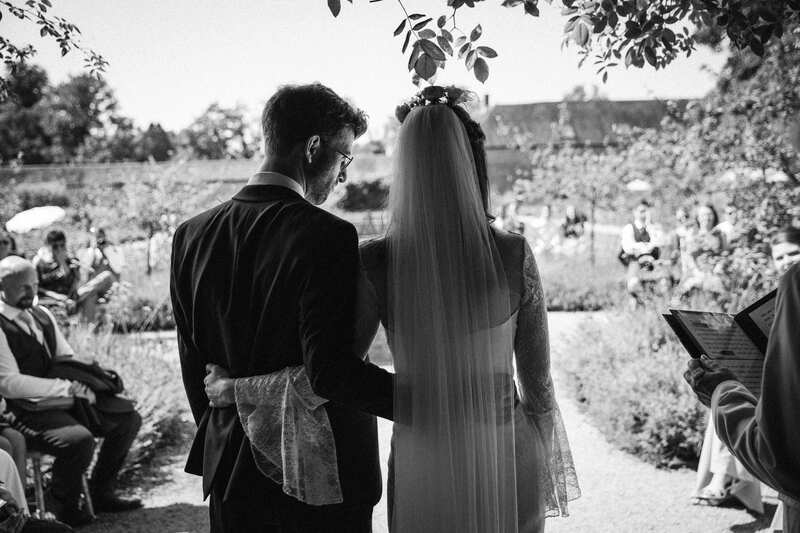 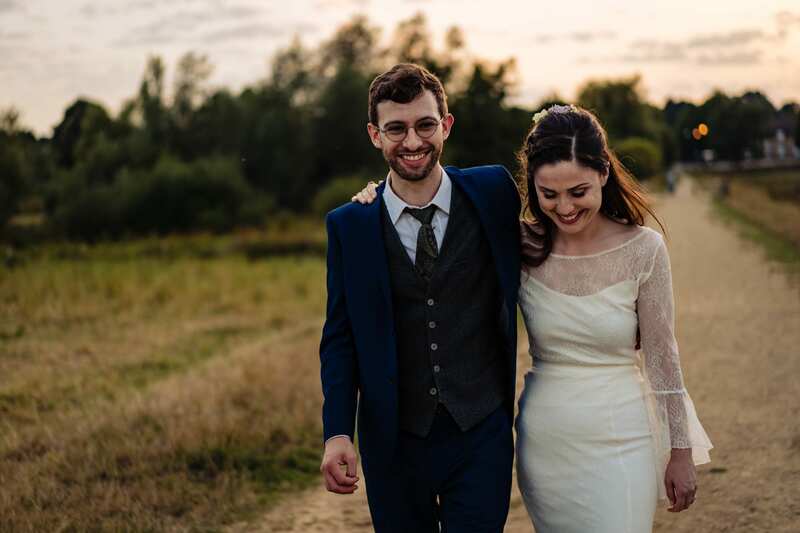 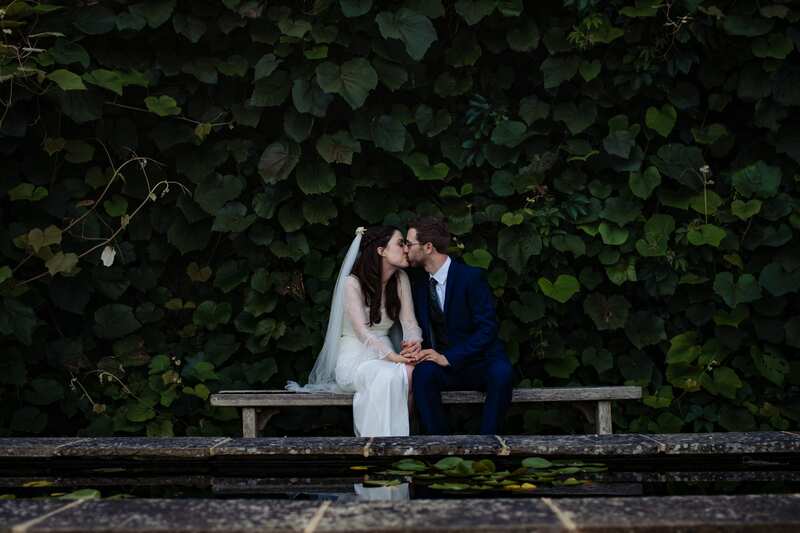 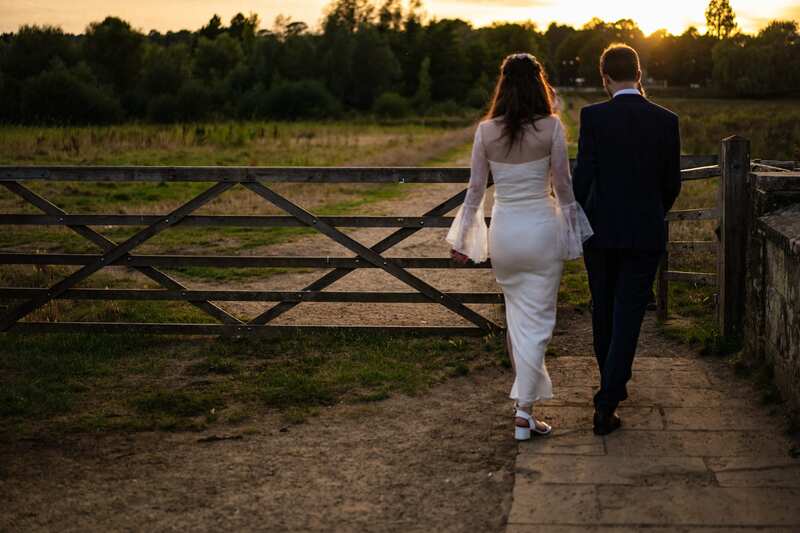 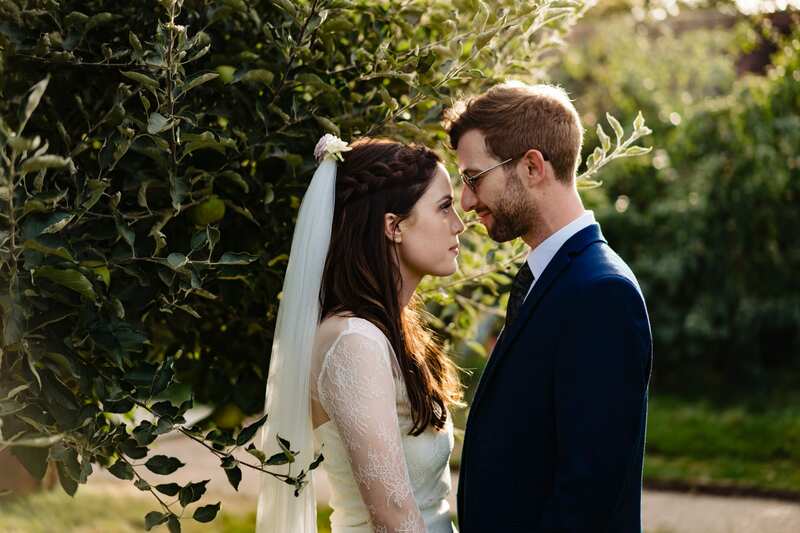 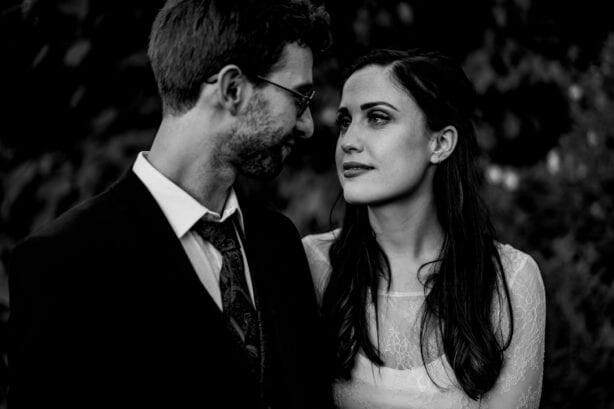 Sylvie and Jack got married on one of the hottest and most perfect days of UK Summer 2018. 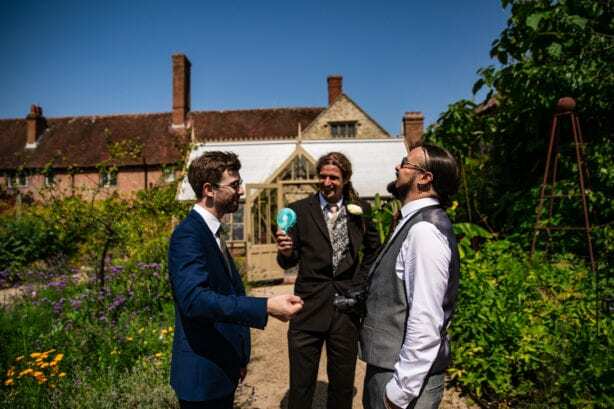 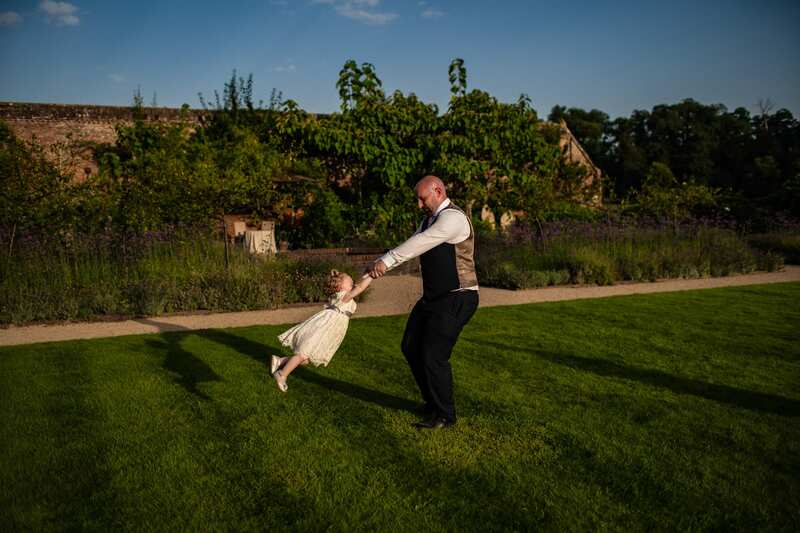 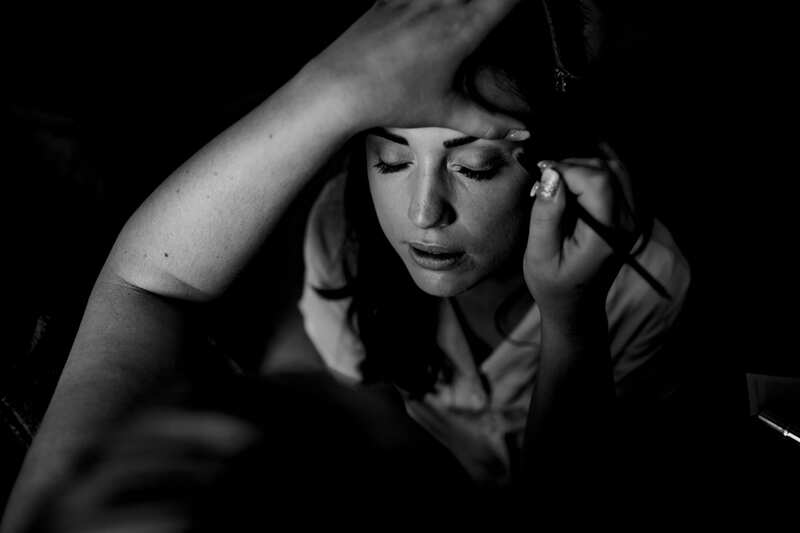 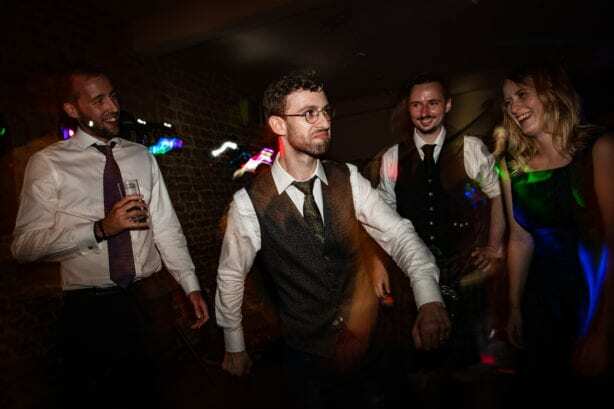 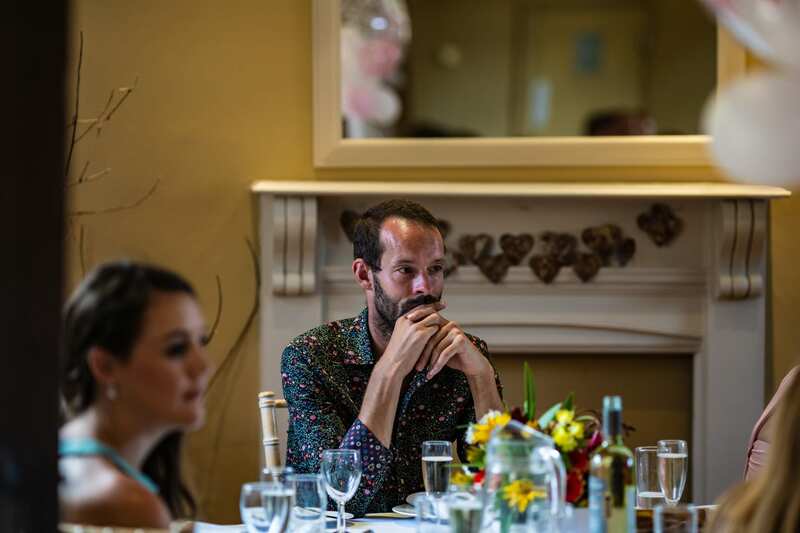 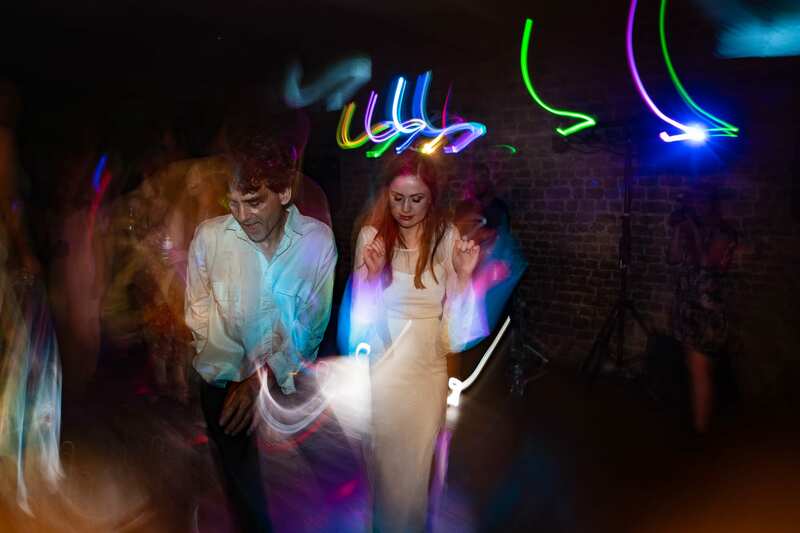 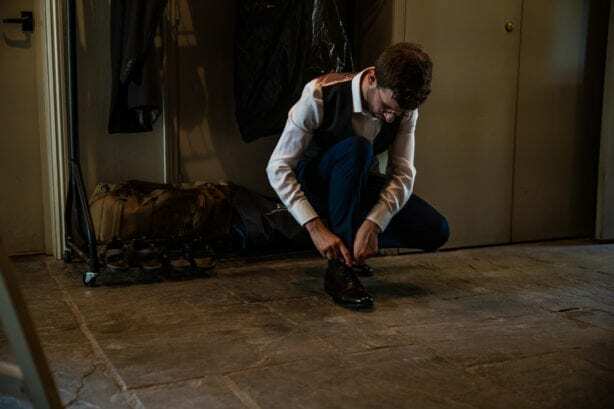 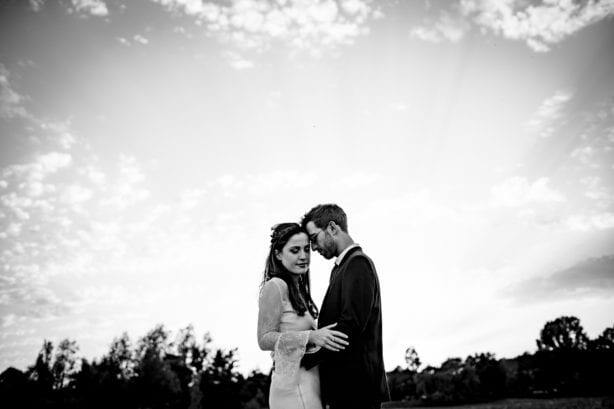 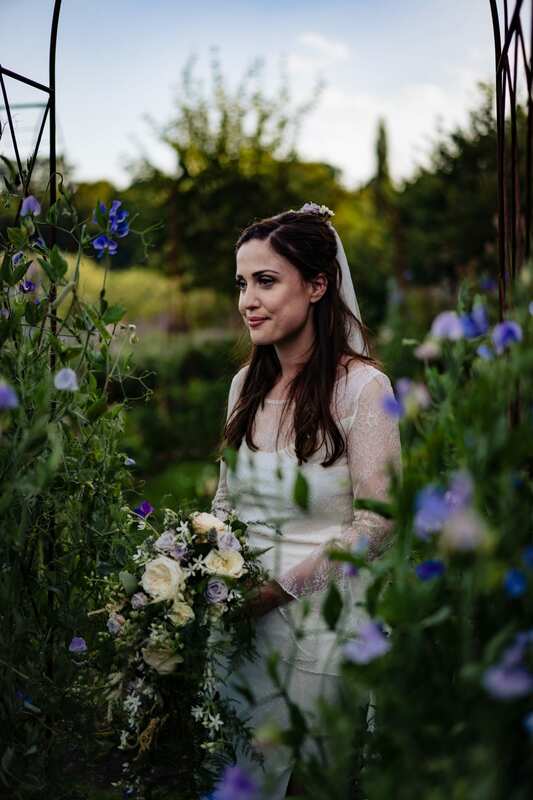 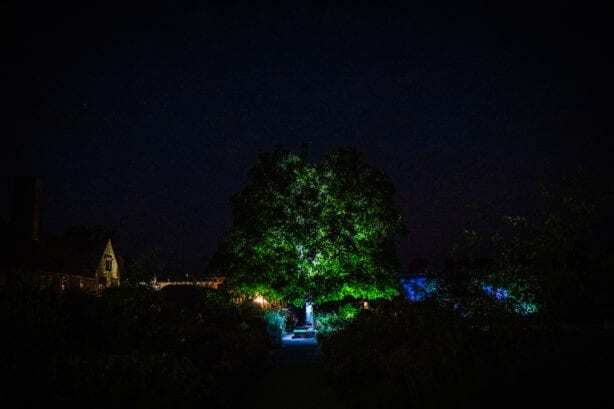 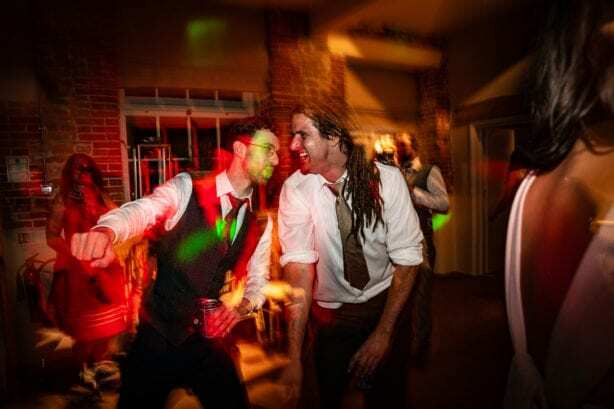 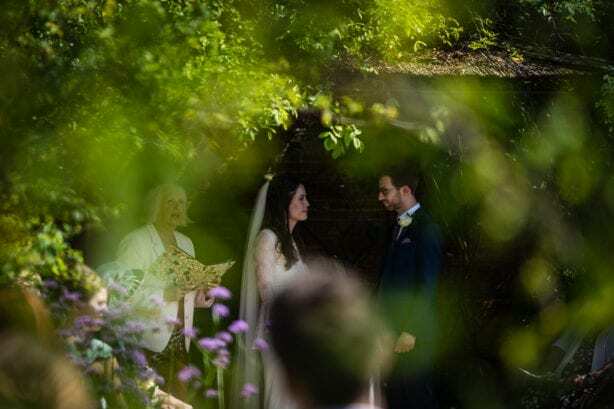 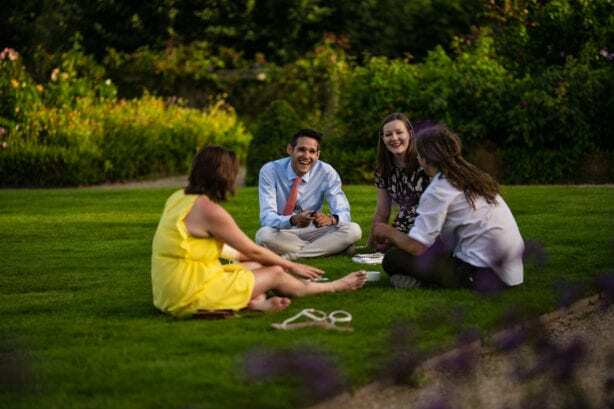 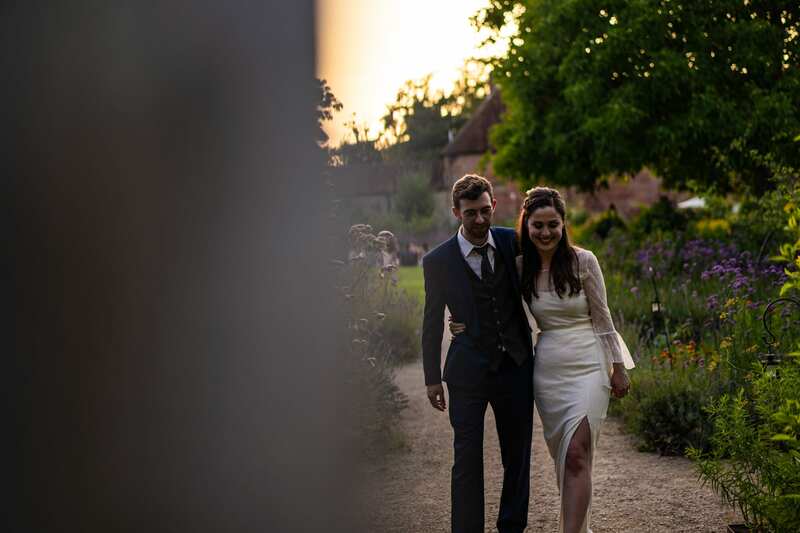 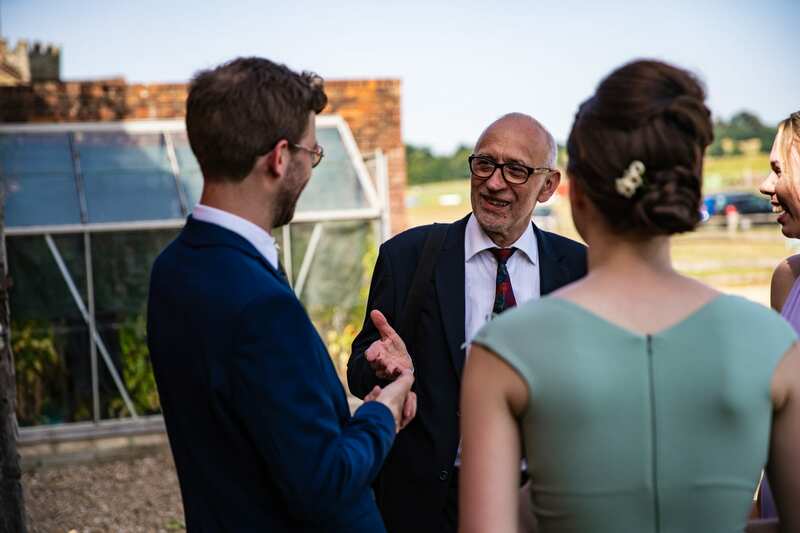 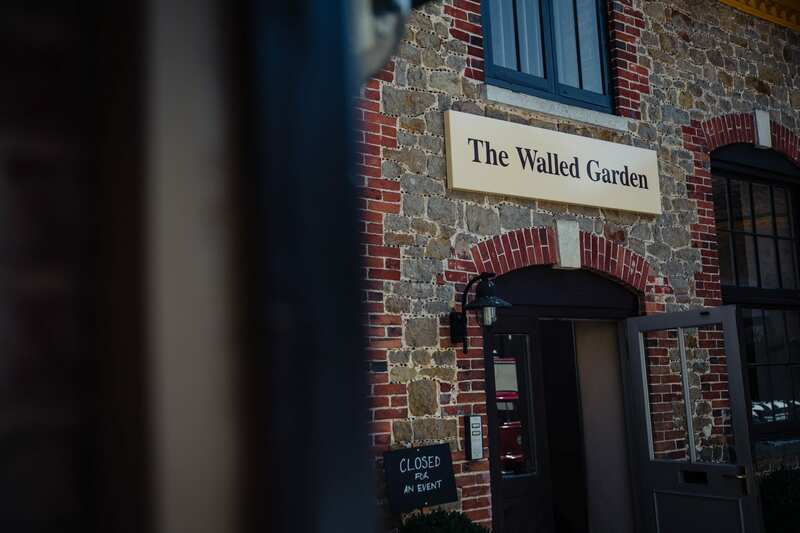 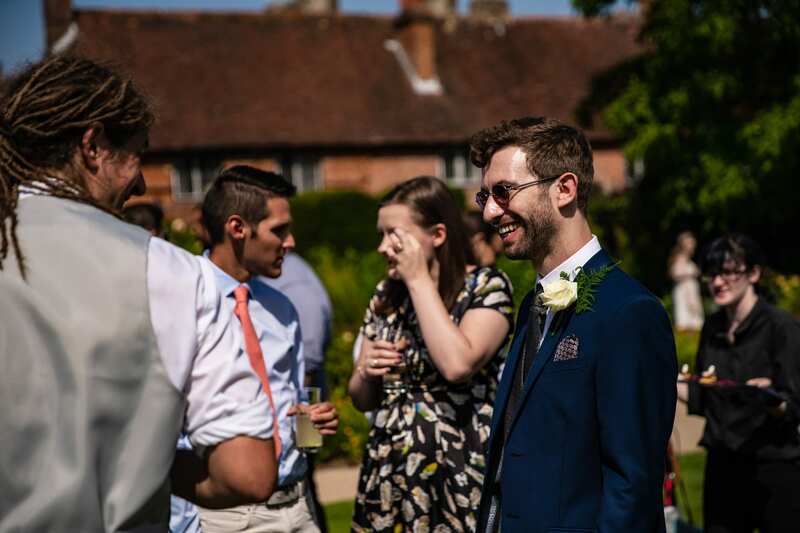 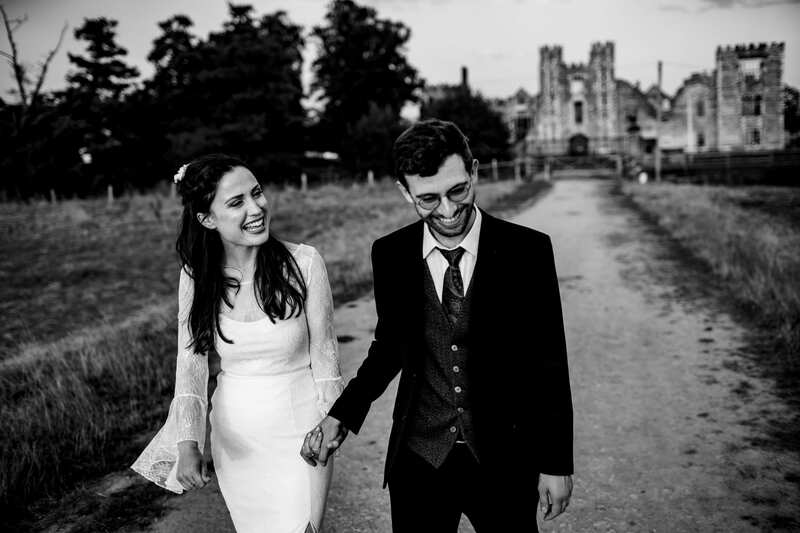 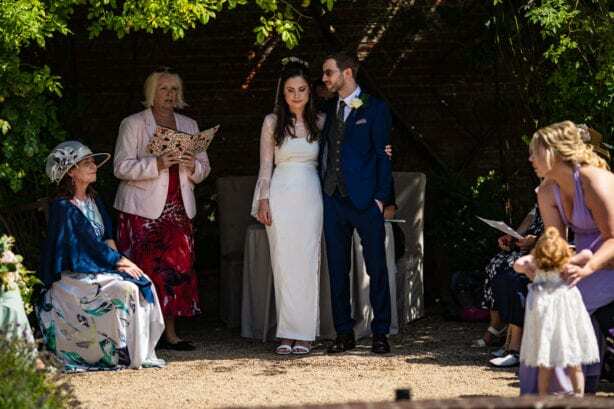 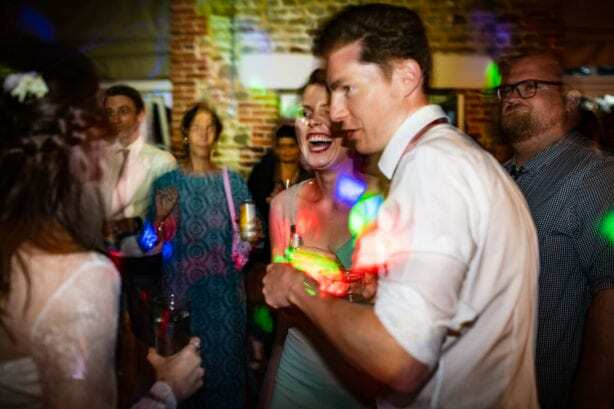 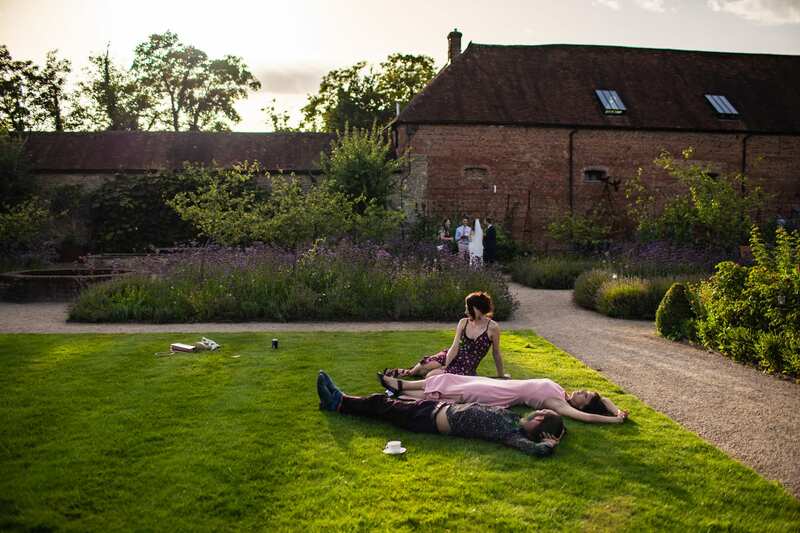 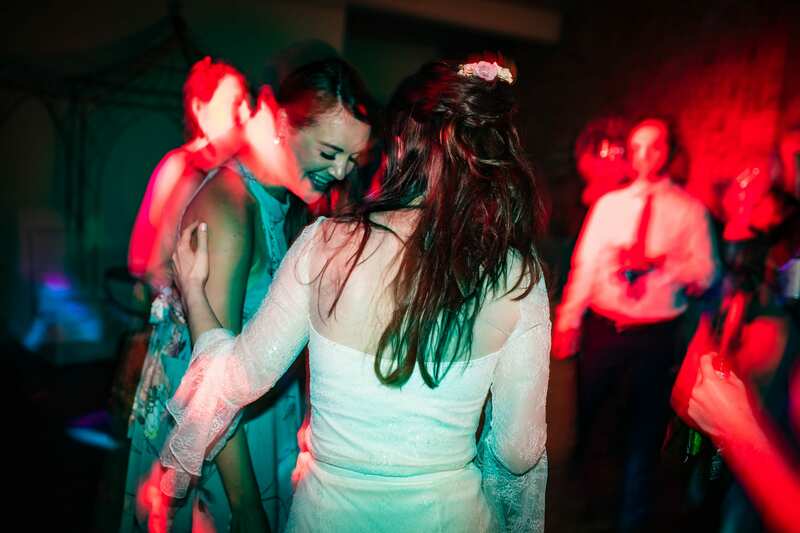 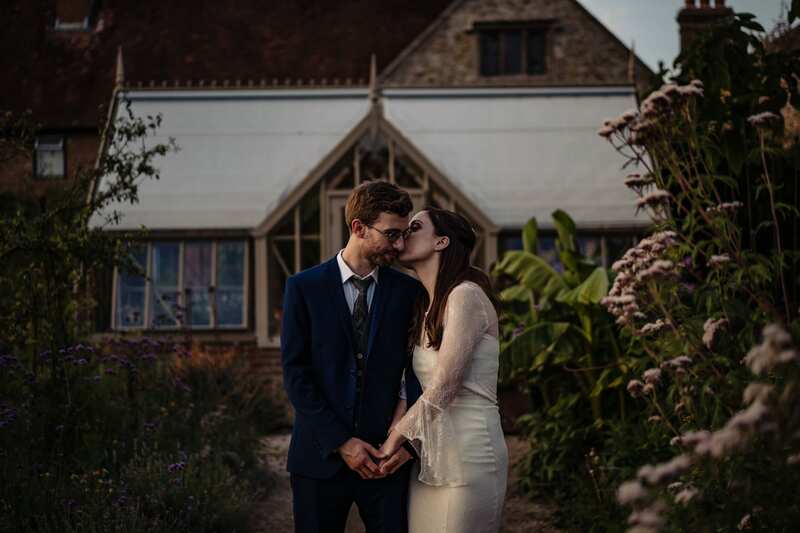 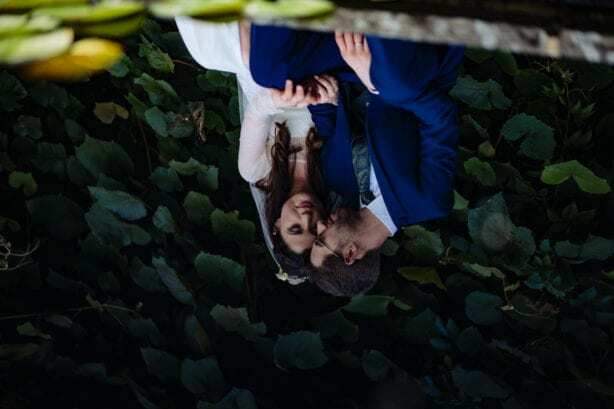 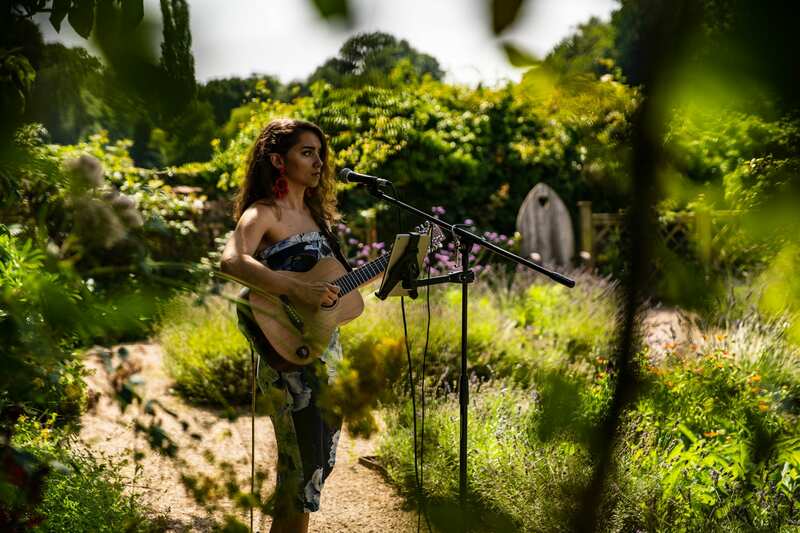 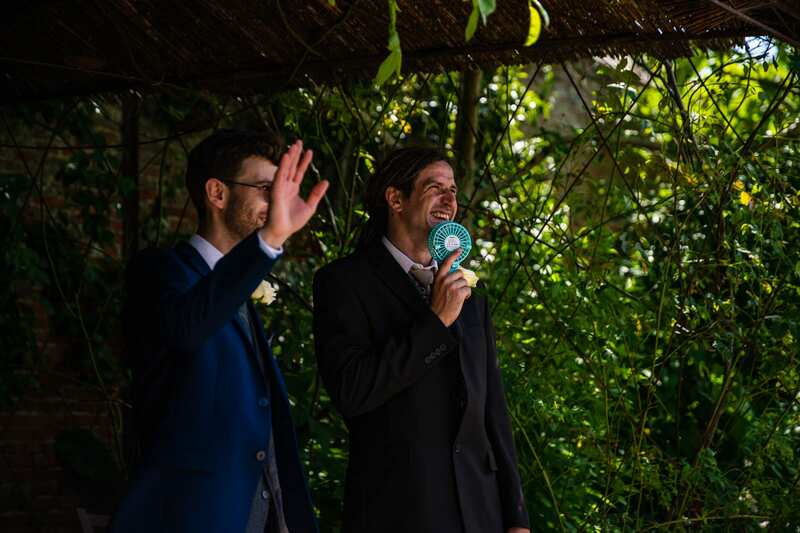 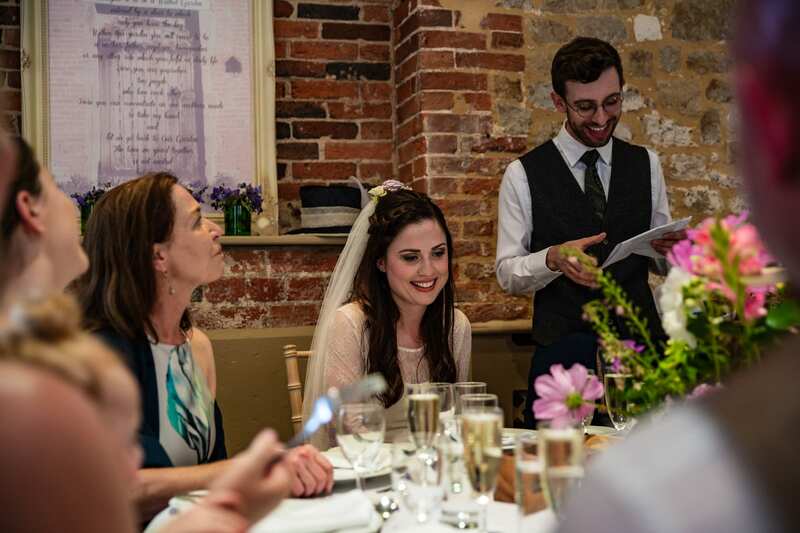 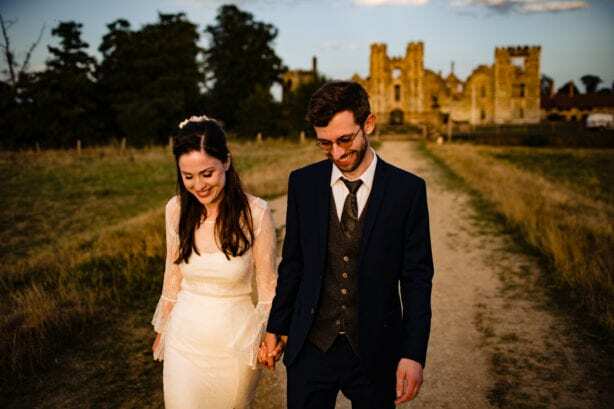 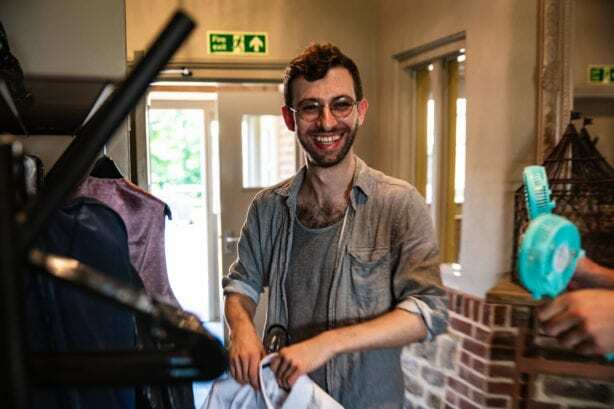 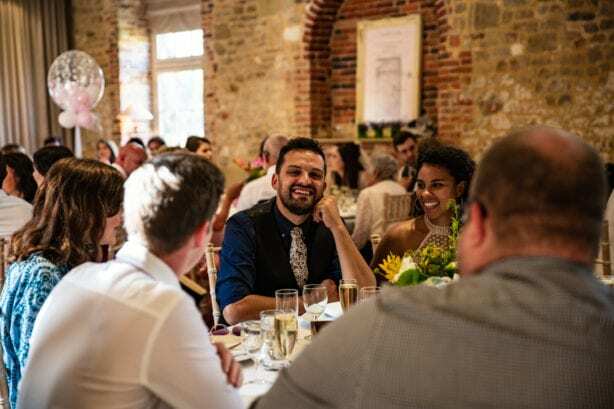 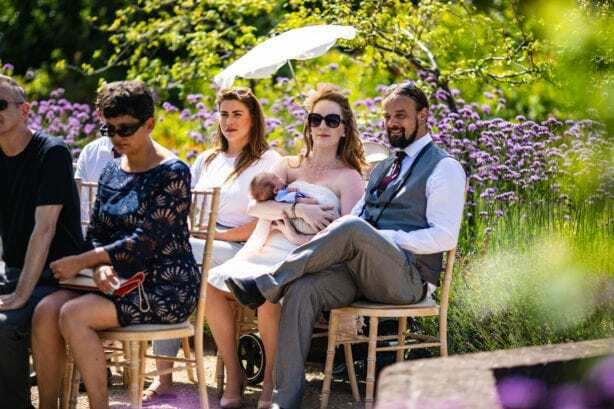 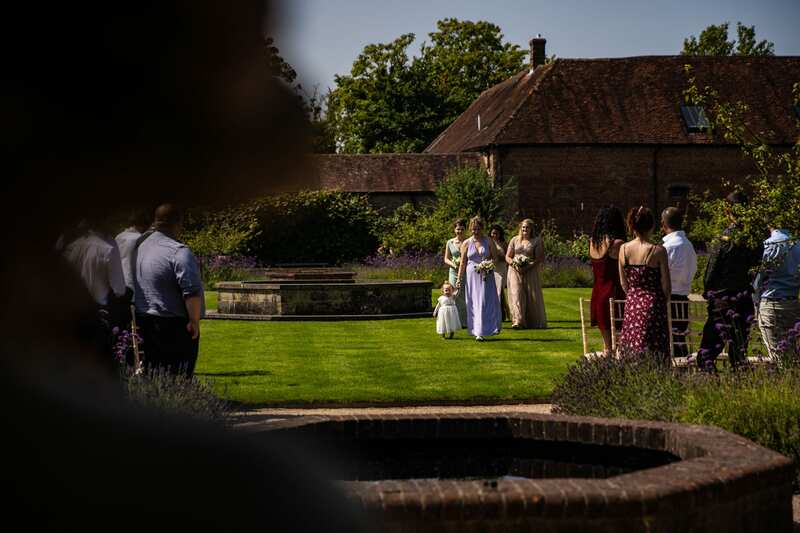 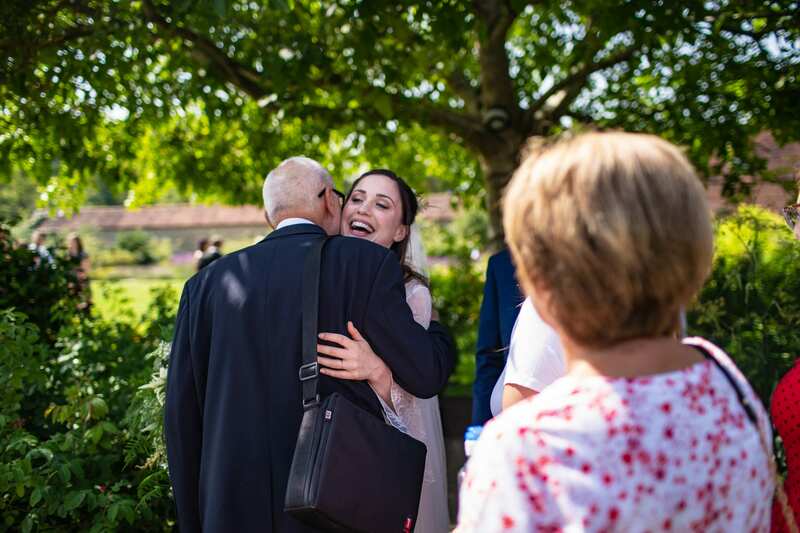 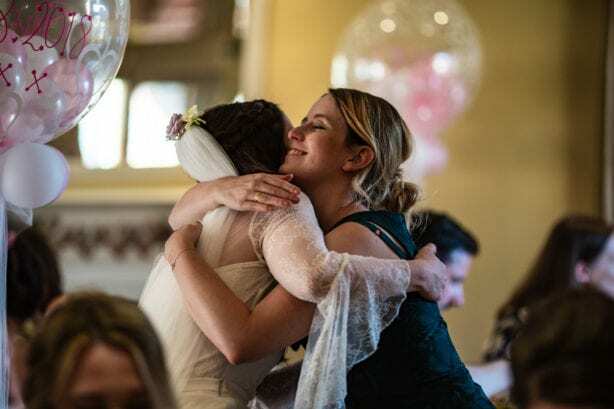 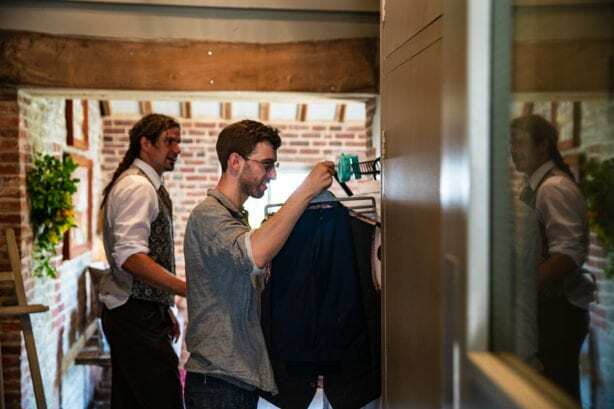 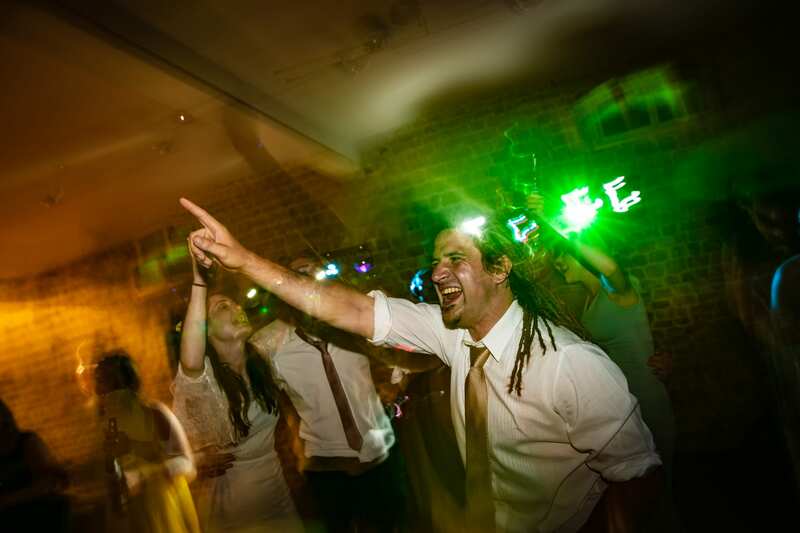 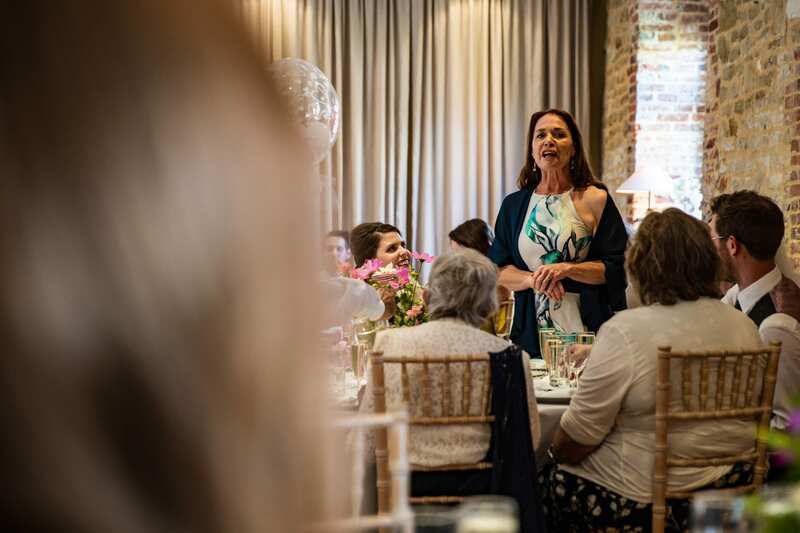 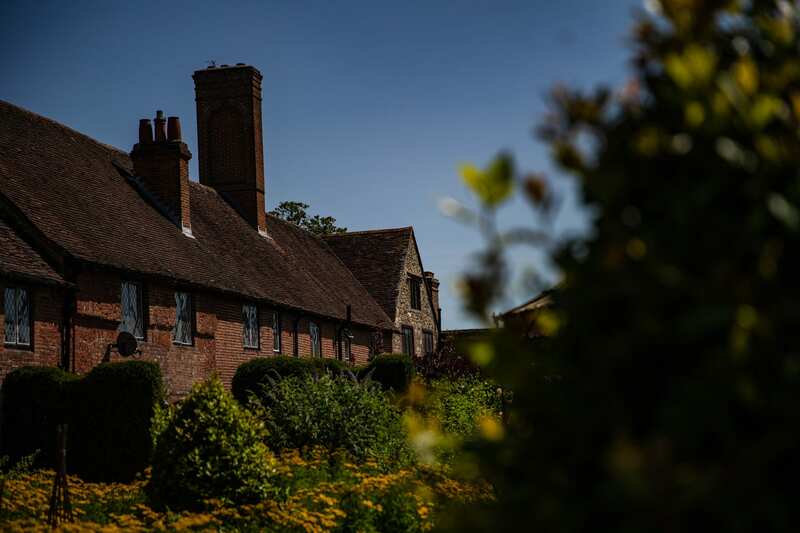 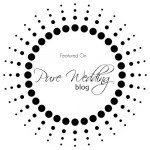 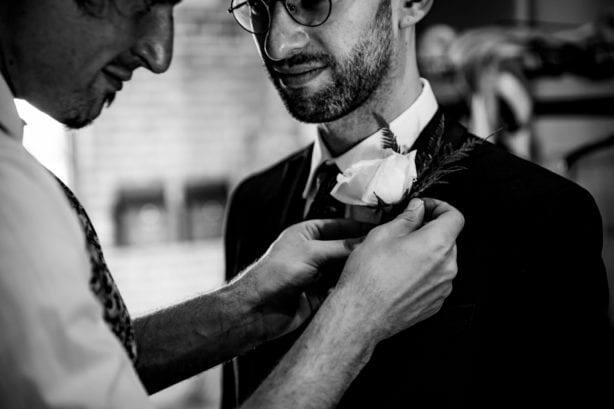 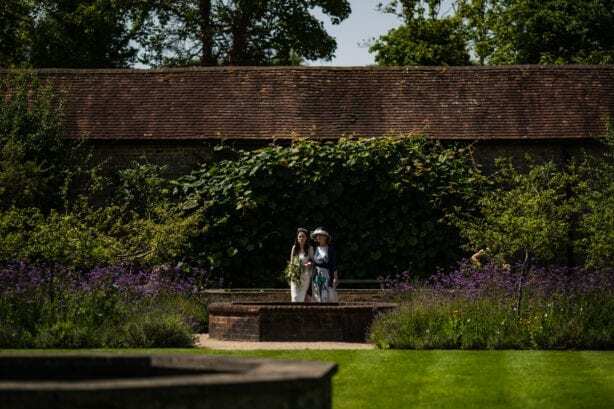 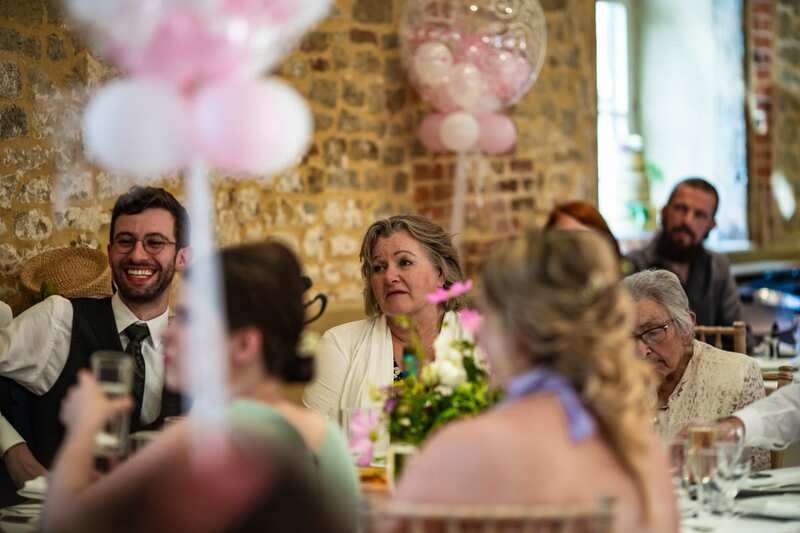 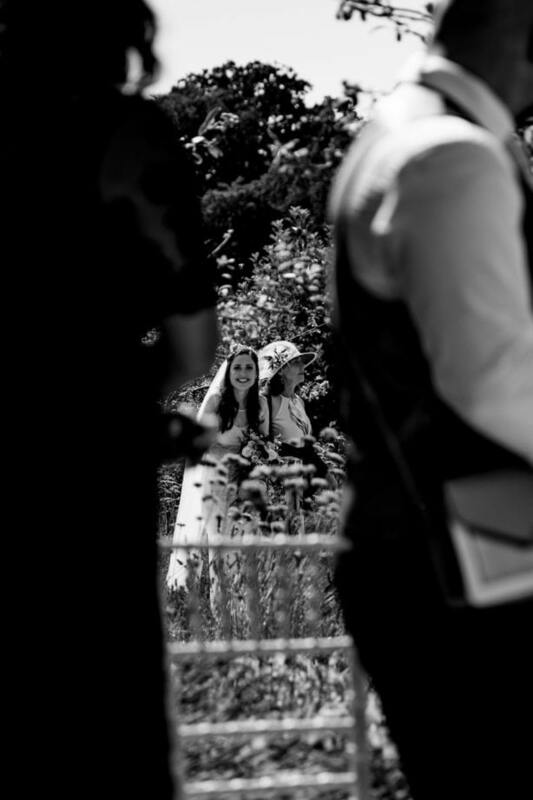 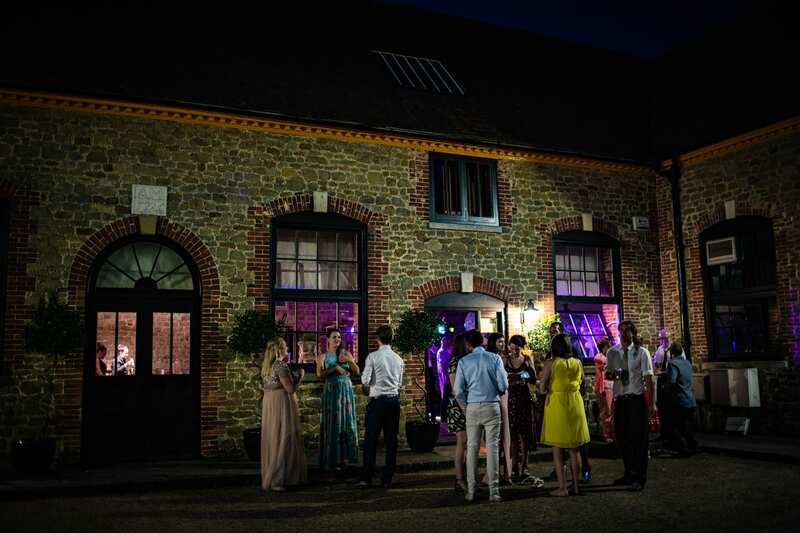 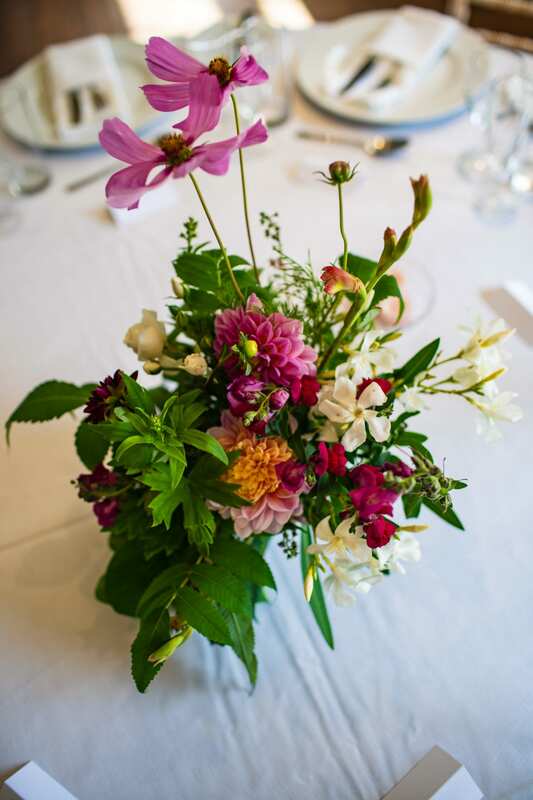 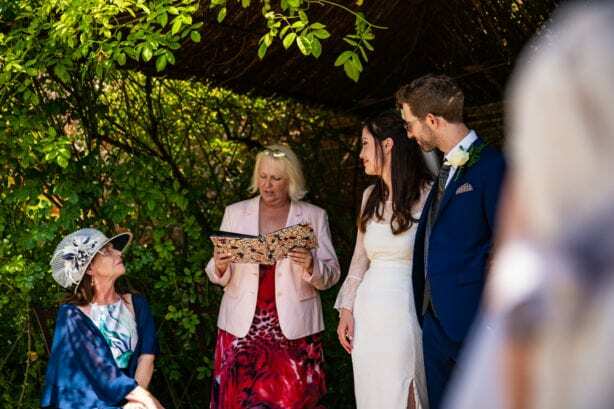 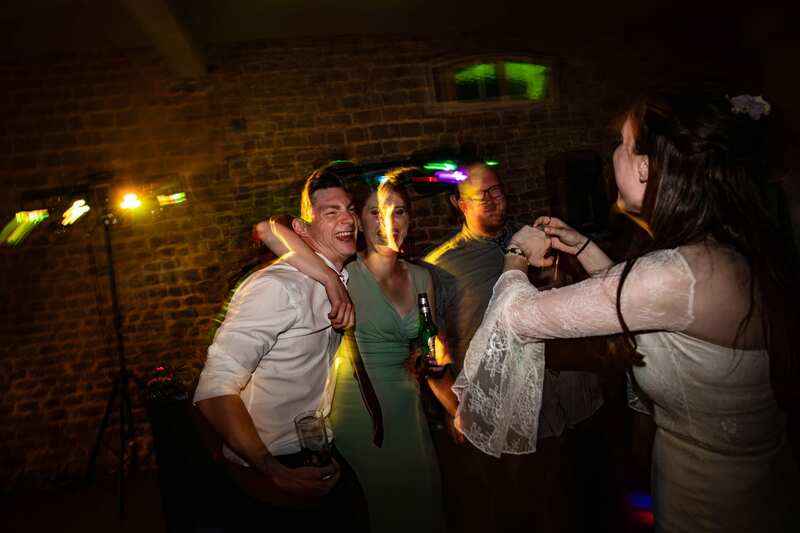 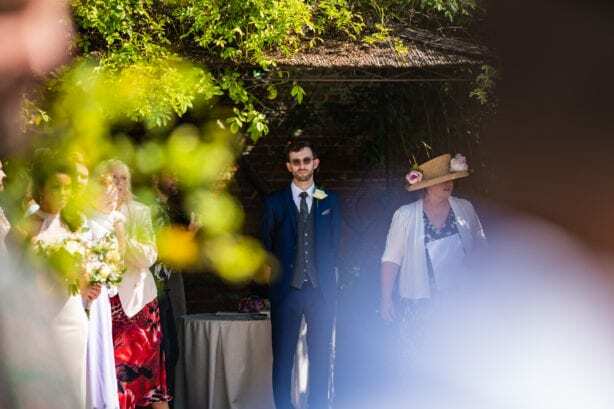 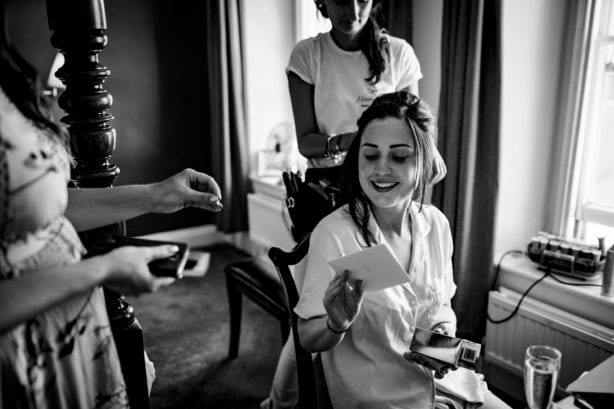 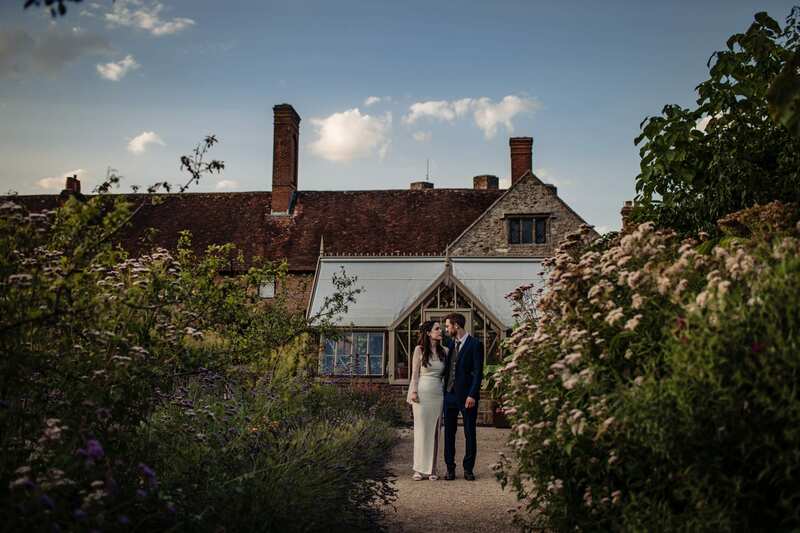 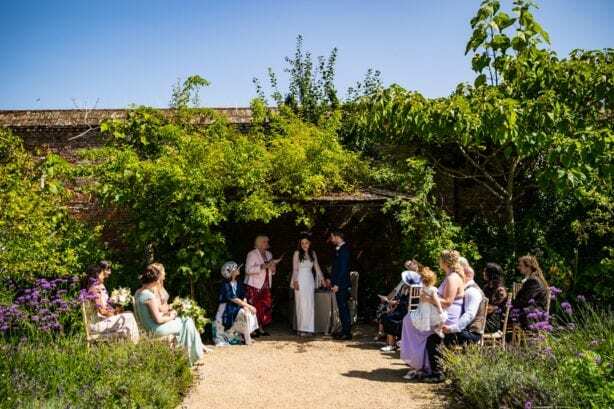 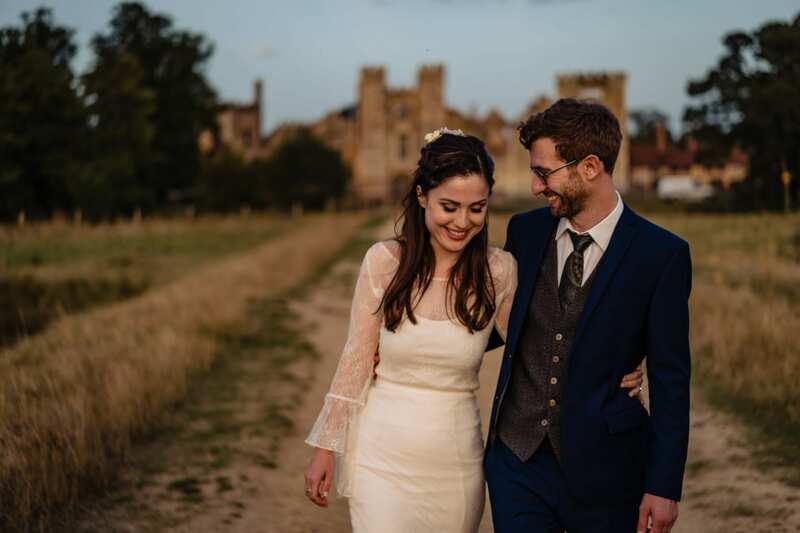 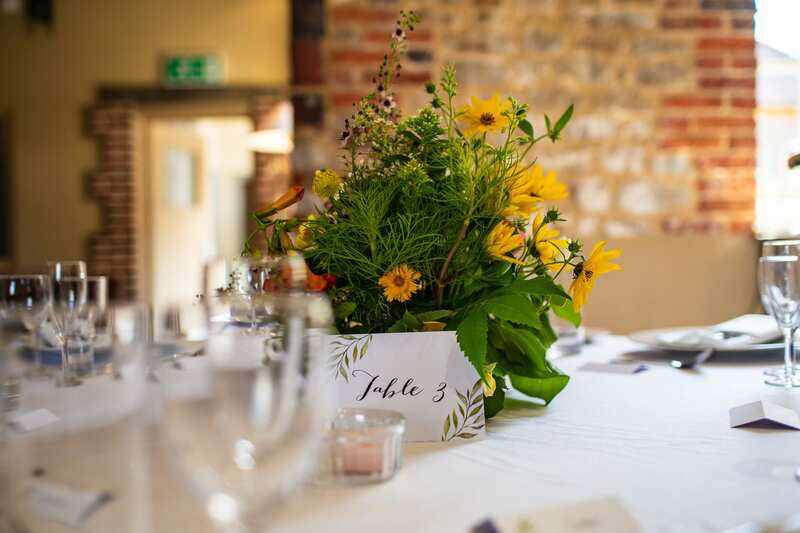 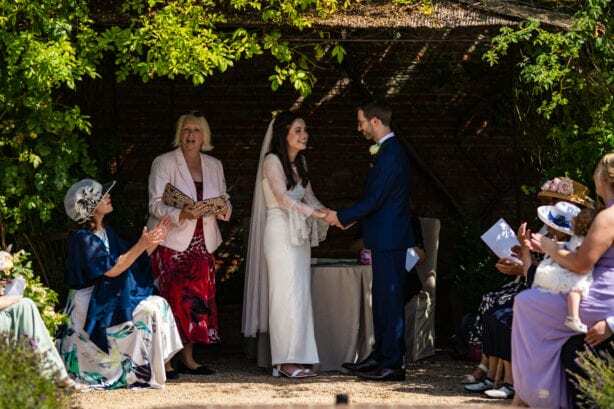 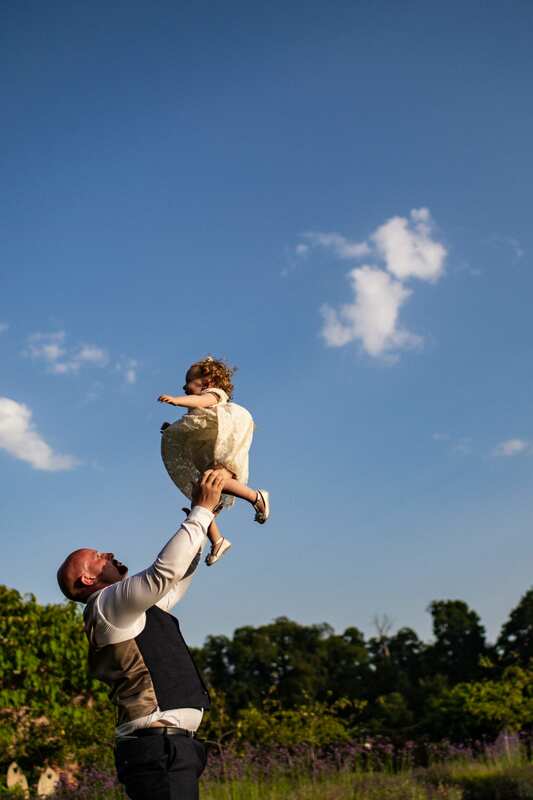 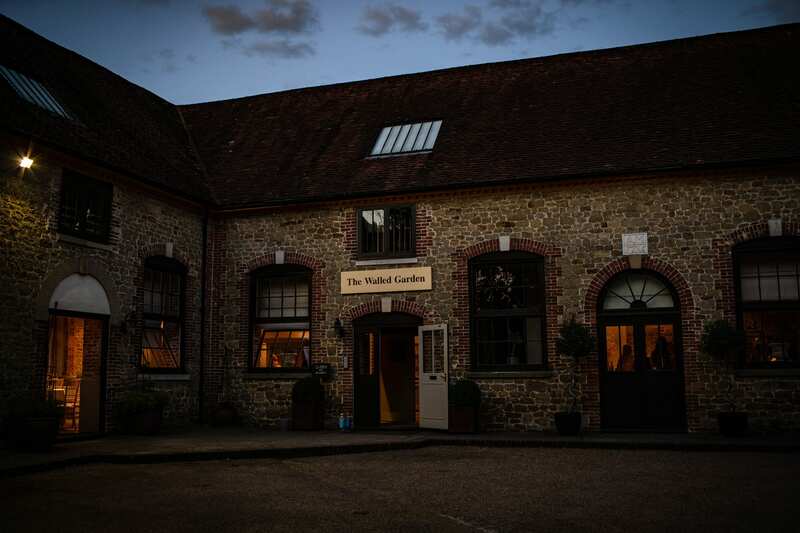 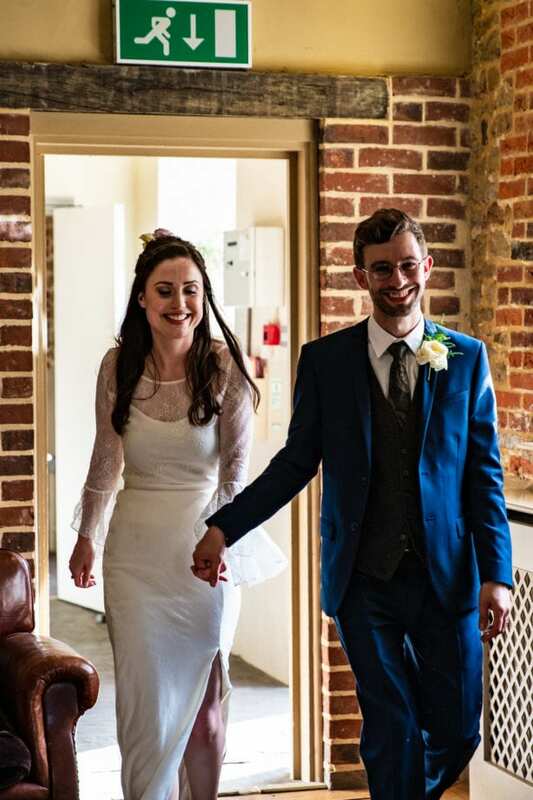 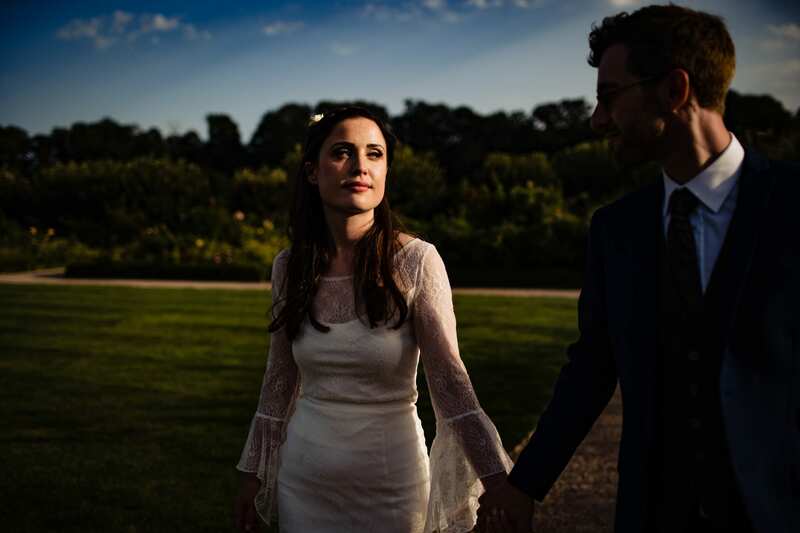 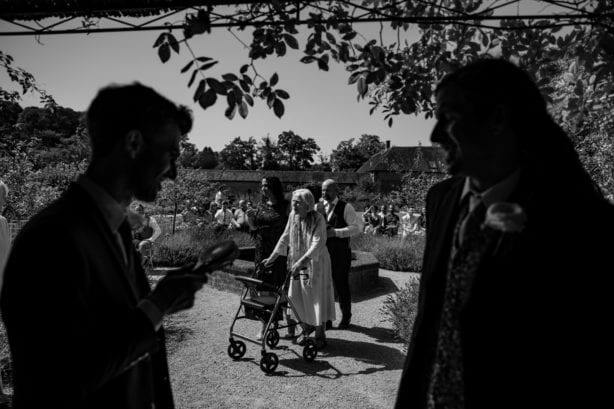 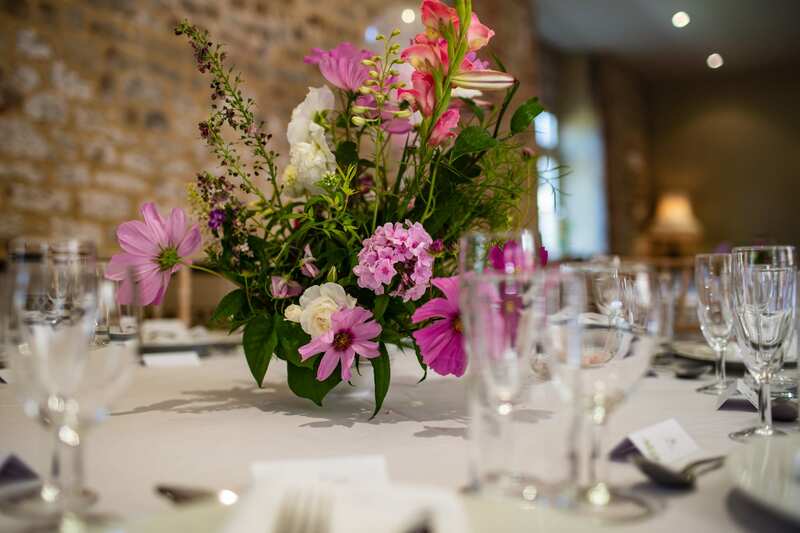 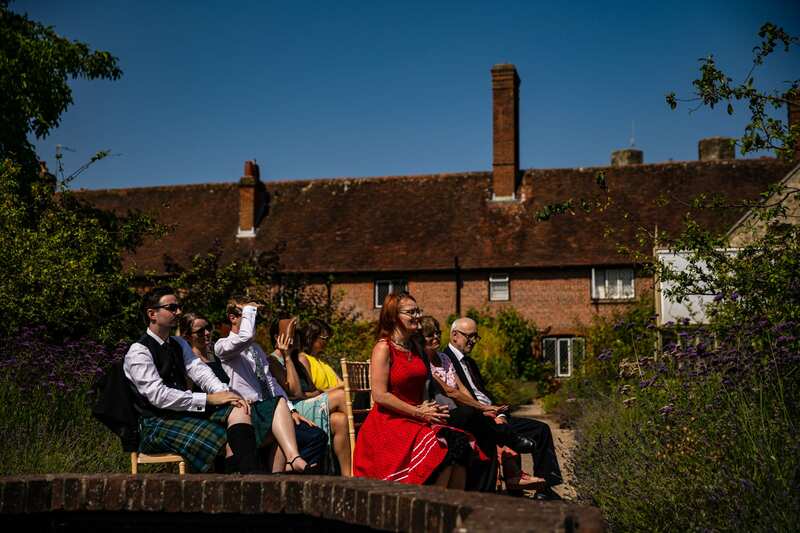 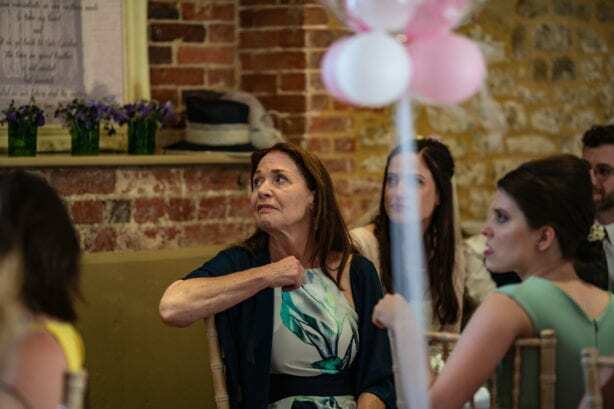 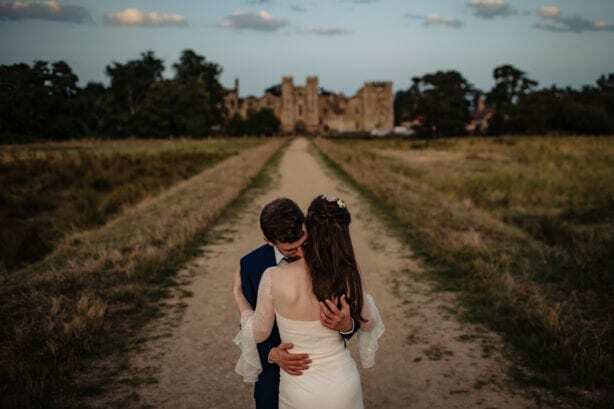 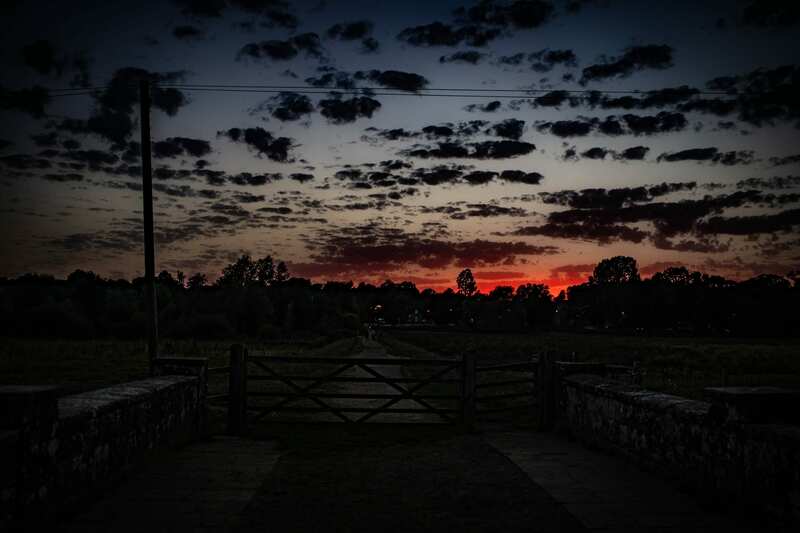 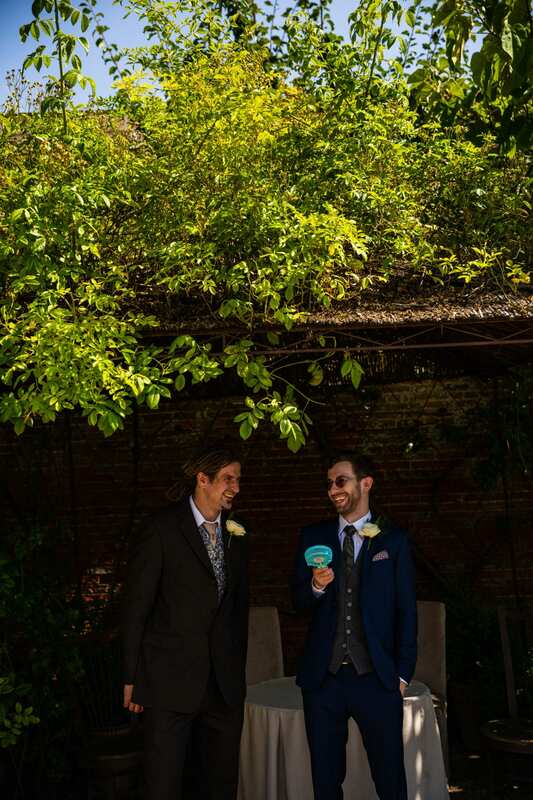 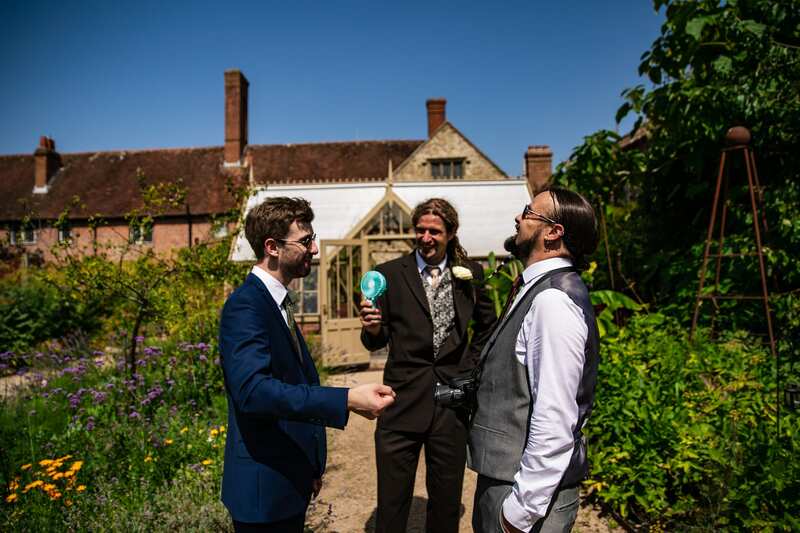 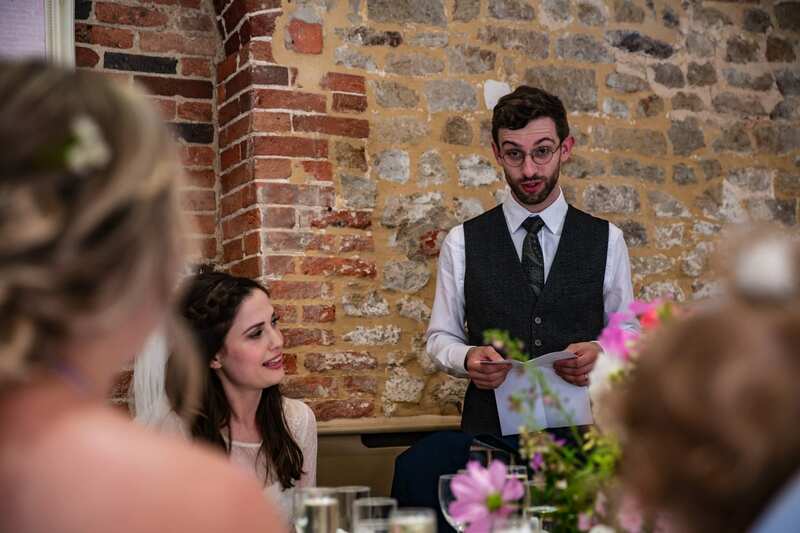 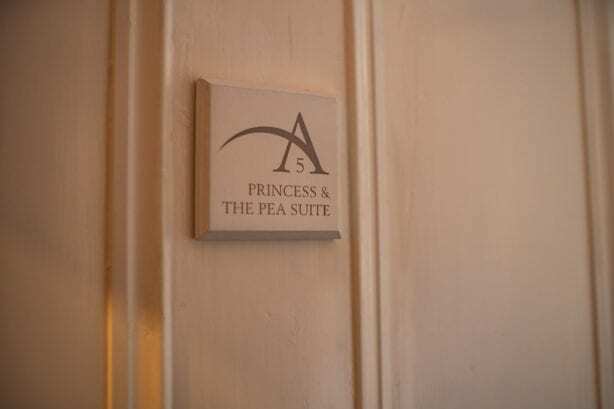 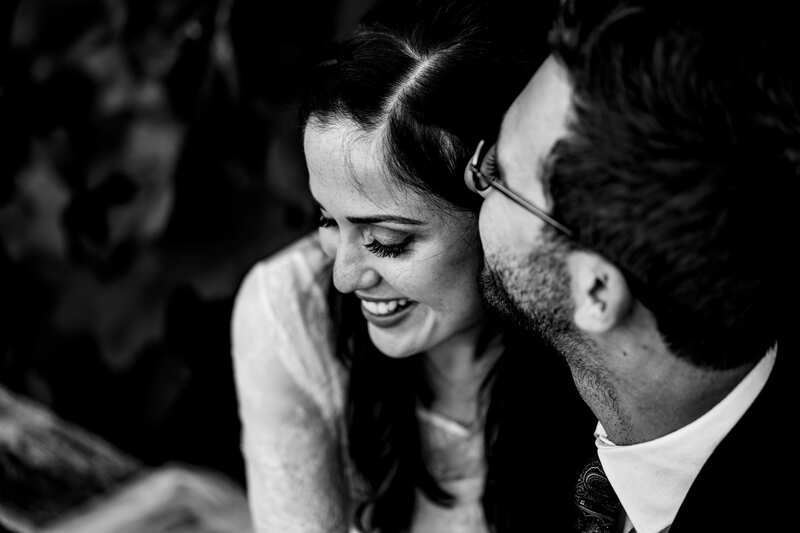 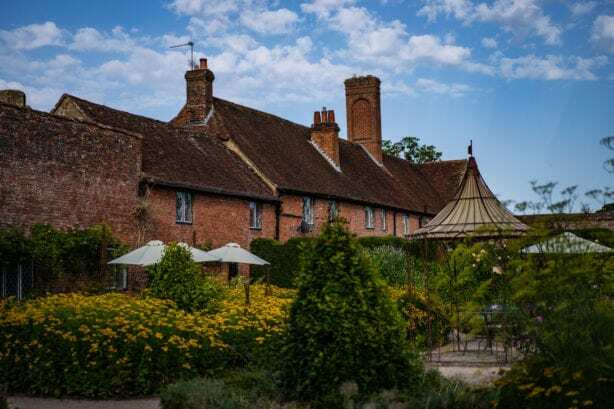 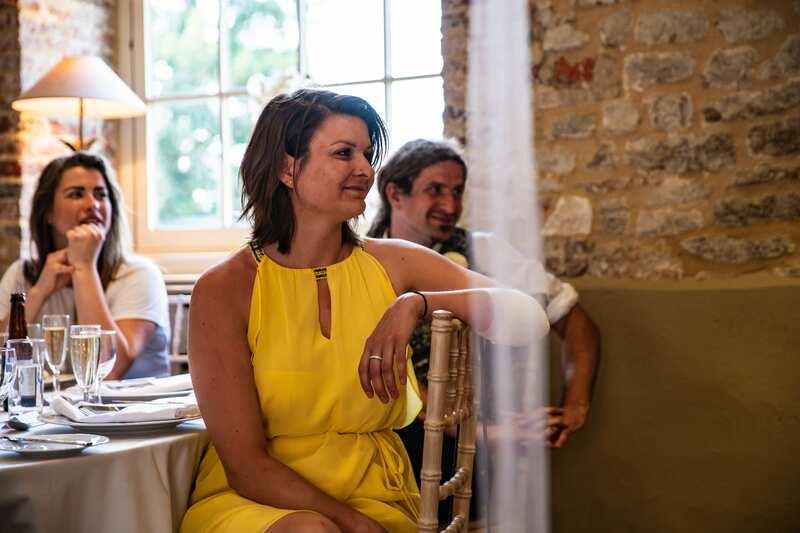 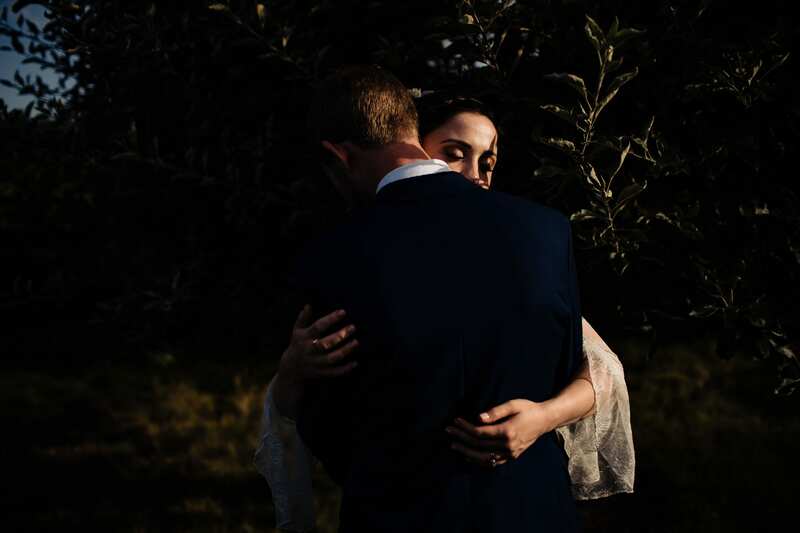 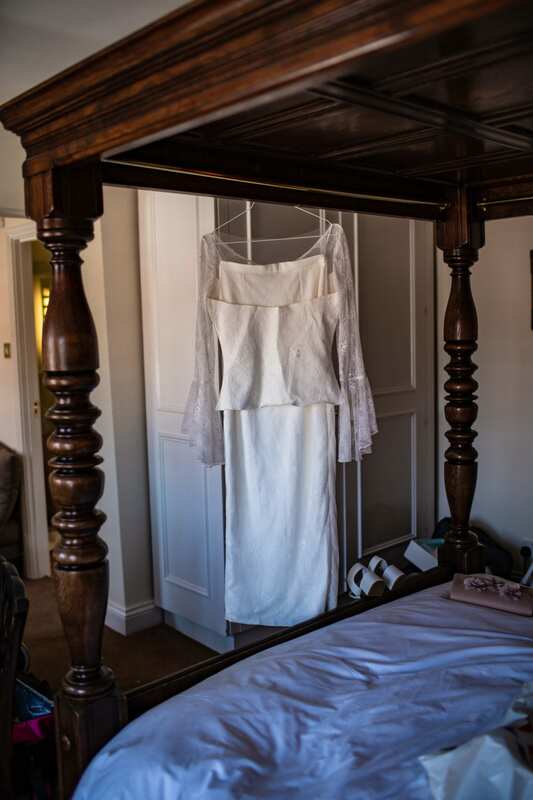 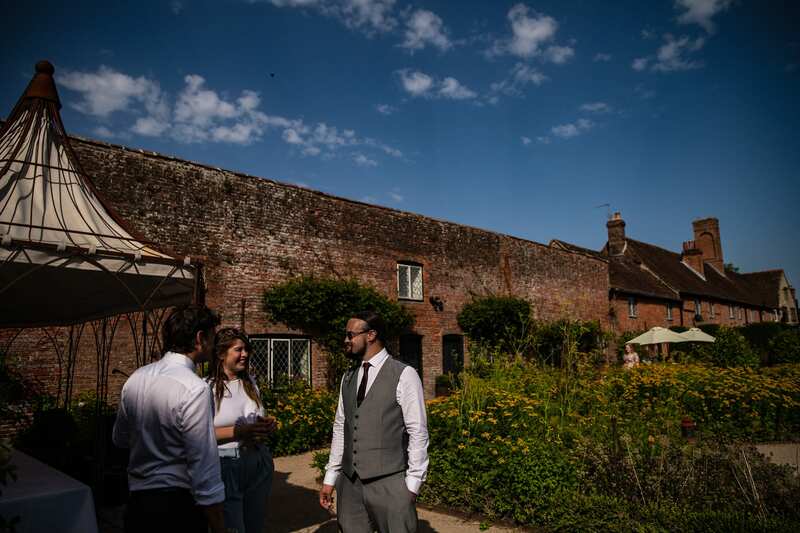 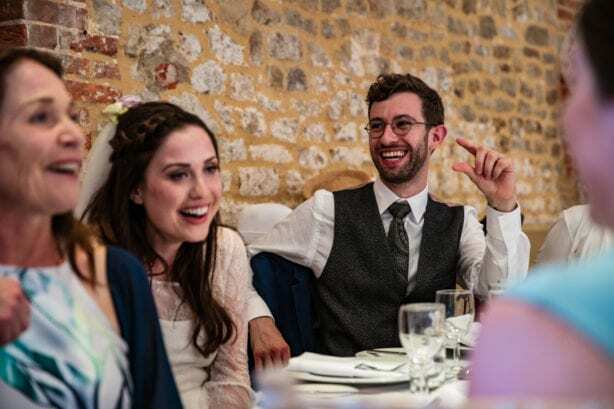 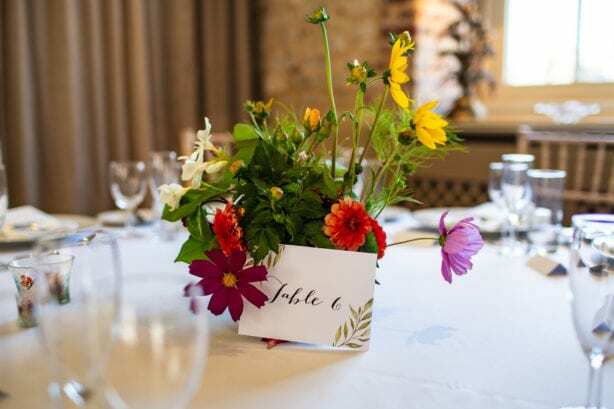 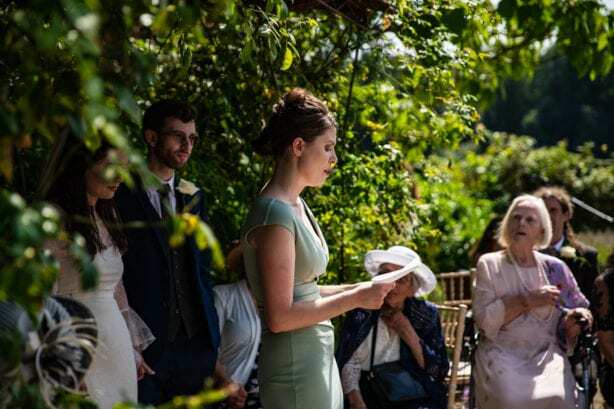 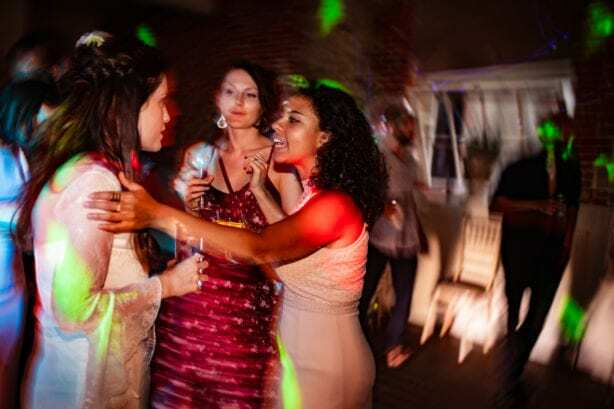 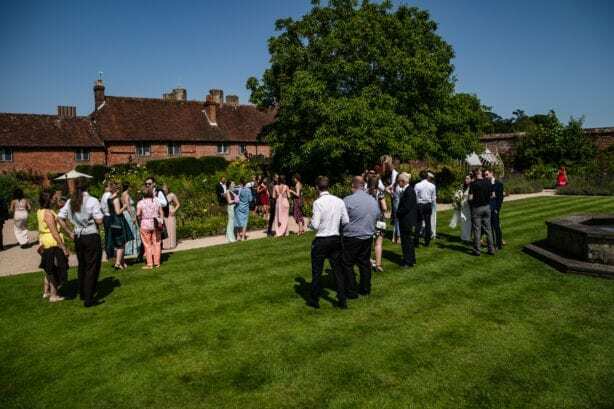 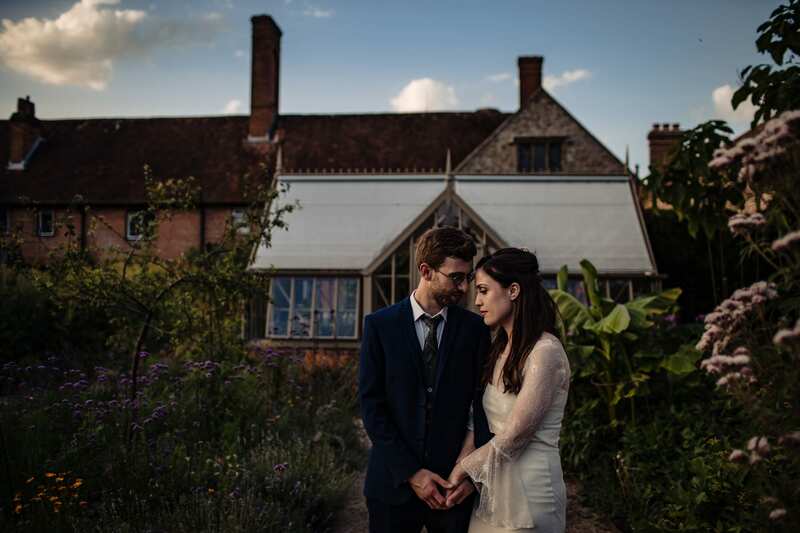 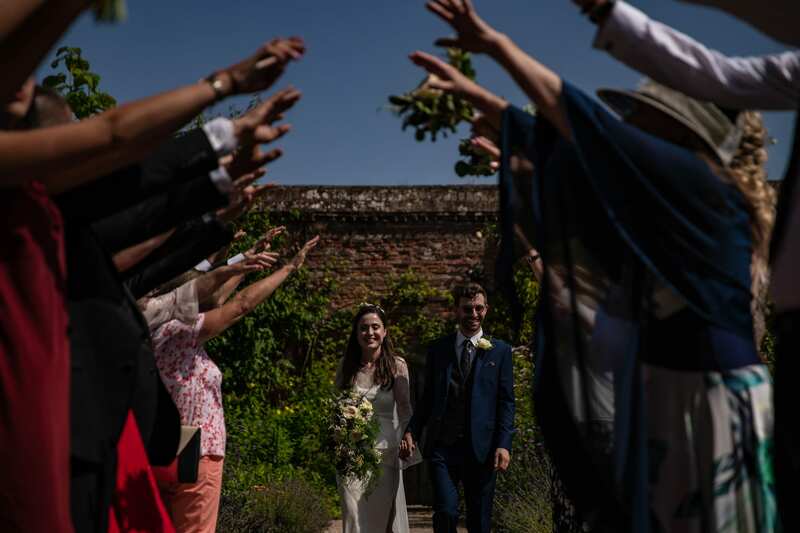 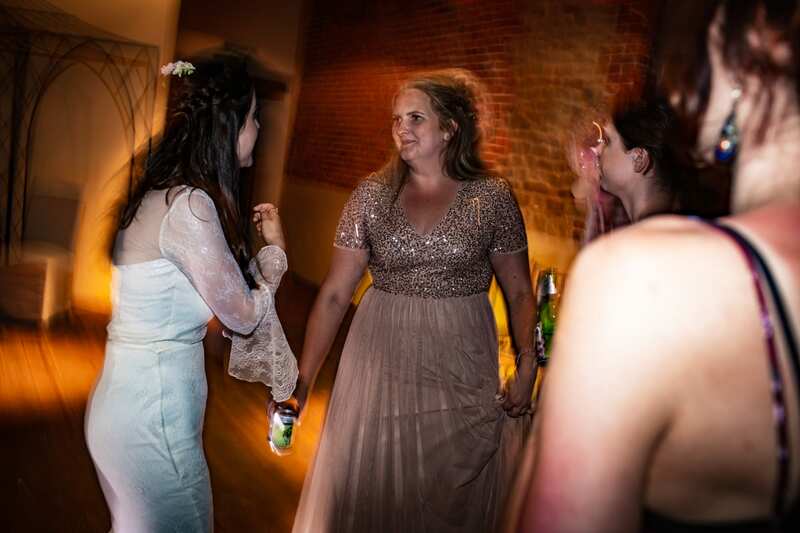 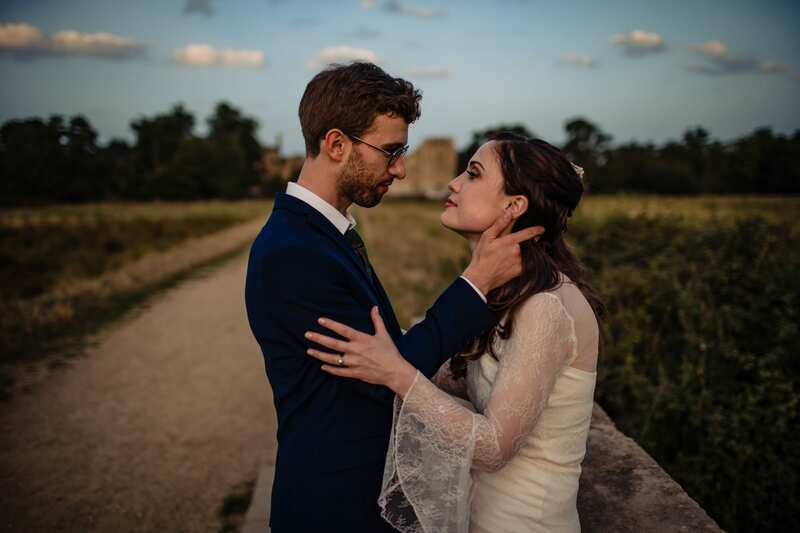 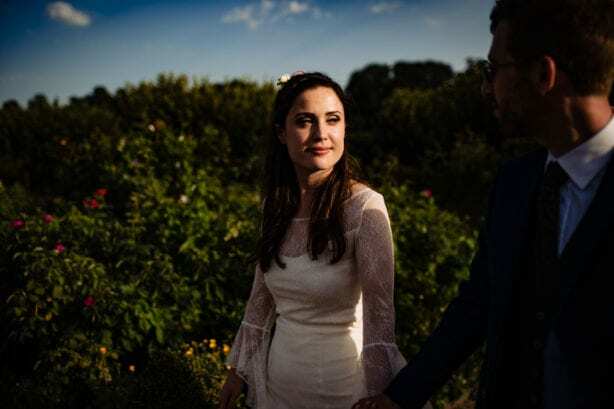 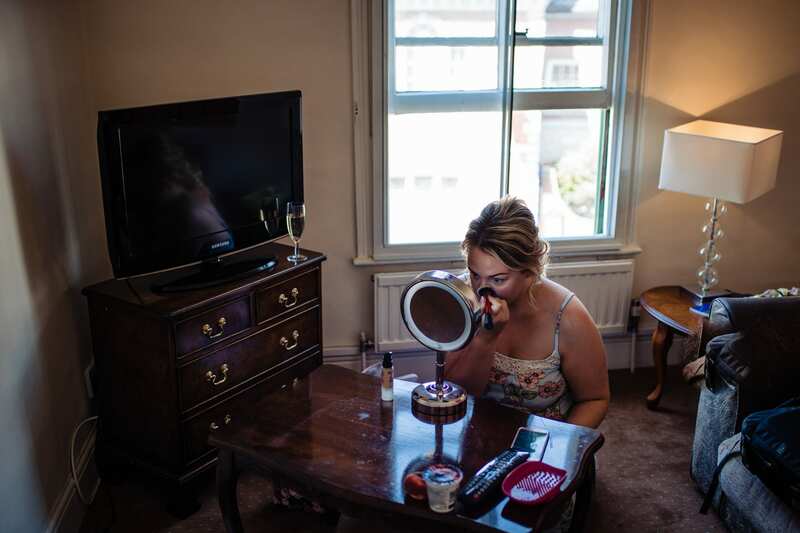 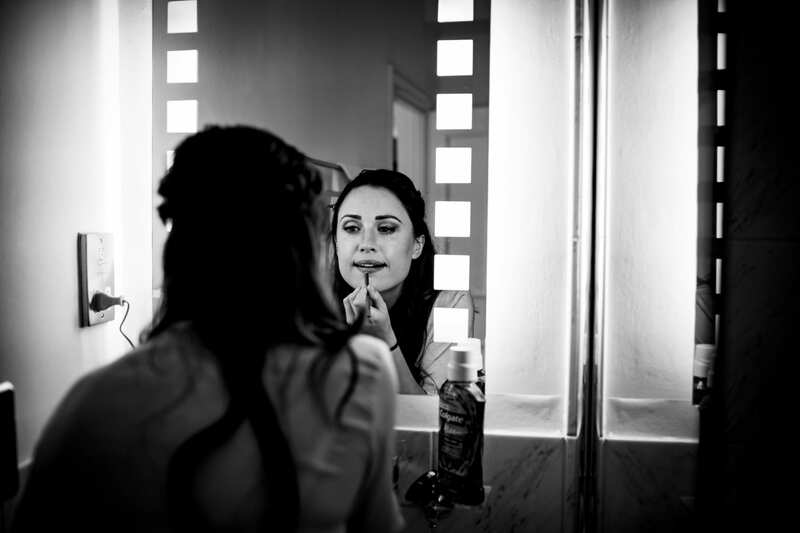 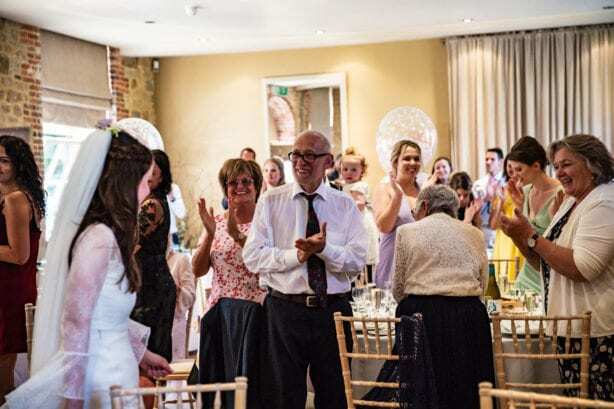 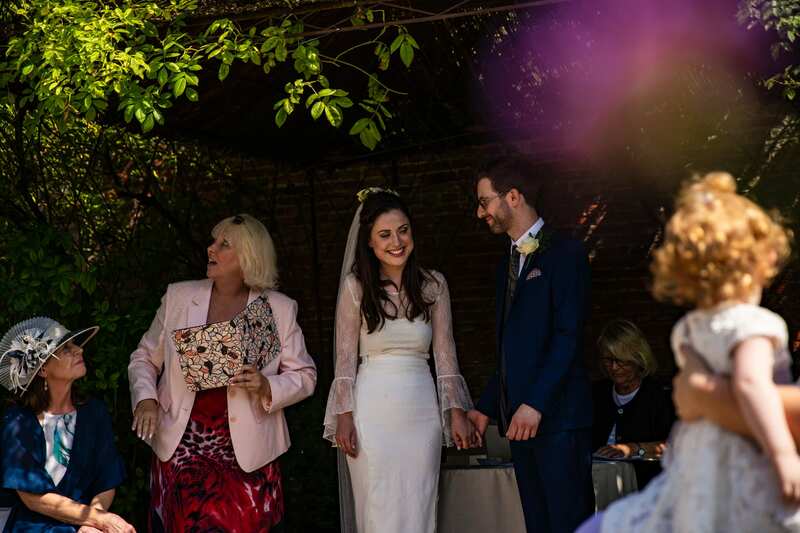 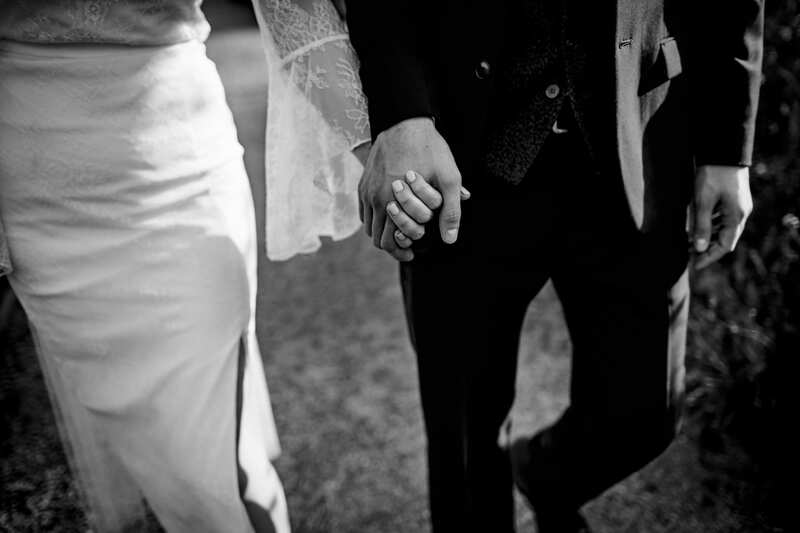 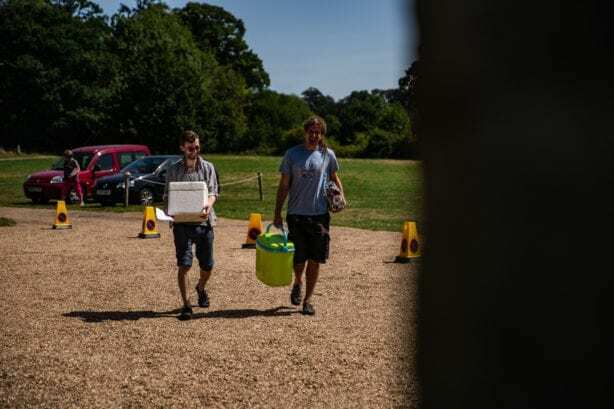 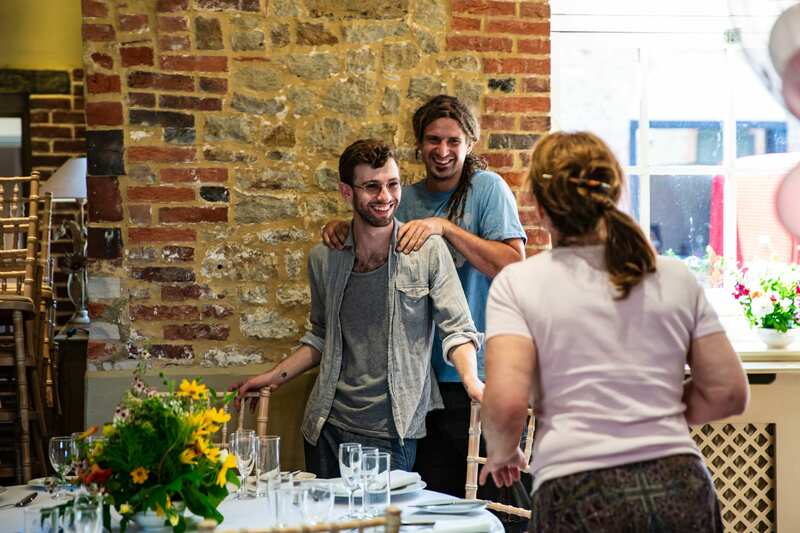 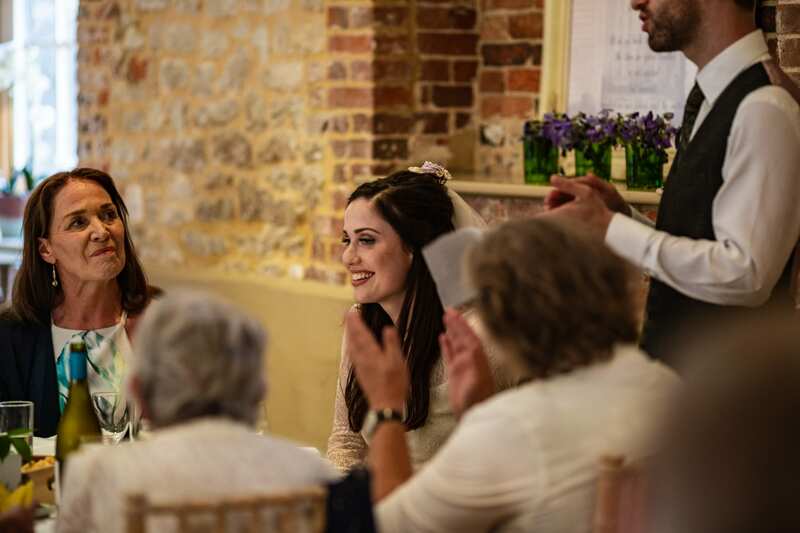 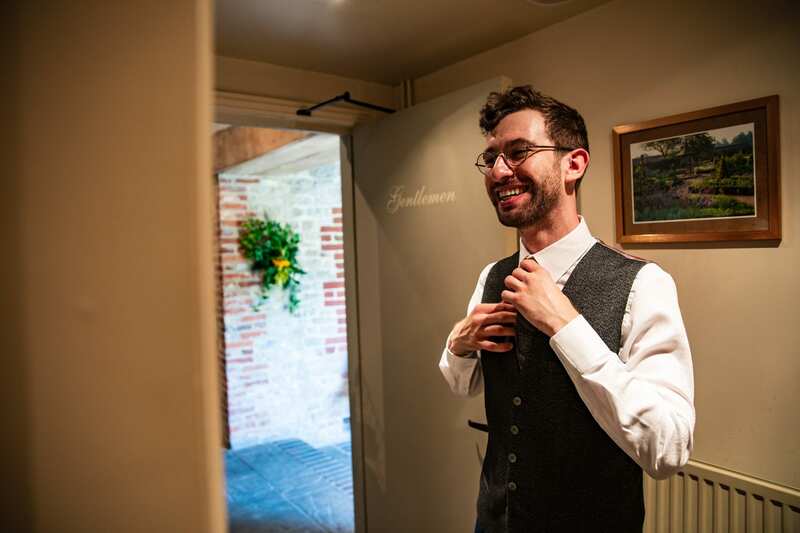 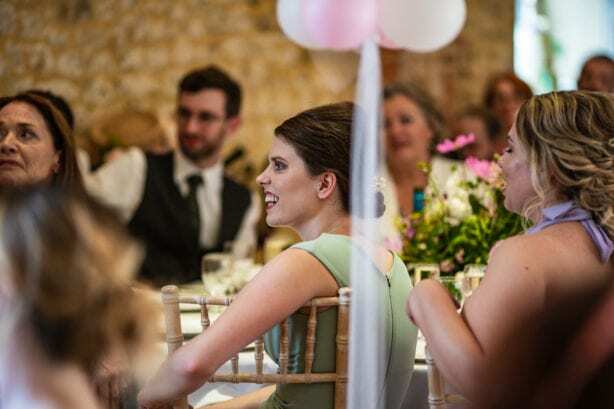 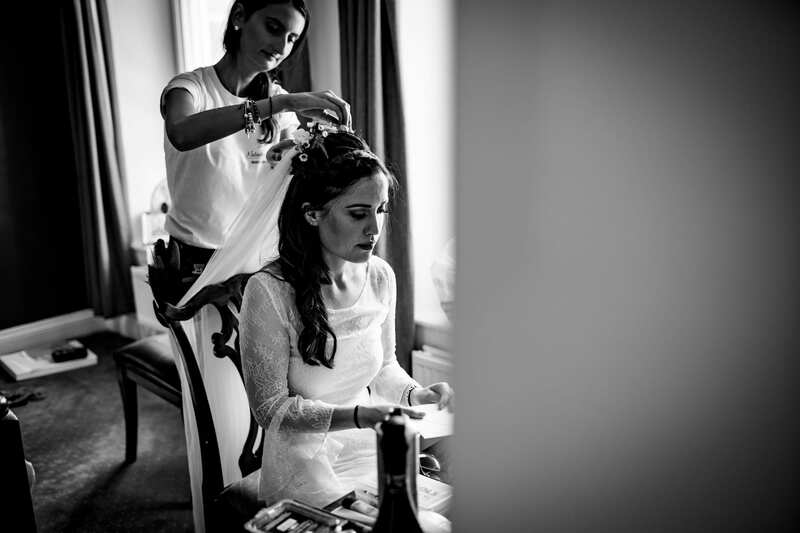 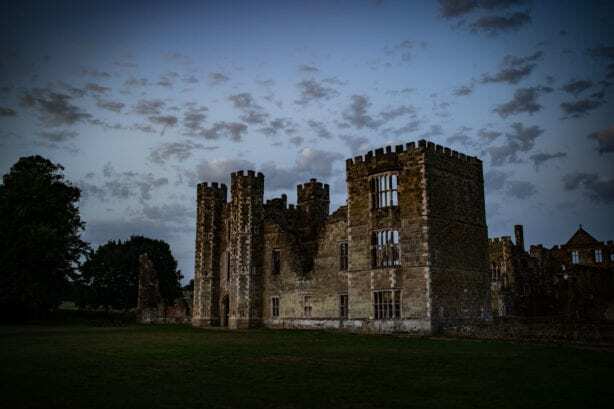 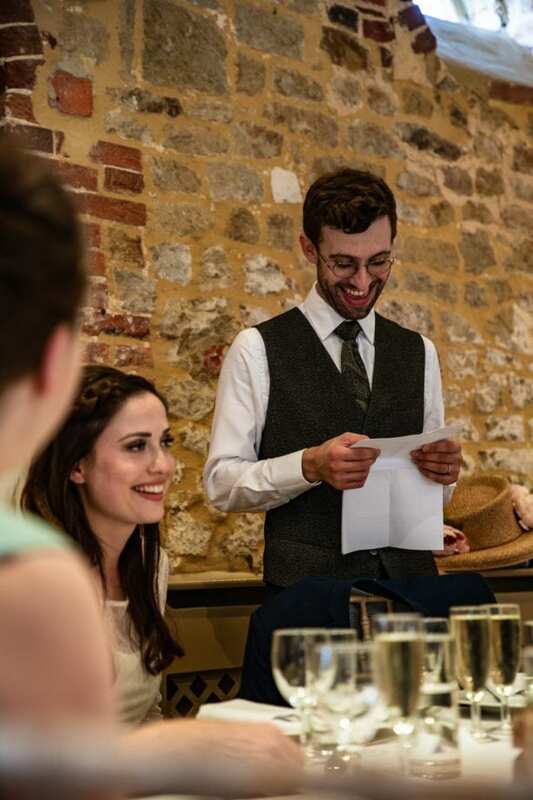 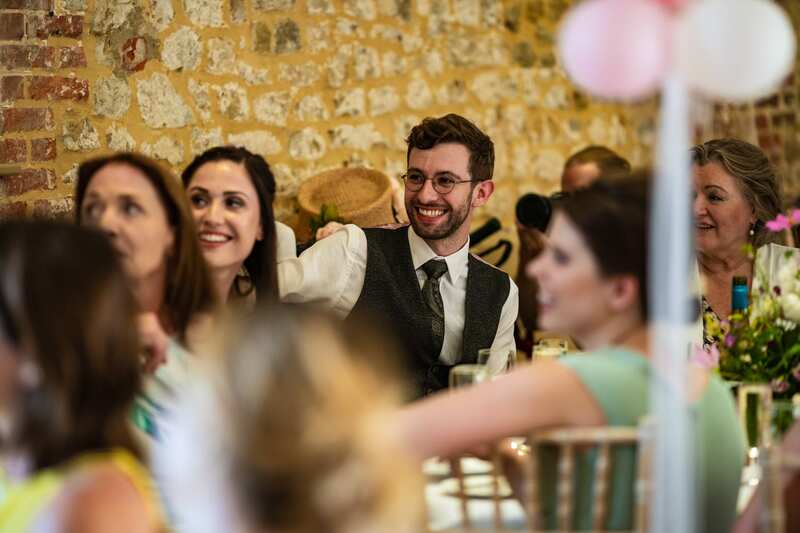 They got married at the lush Tudor era Walled Garden in Cowdray which was the perfect venue for them to hang around with everyone they love in the most magnificent setting. 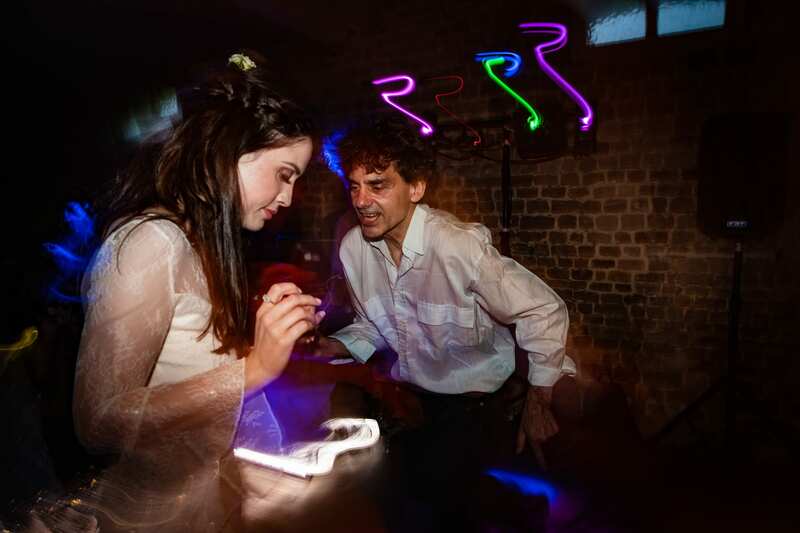 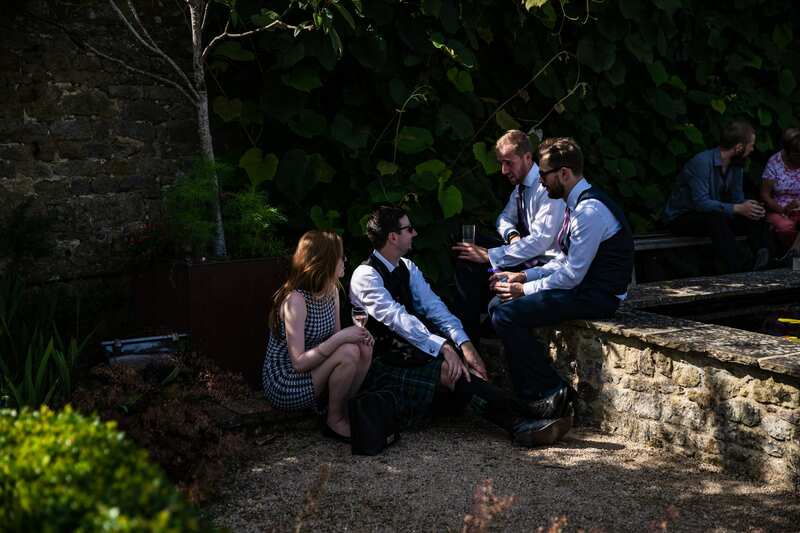 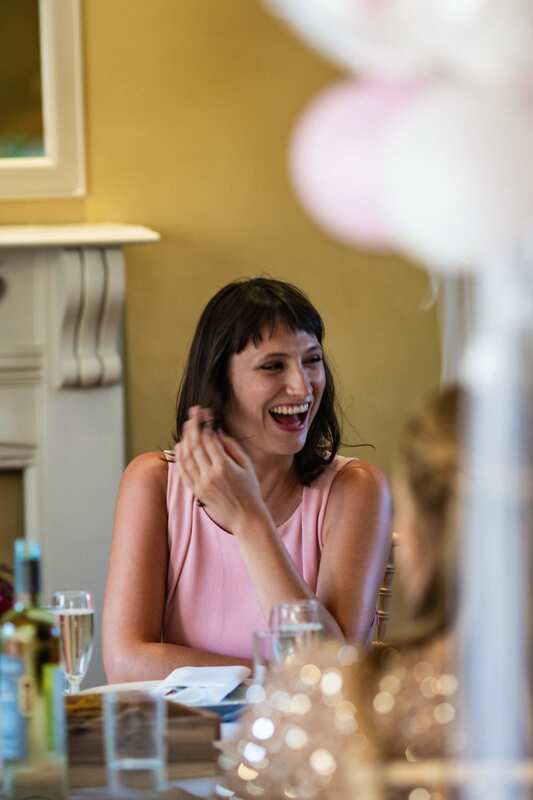 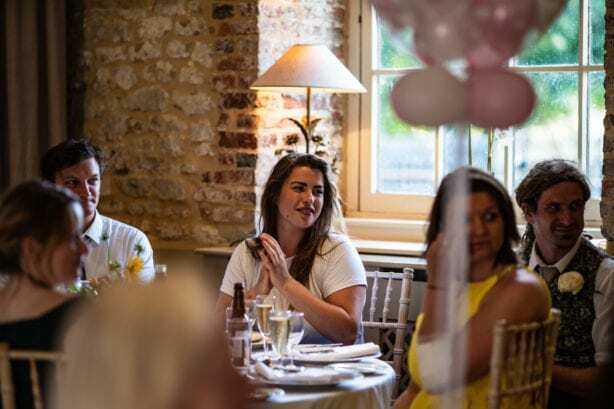 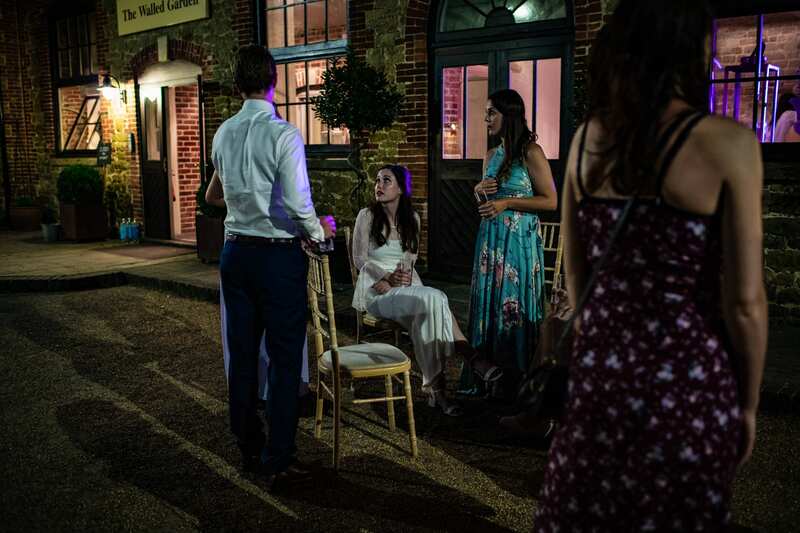 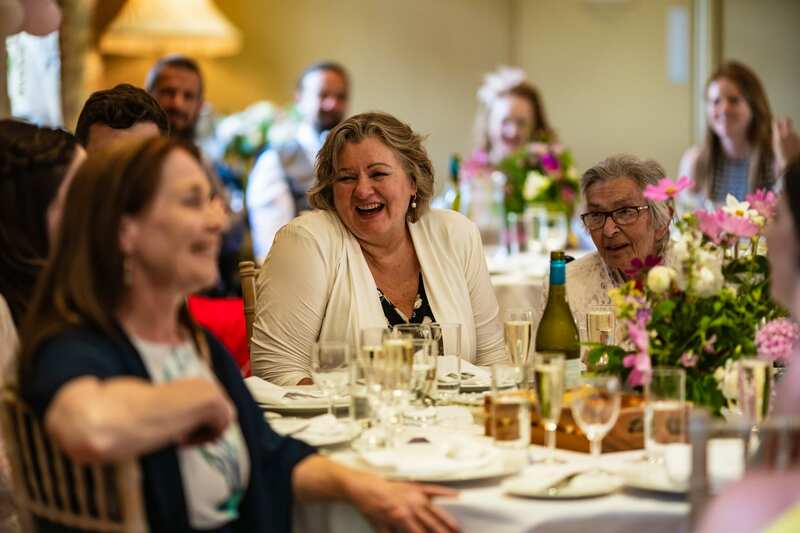 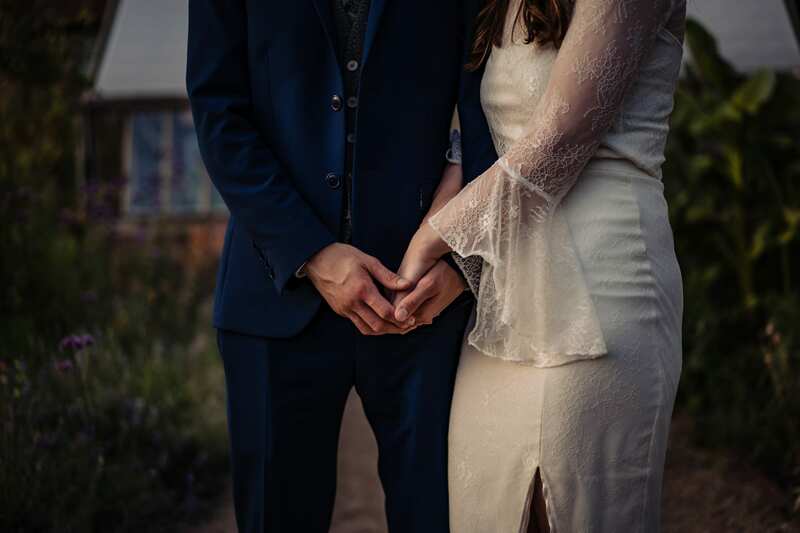 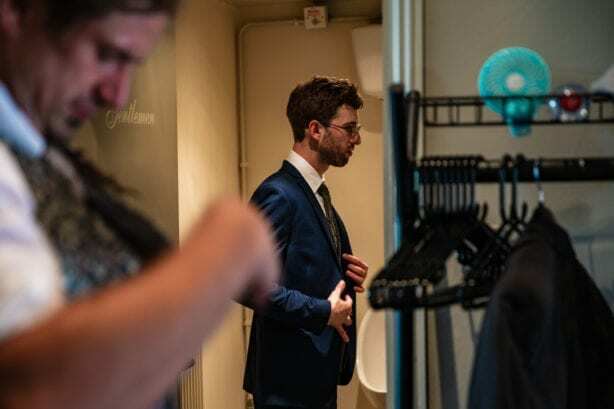 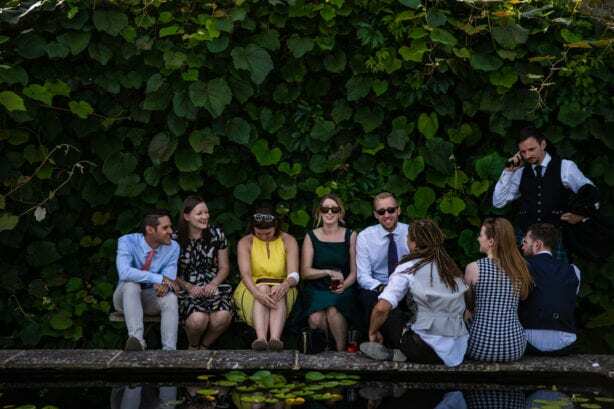 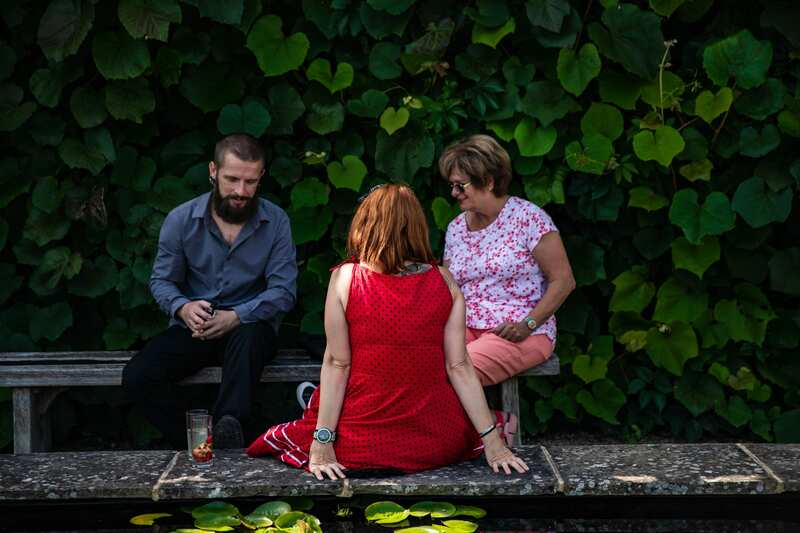 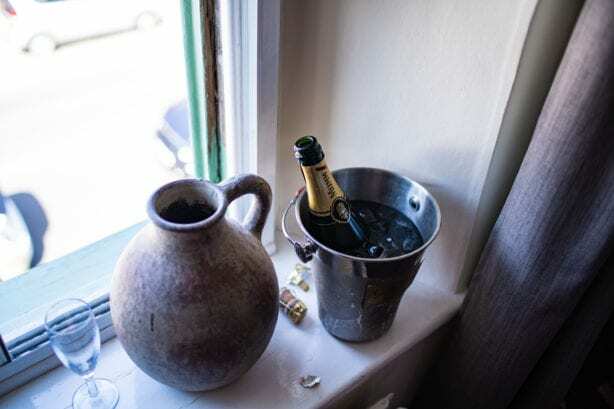 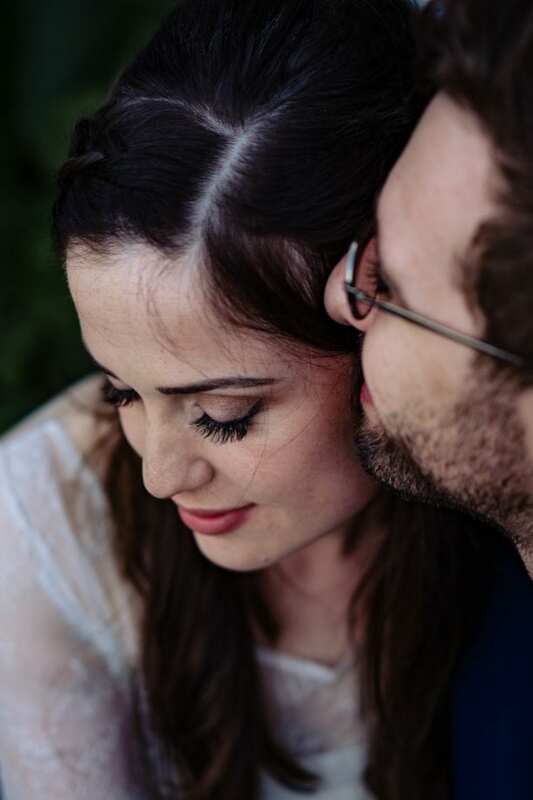 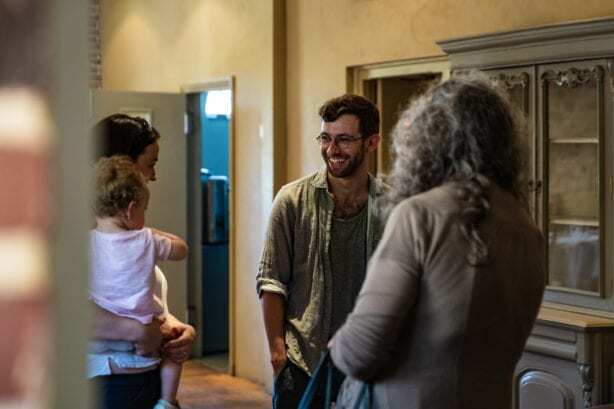 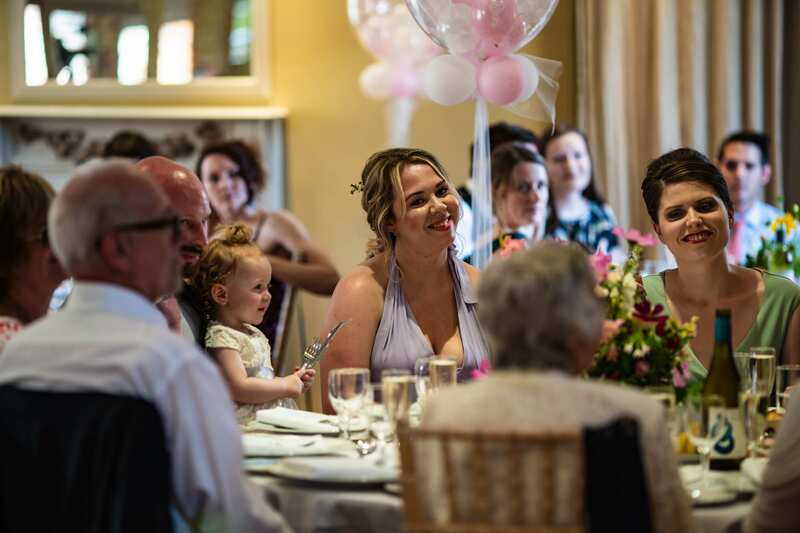 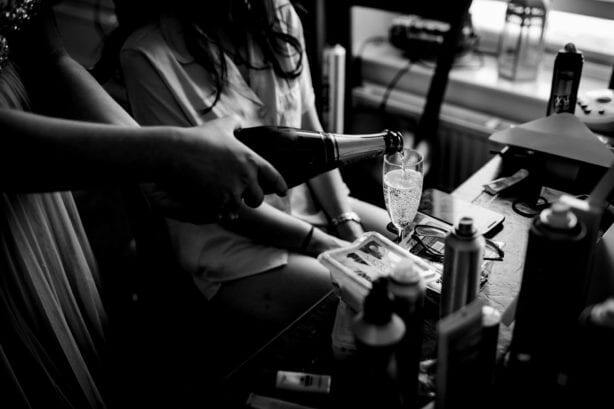 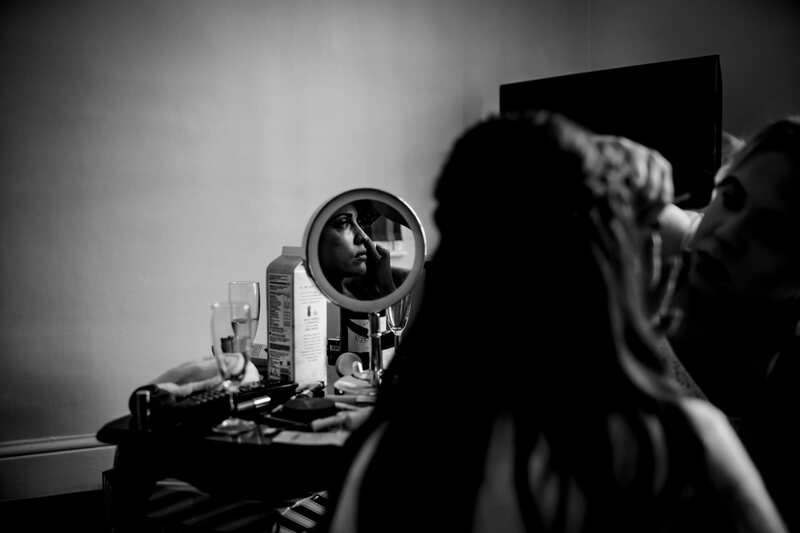 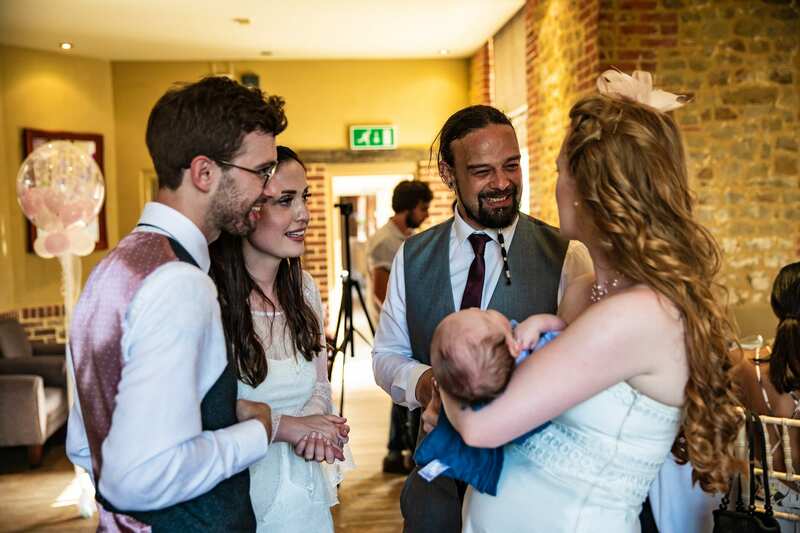 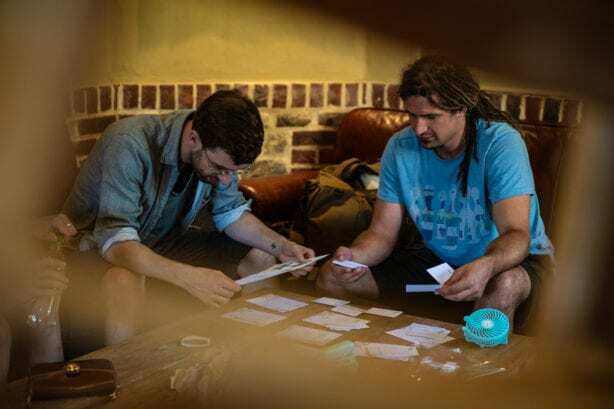 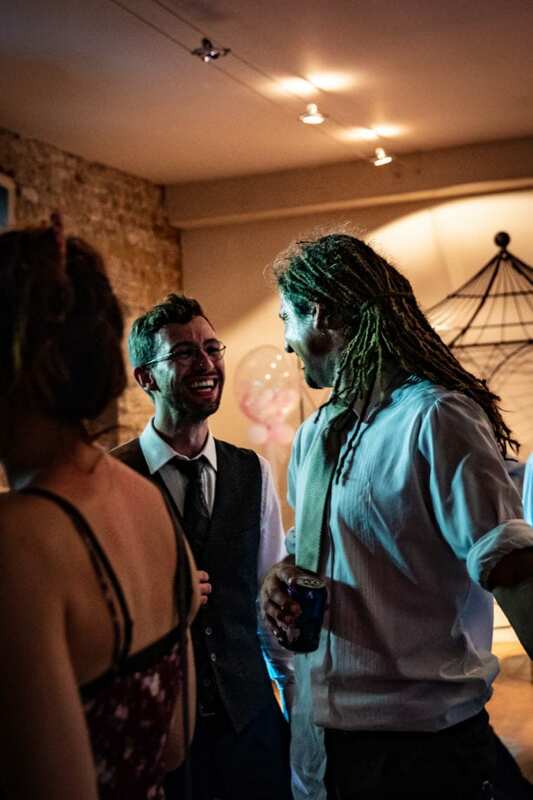 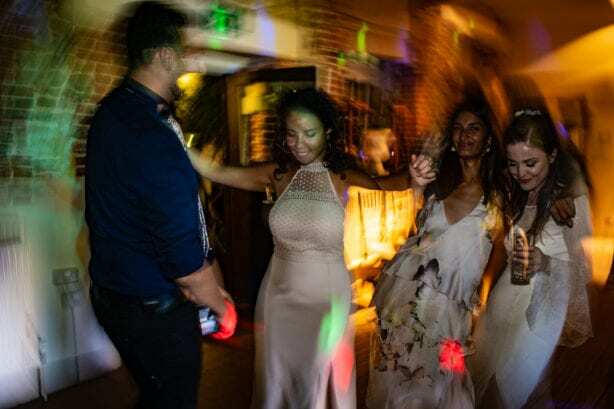 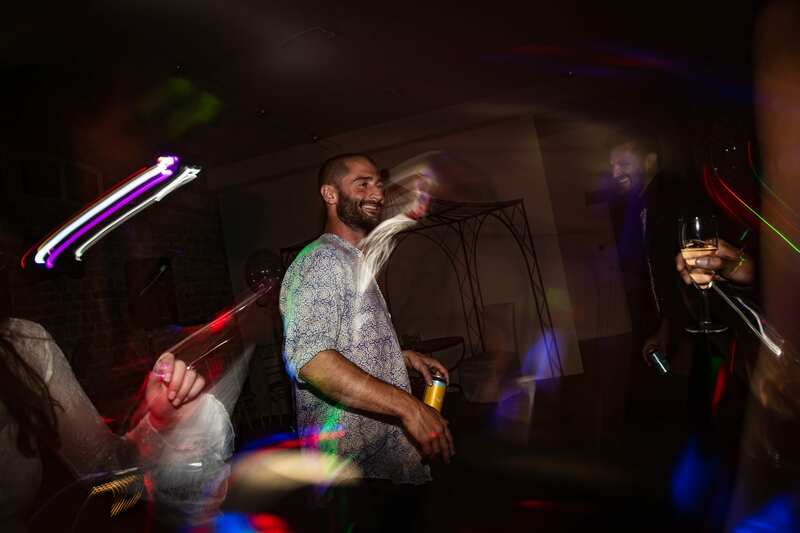 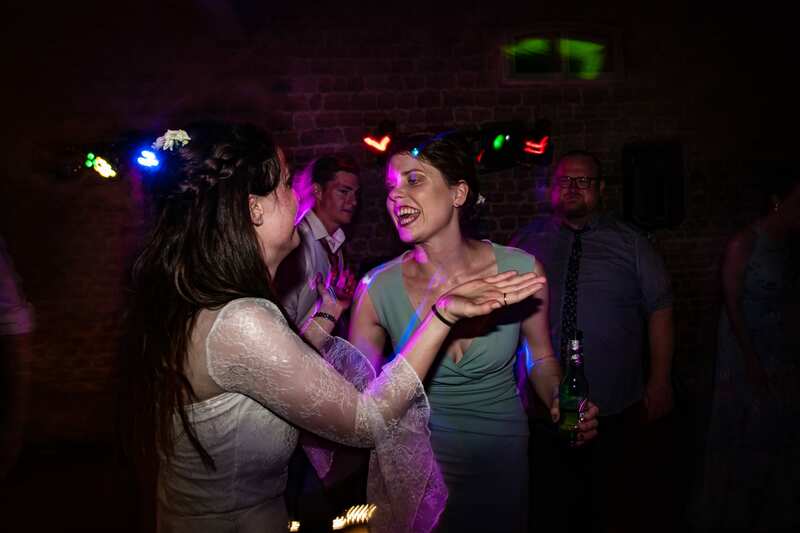 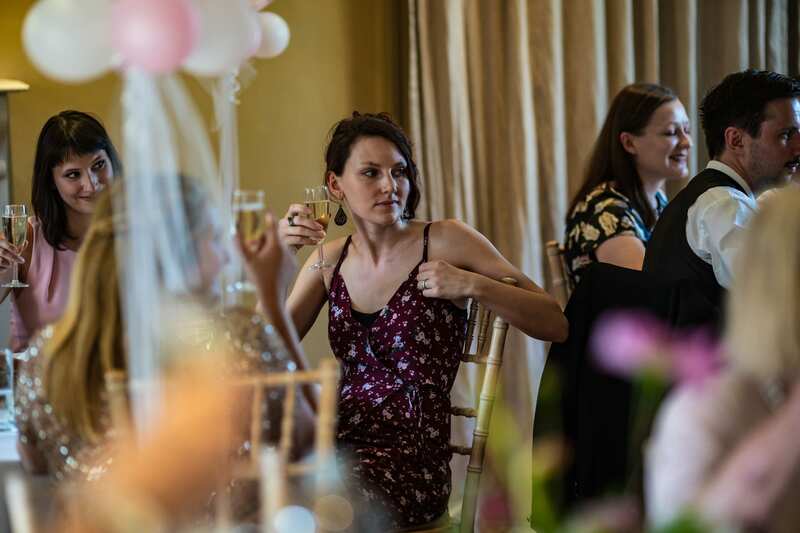 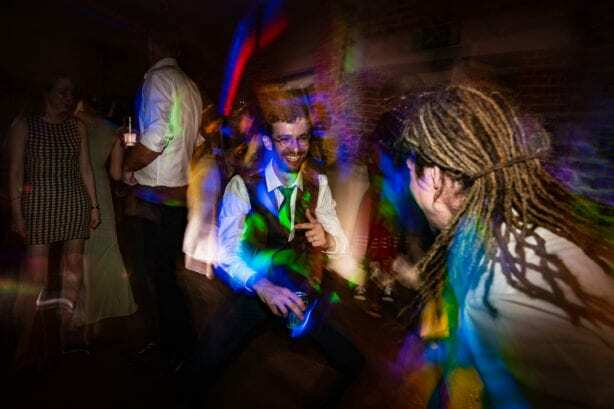 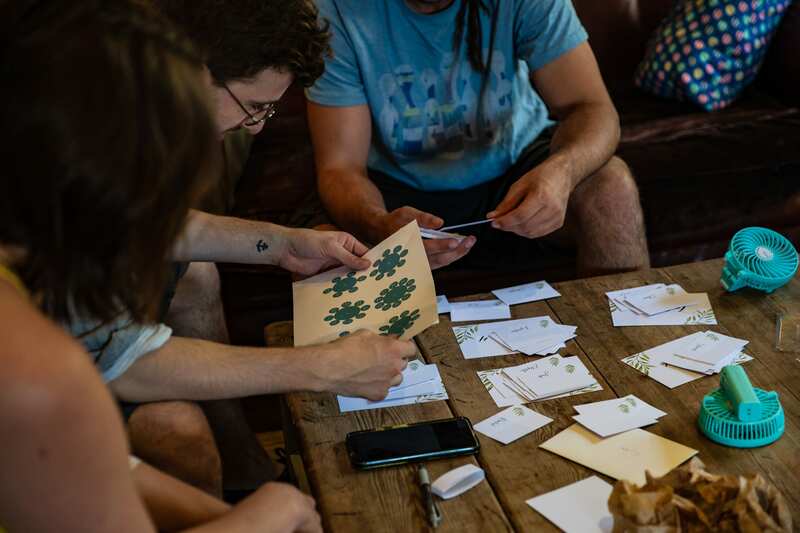 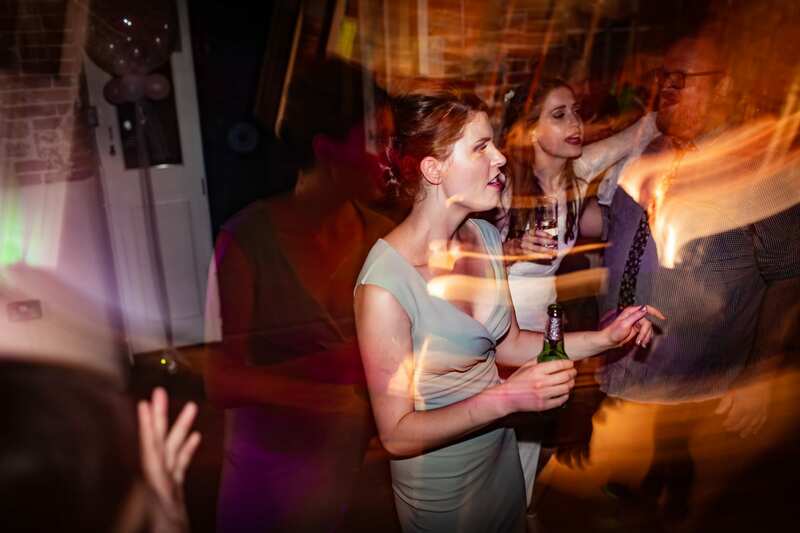 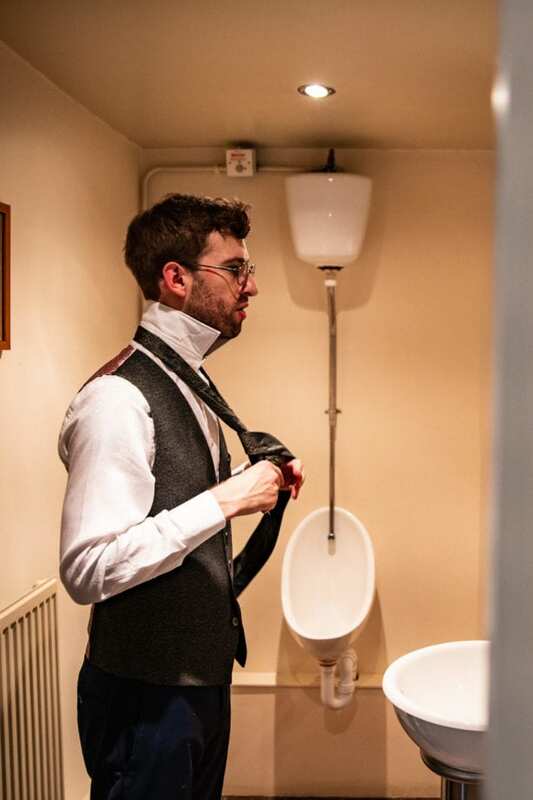 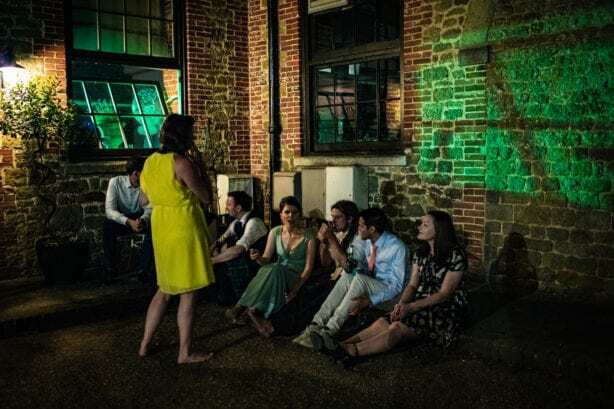 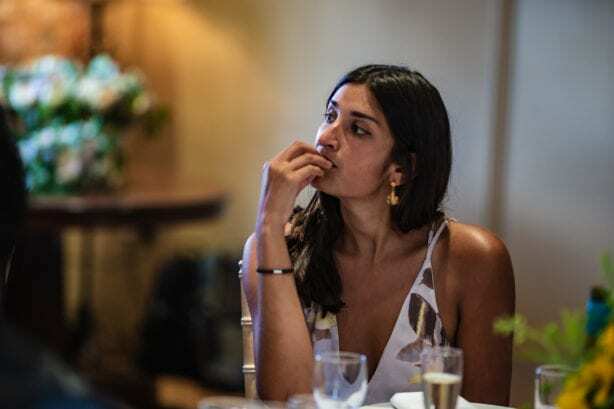 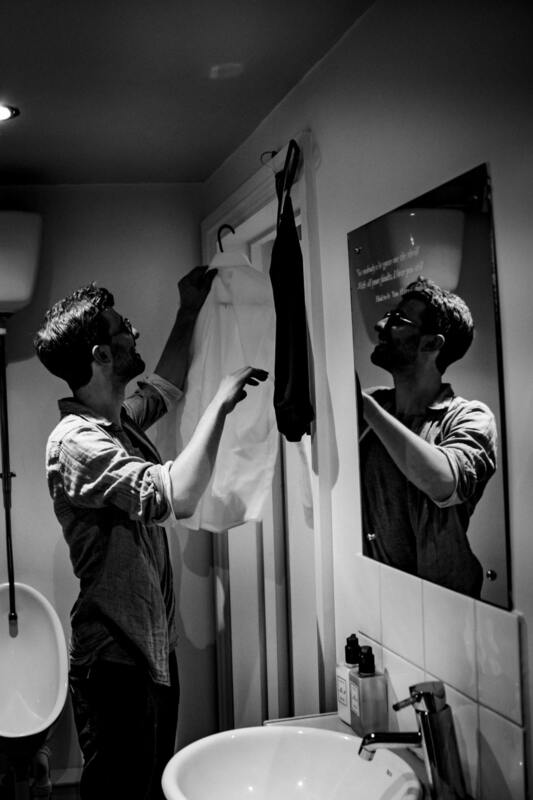 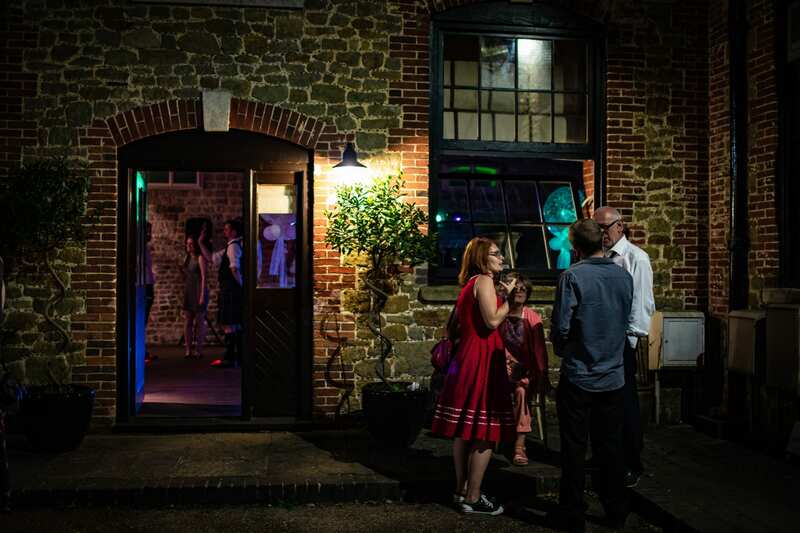 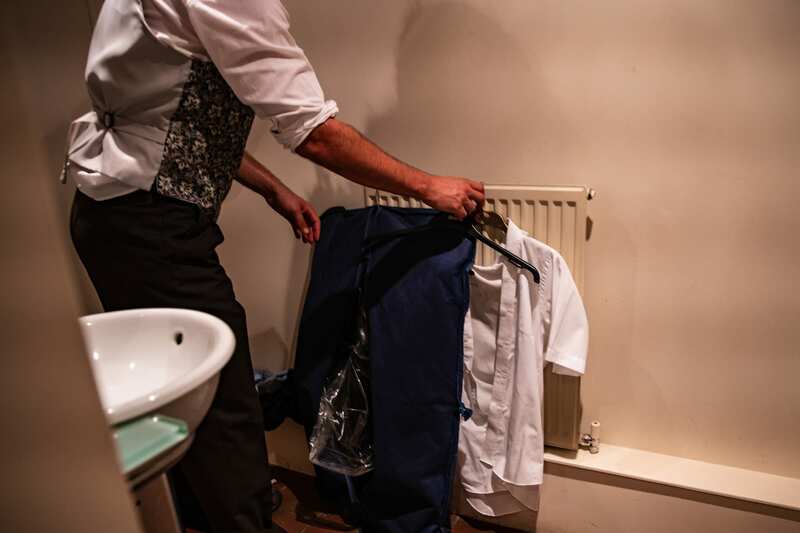 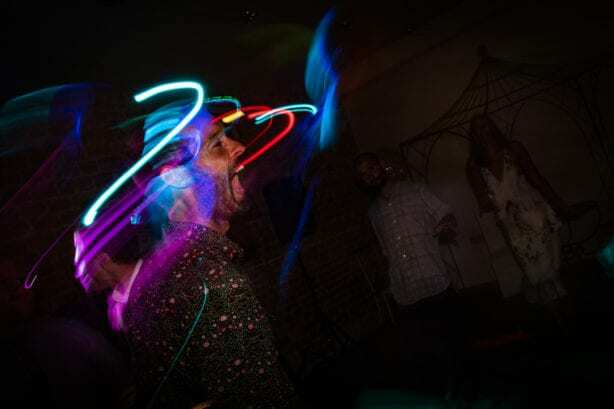 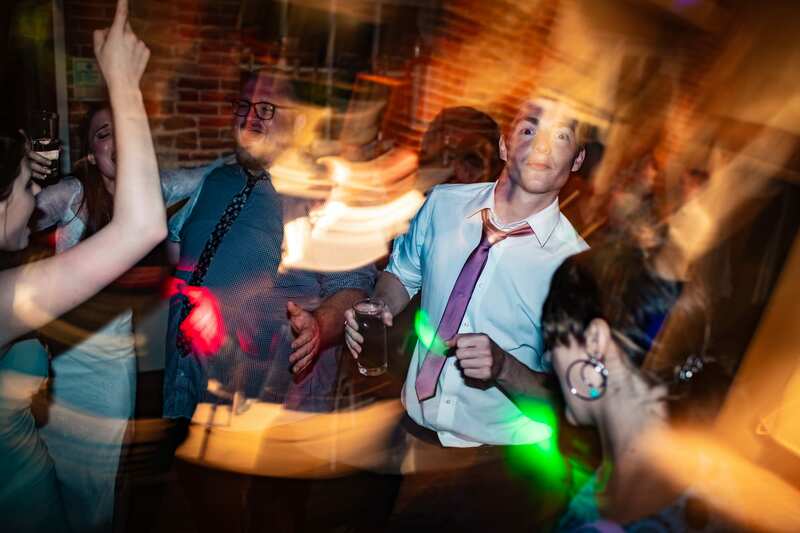 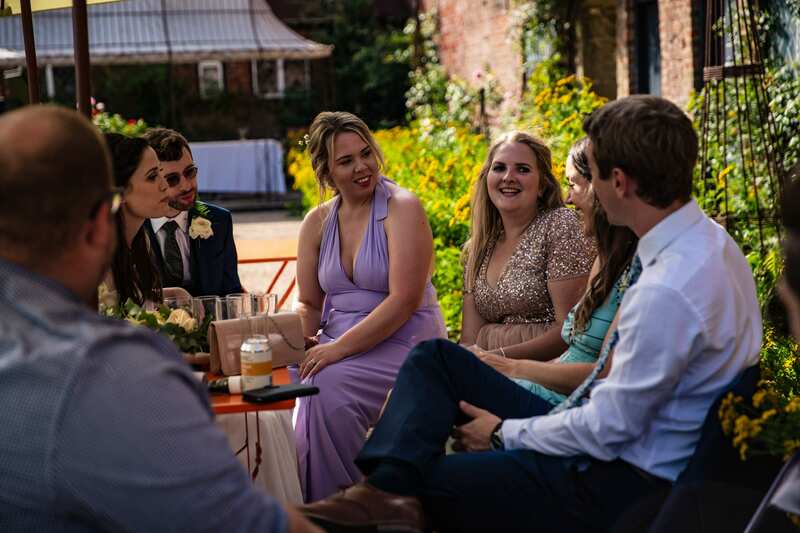 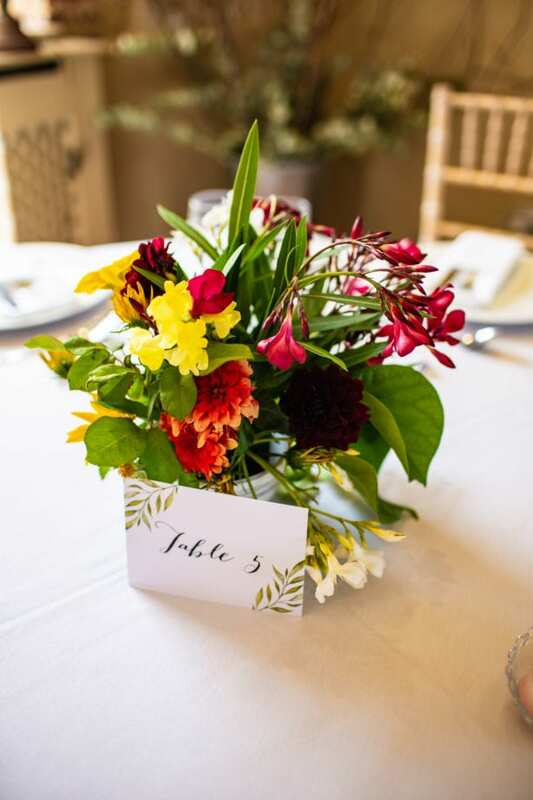 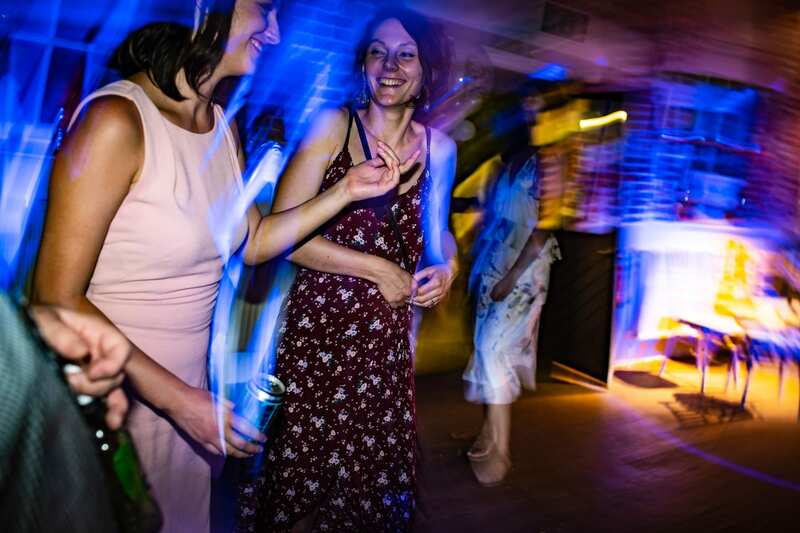 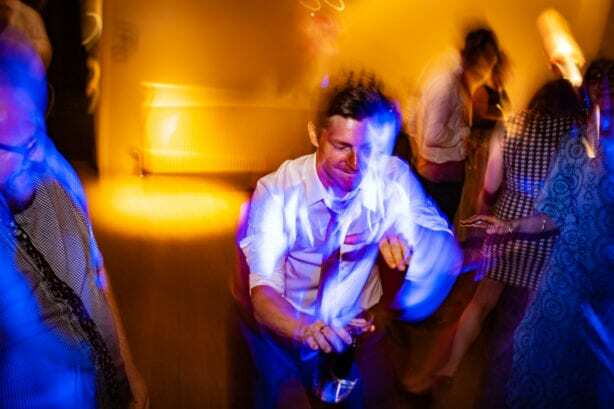 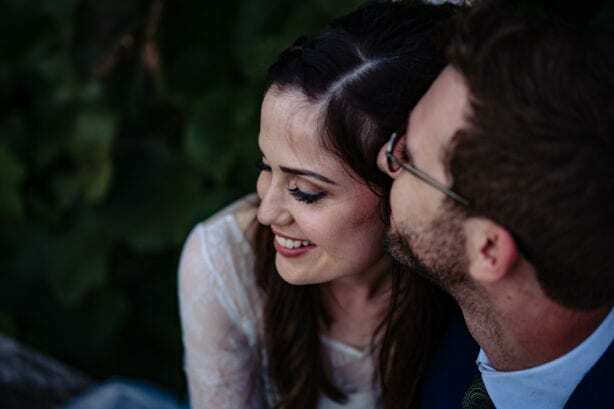 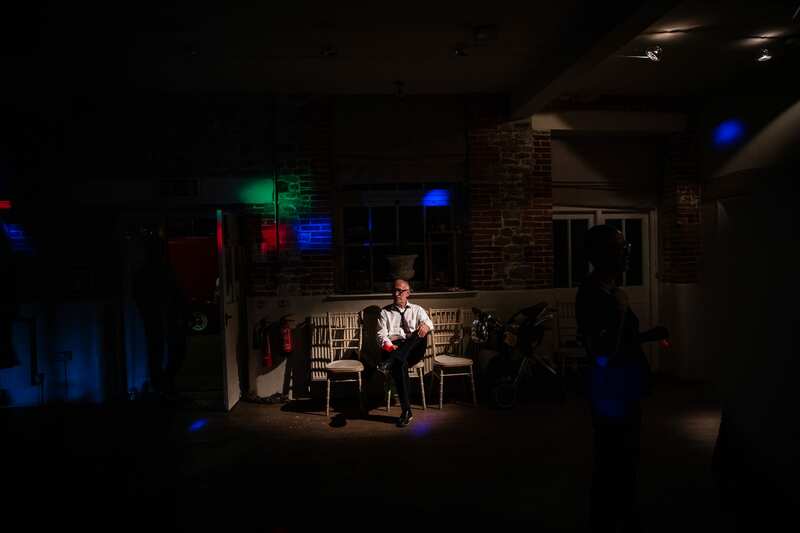 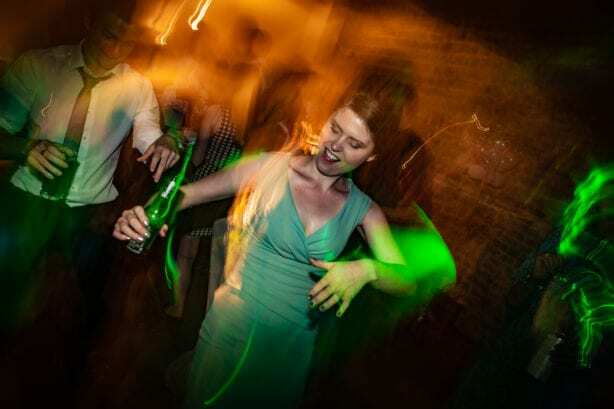 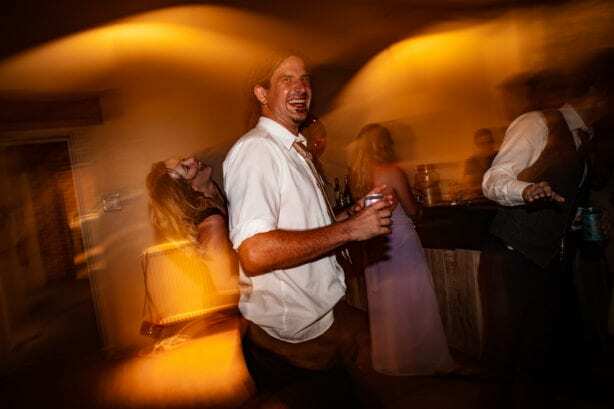 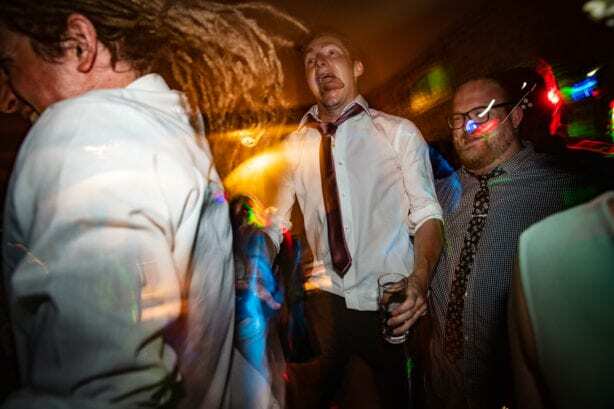 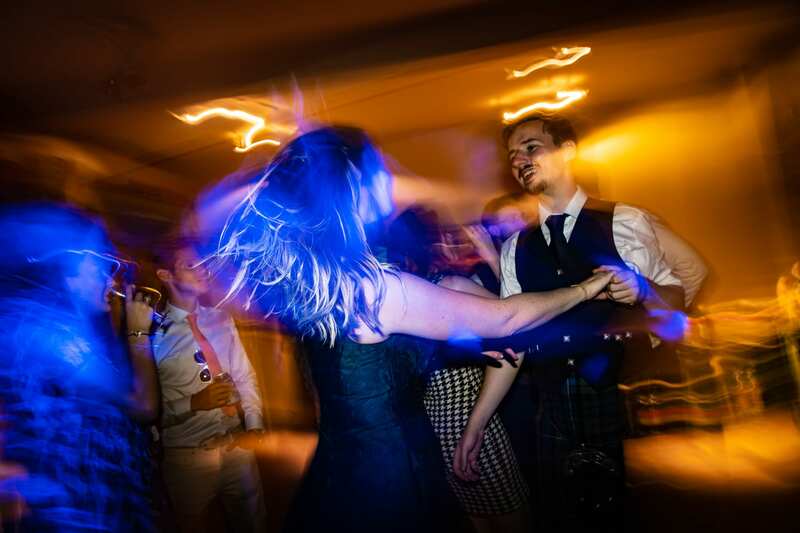 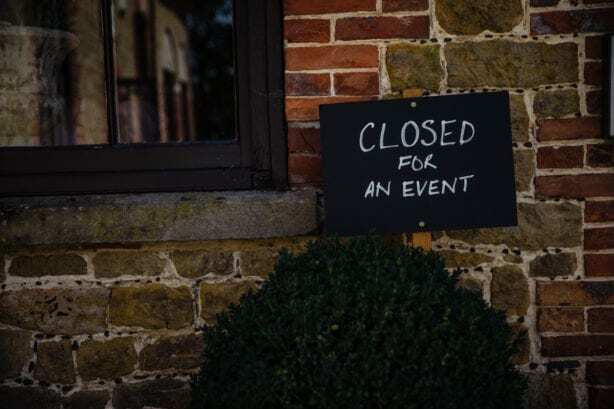 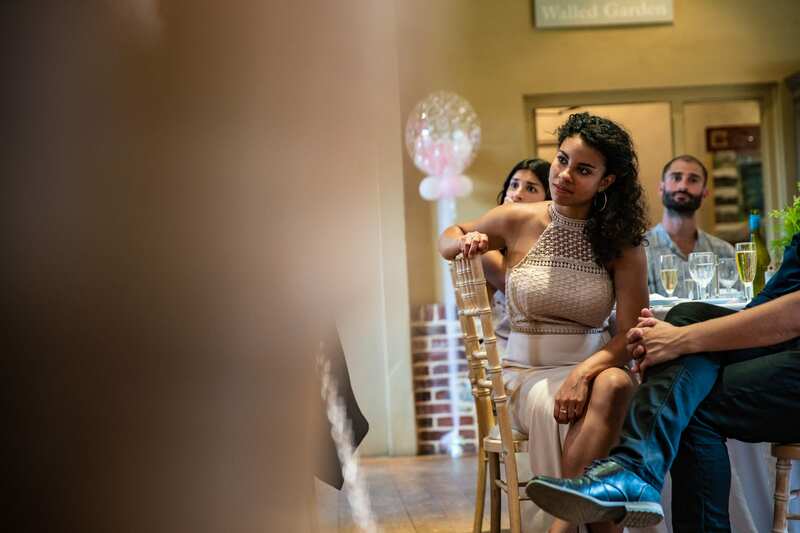 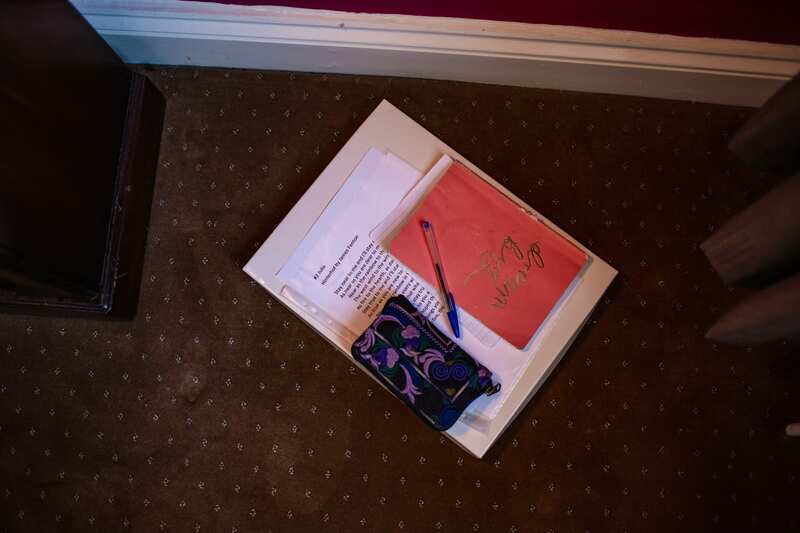 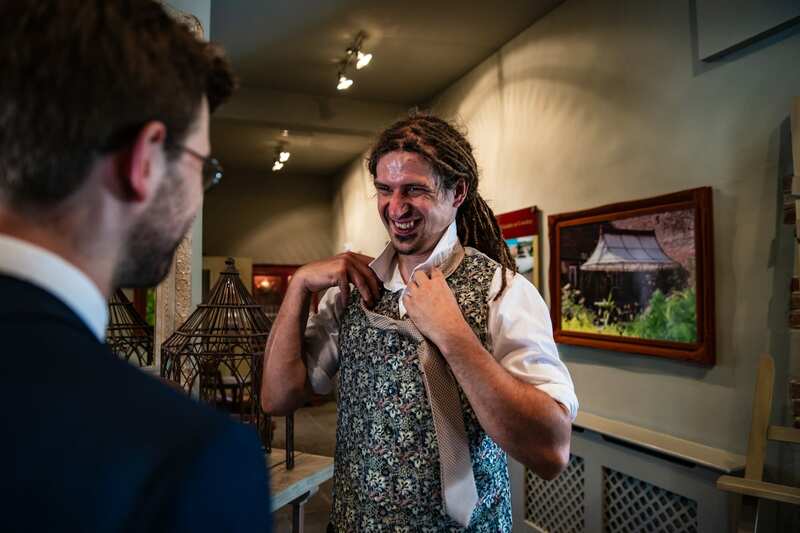 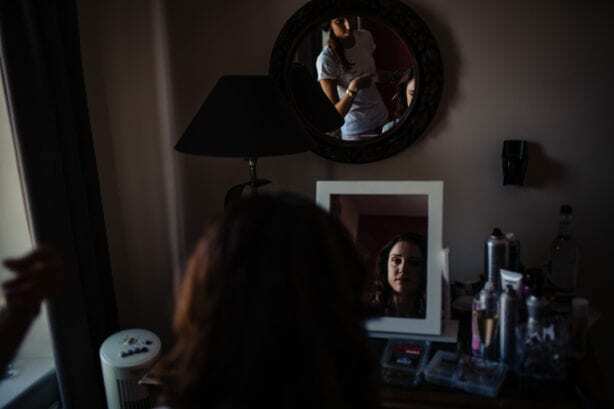 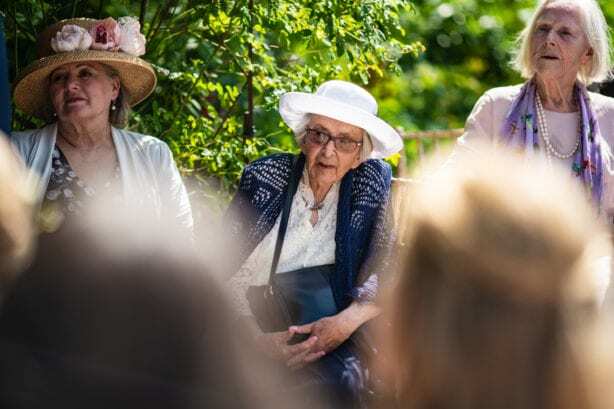 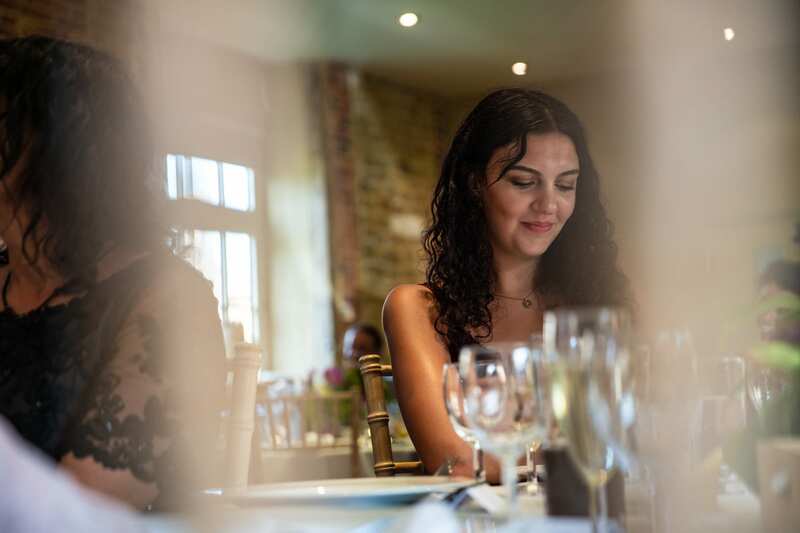 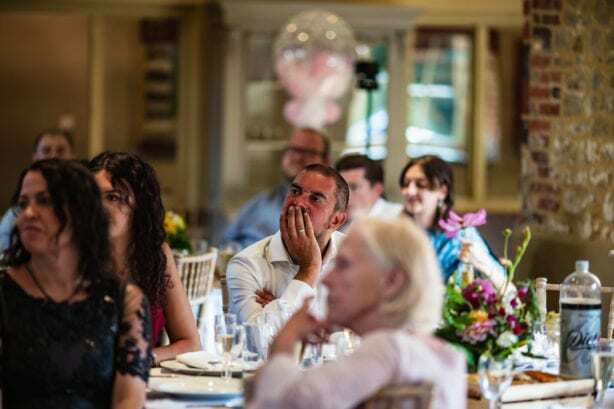 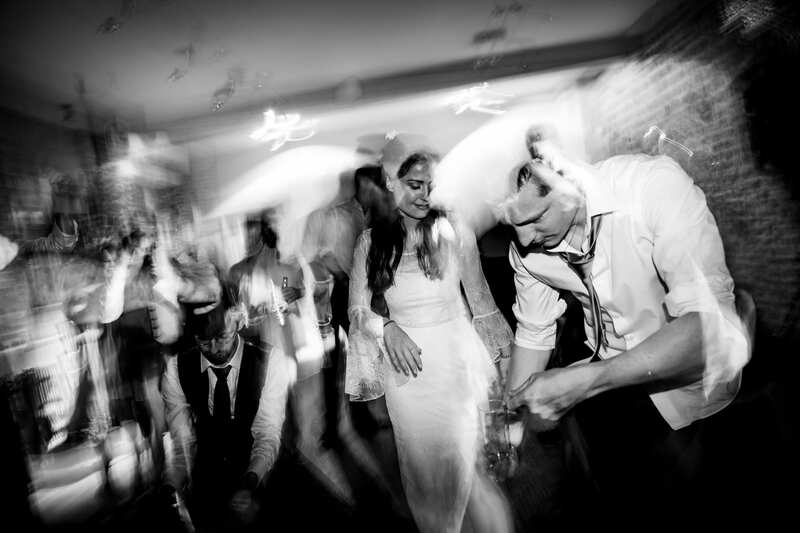 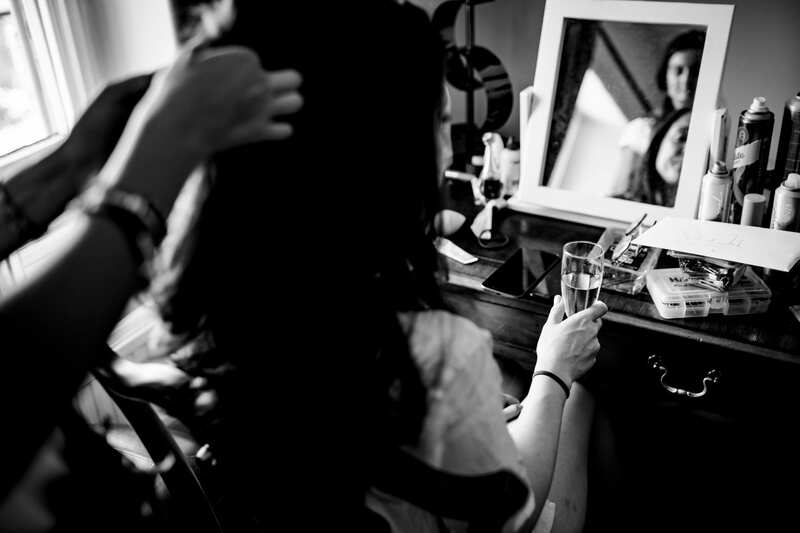 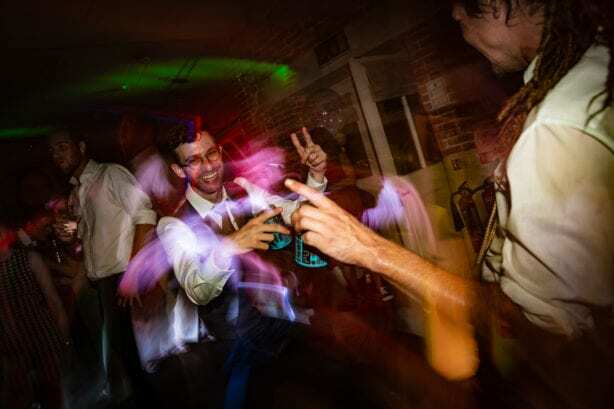 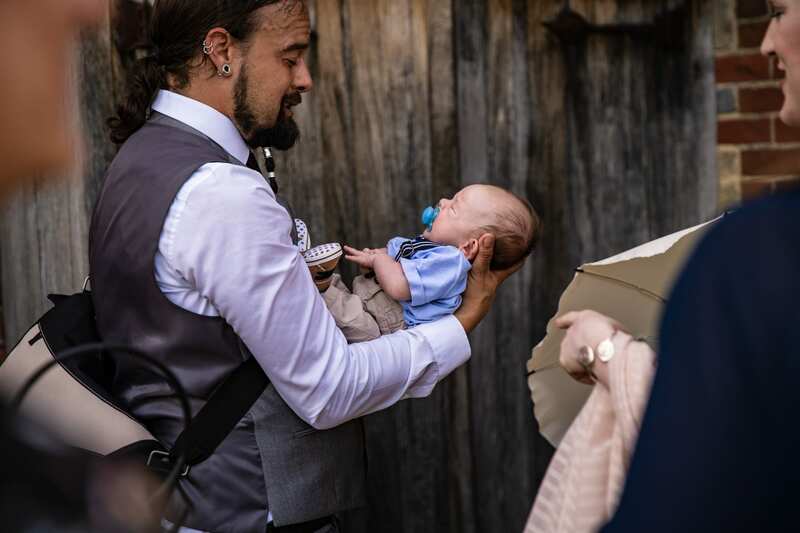 We just loved how the whole pace of their day was relaxed and flowed easily so they could spend time just chilling with all their people – one thing that often gets lost in a fast paced wedding timeline. 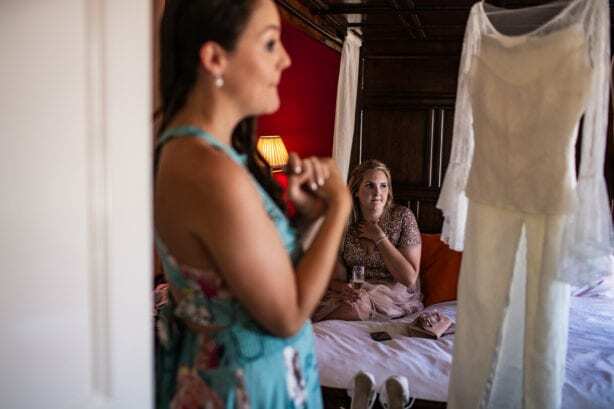 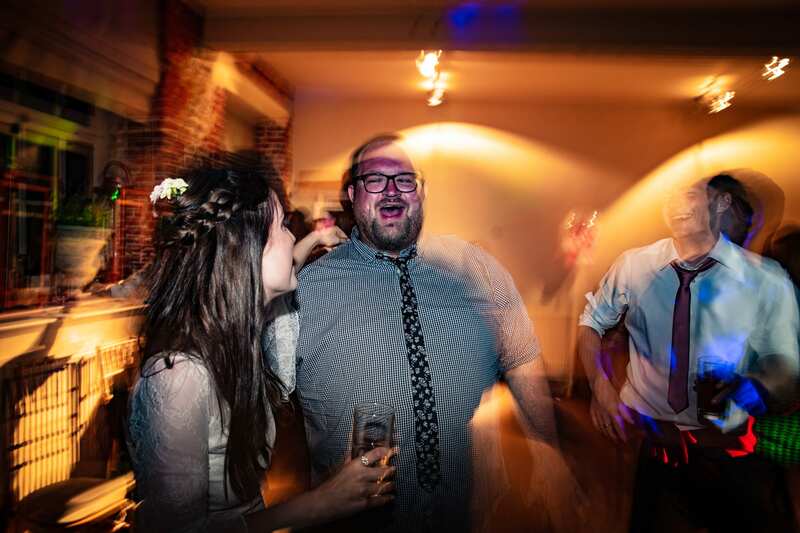 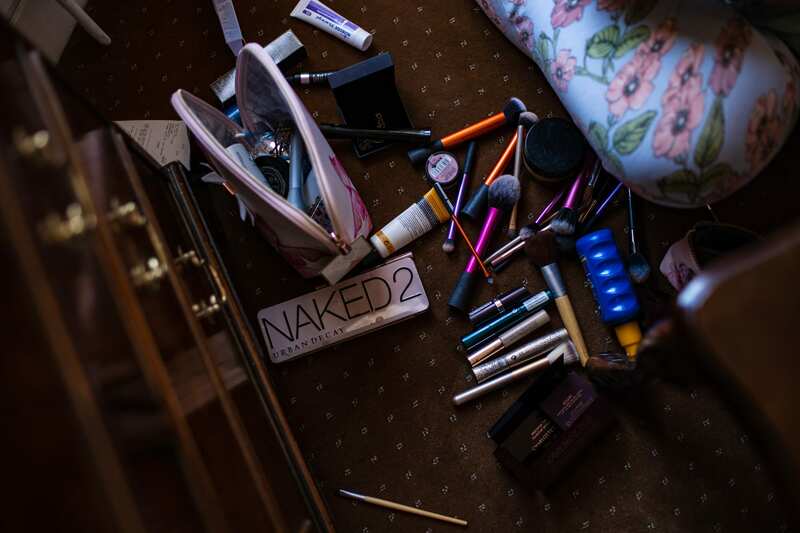 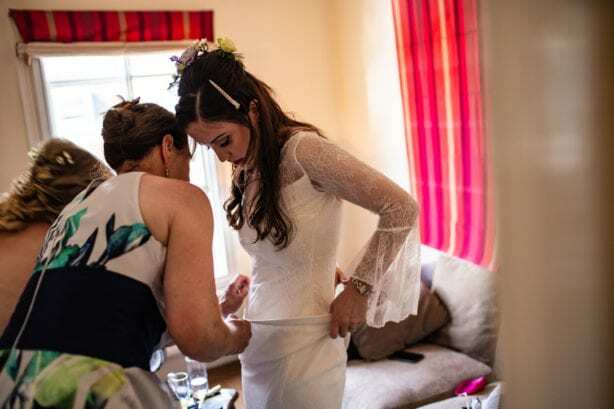 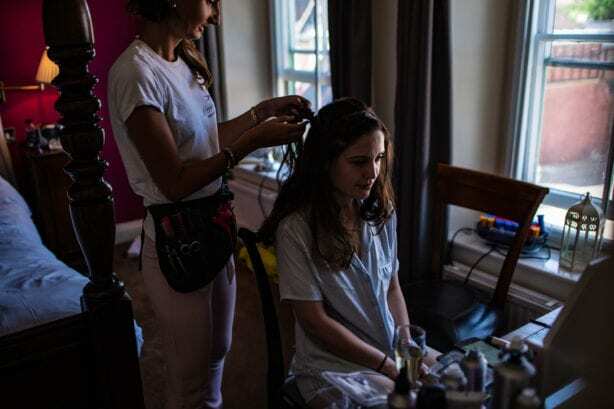 In the past, I have given brides maybe a hair grip or a snack I’ve had in my bag if they were hungry, but their wedding goes down as the first one where I have ever given the bride my bra! 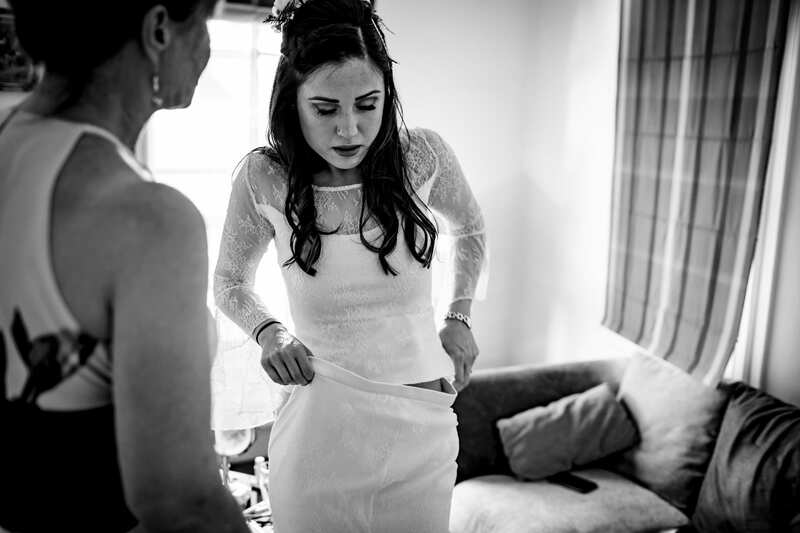 In the craziness of the day we couldn’t find her strapless bra, and wouldn’t you know it, its probably the only time I have ever worn one to a wedding, which was just so incredibly lucky! 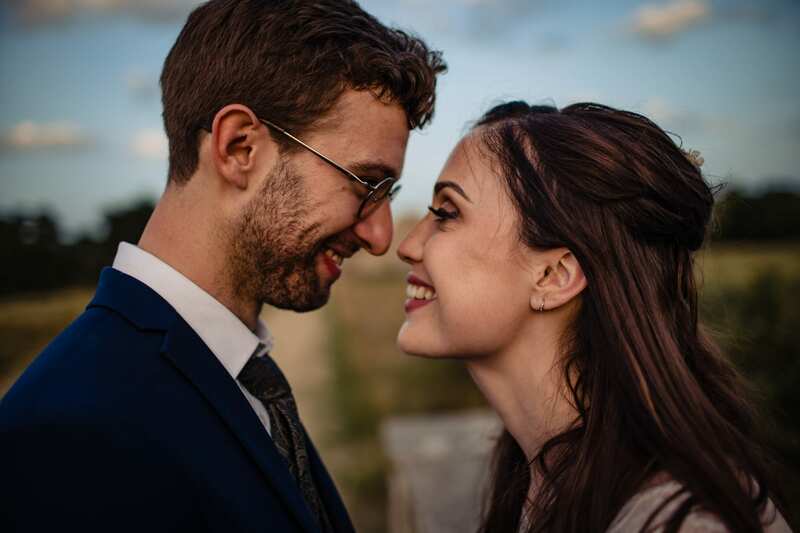 Sylvie and Jack have a beautiful connection, and getting to hang out with them all day and witness it was just too awesome!